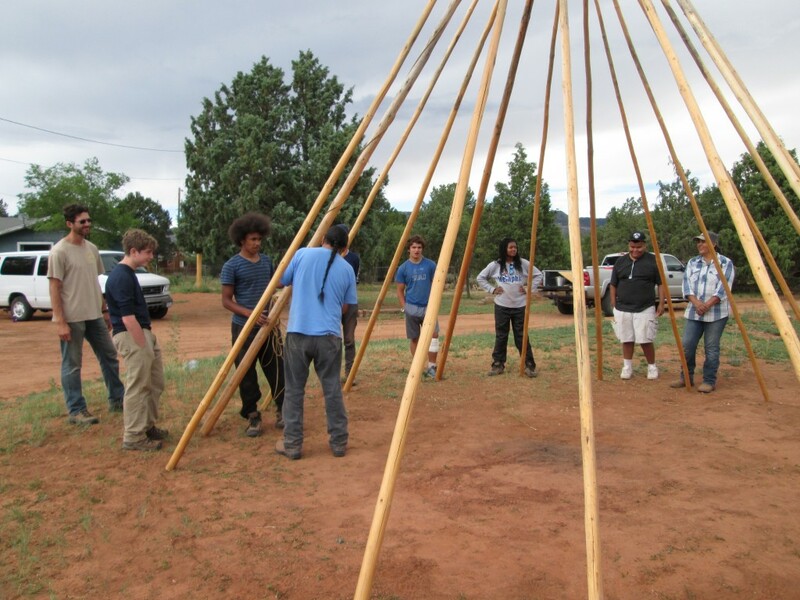 Using the many options at hand, we work with group organizers to design a program that matches the kind of experience a group, such as a Waldorf 8th Grade class, high school, community or cultural organization, or a family reunion, is looking to create. 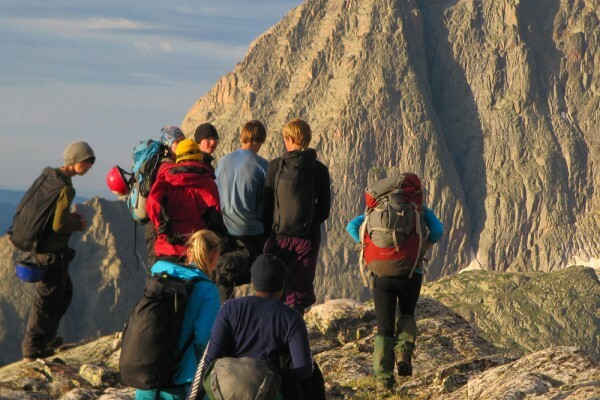 Groups range in size from 10 to over 100, and durations vary to accommodate the group’s goals as well as logistical considerations. 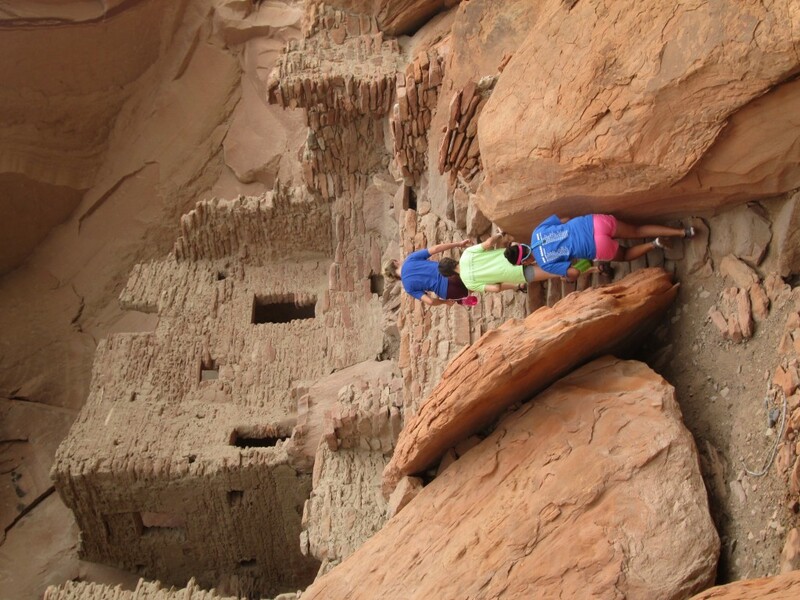 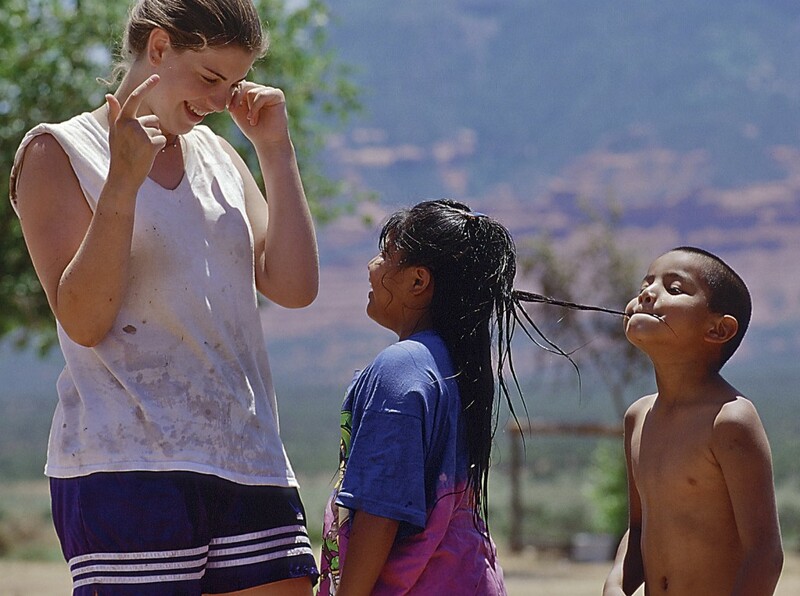 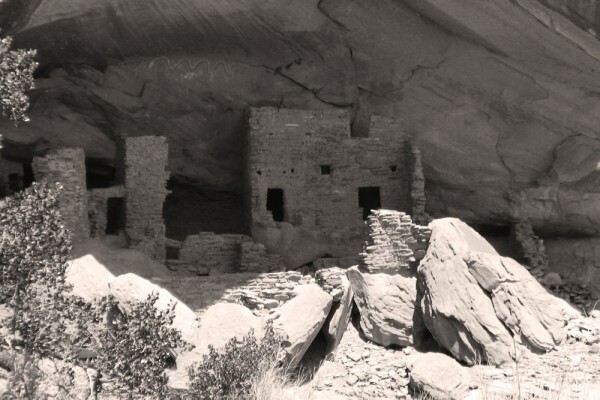 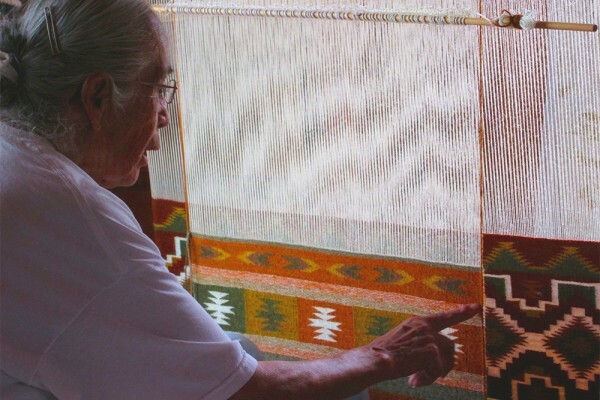 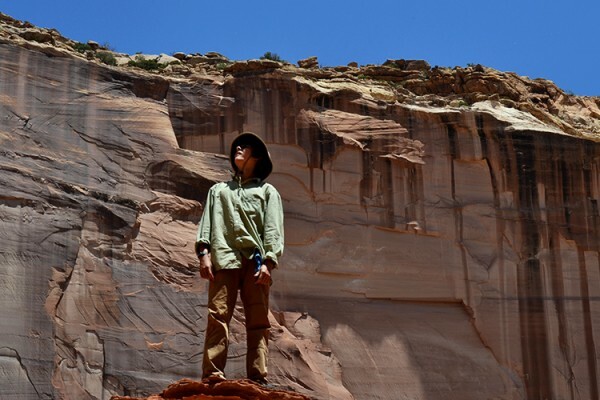 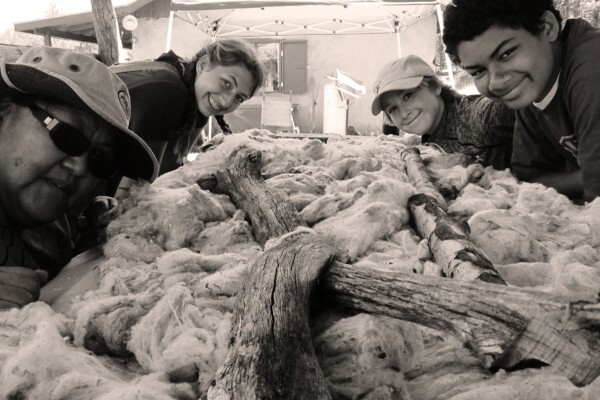 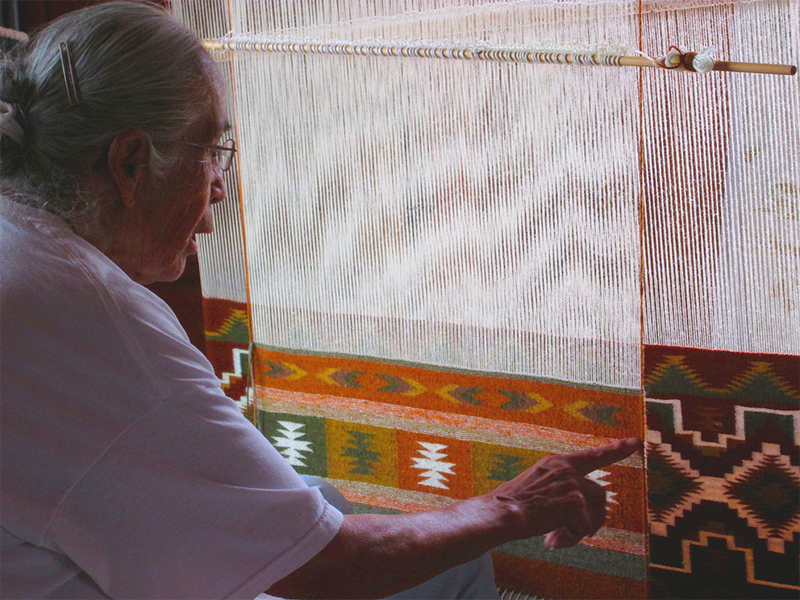 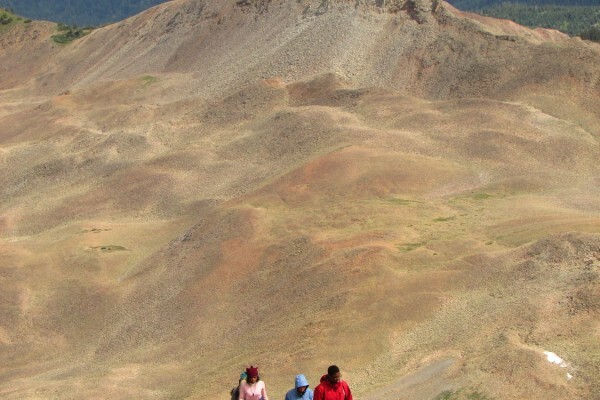 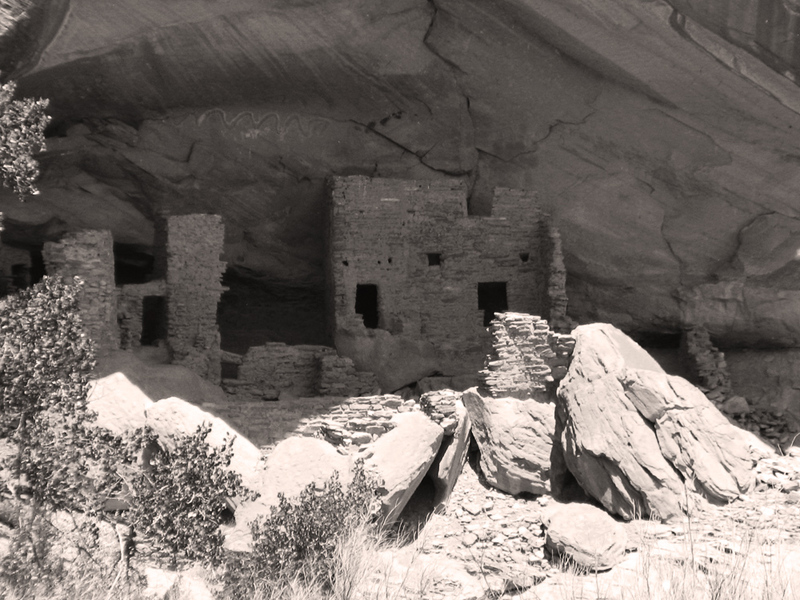 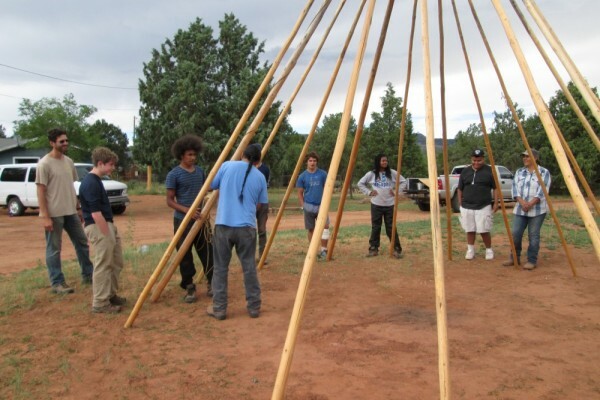 For over twenty years, Deer Hill Expeditions has been a guest in the Navajo Nation and in Zuni and Hopi Pueblos, supporting projects in these communities with Deer Hill Foundation funds and the help and enthusiasm of the groups we host. 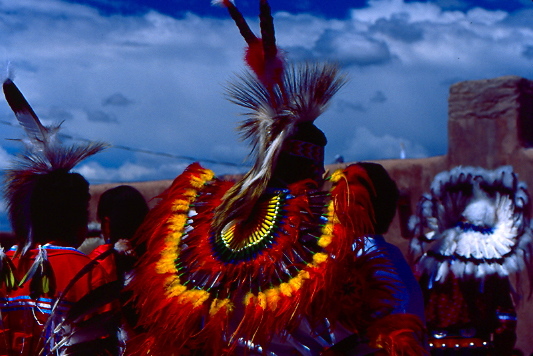 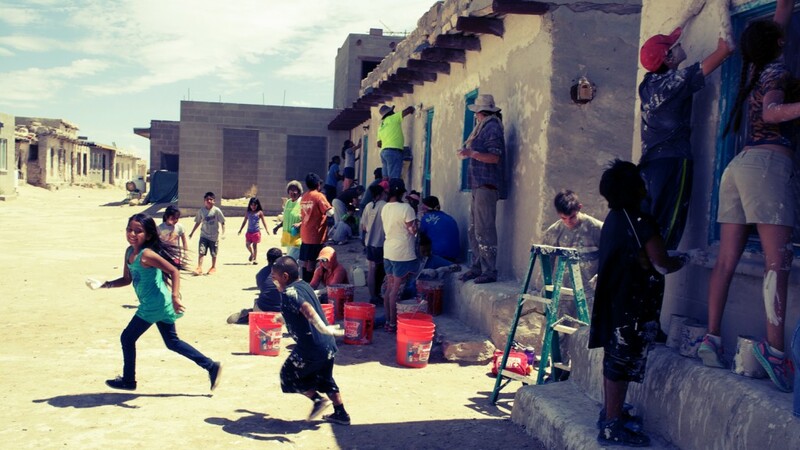 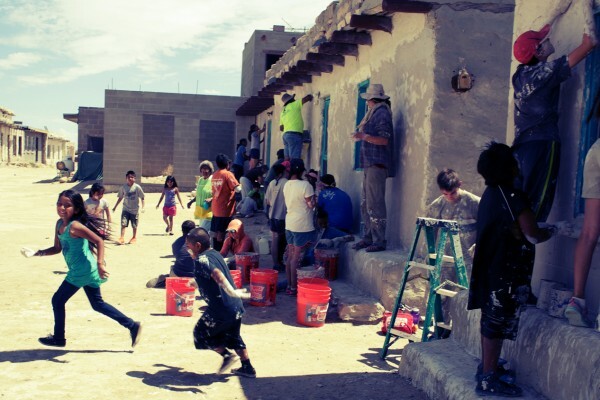 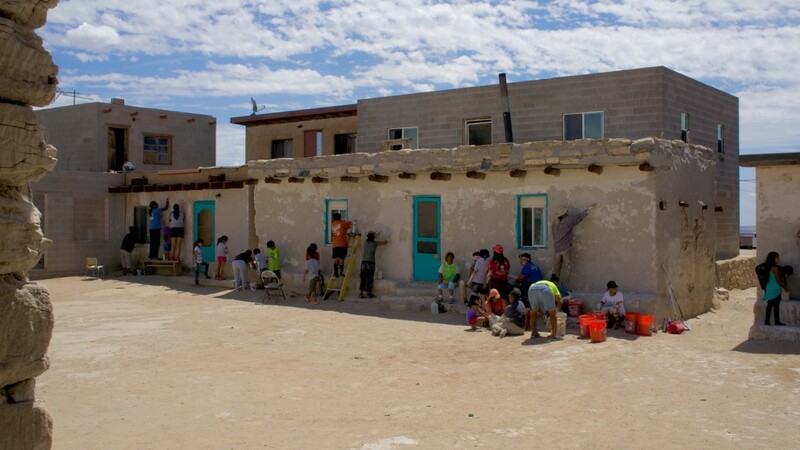 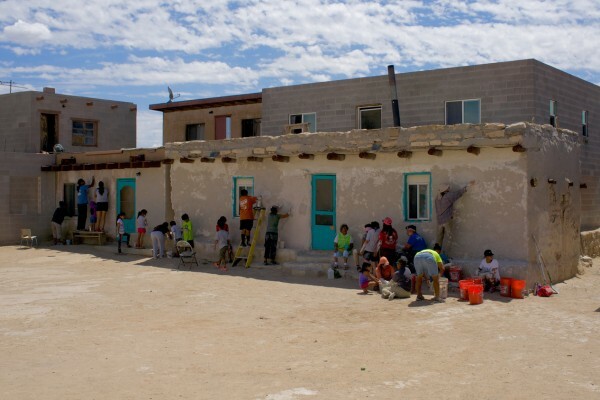 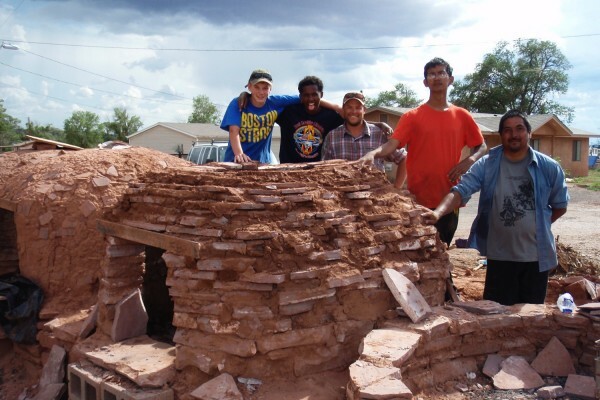 In Hopi Pueblo, groups often help the community prepare the plaza for important ceremonies, repair traditional outdoor bread ovens, and have the opportunity to work with Hopi artists. 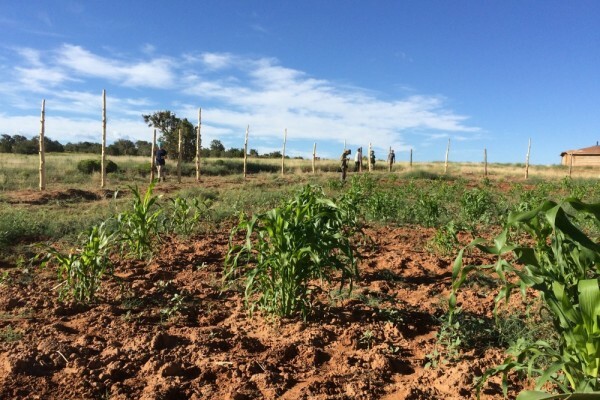 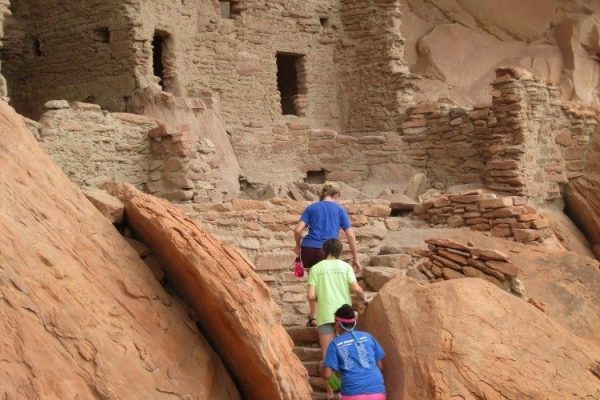 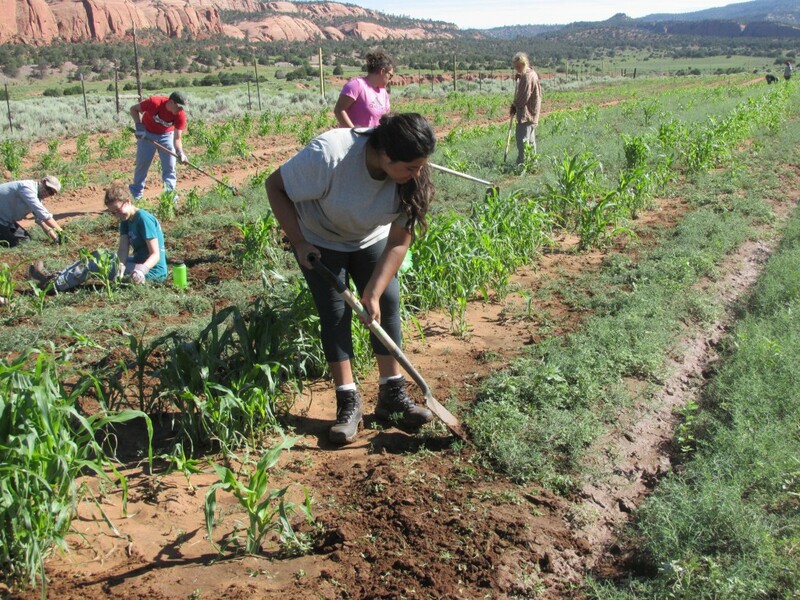 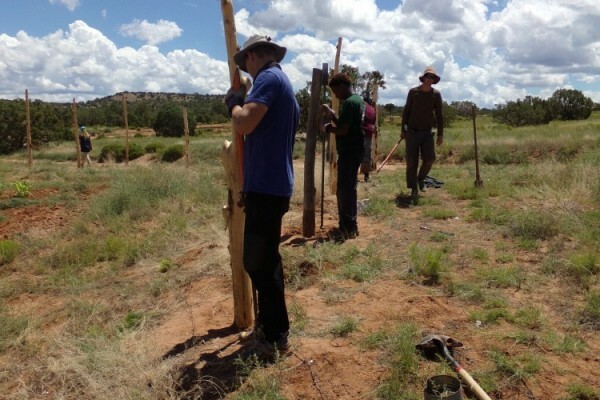 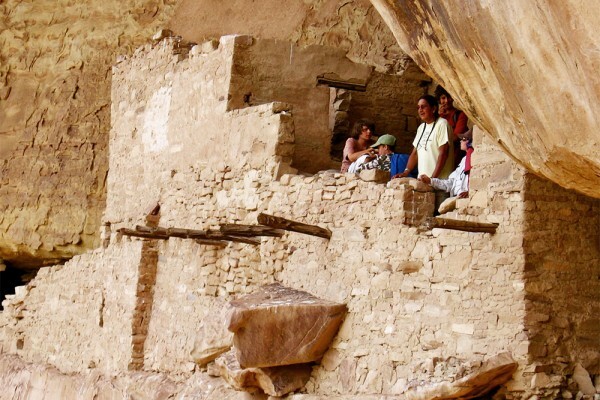 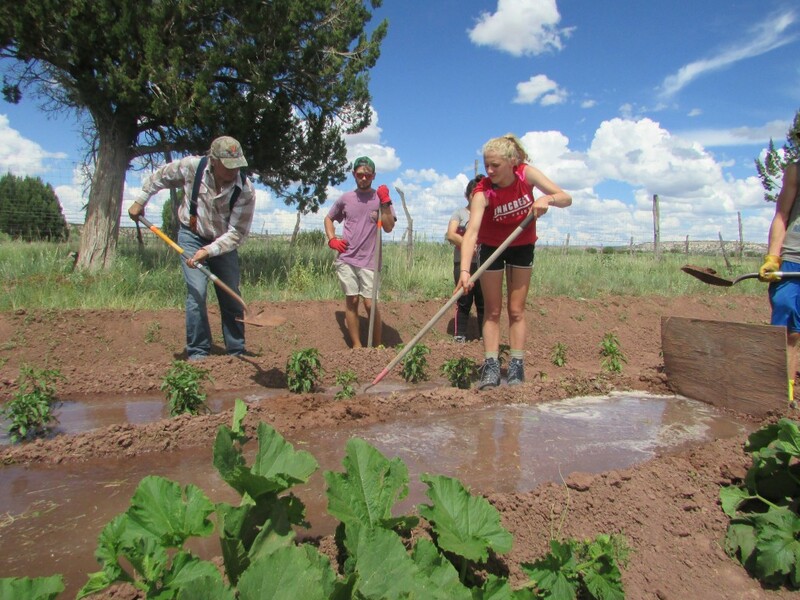 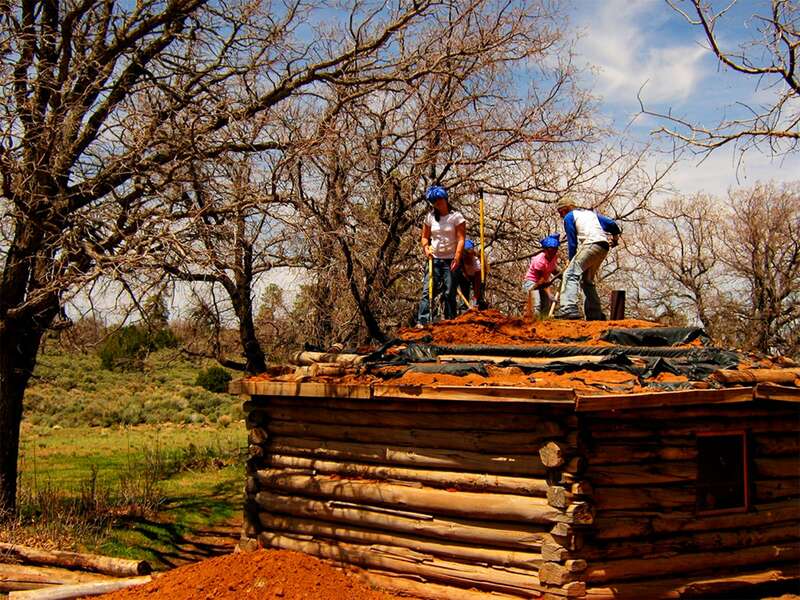 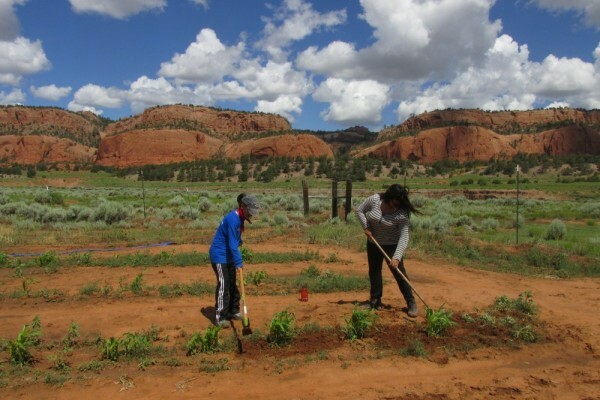 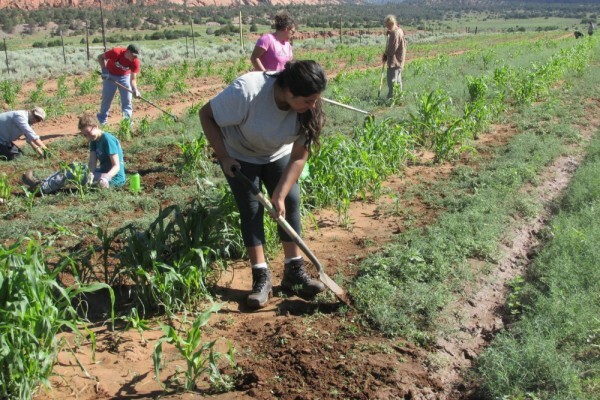 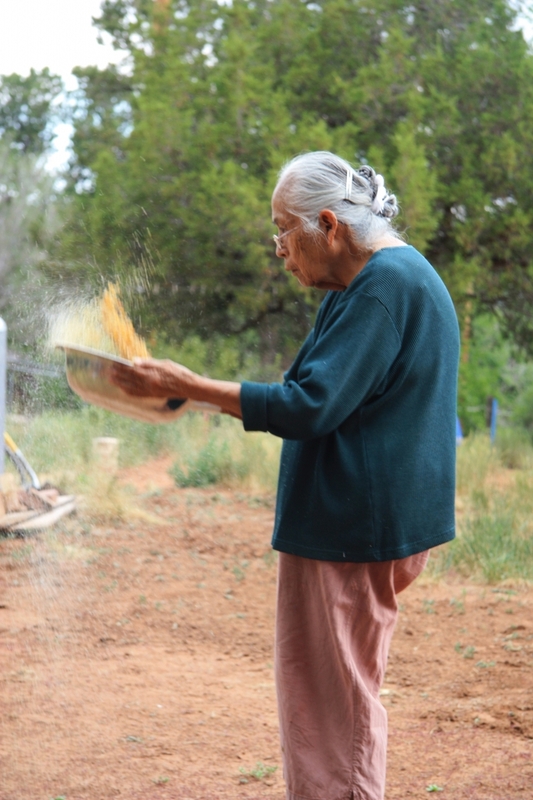 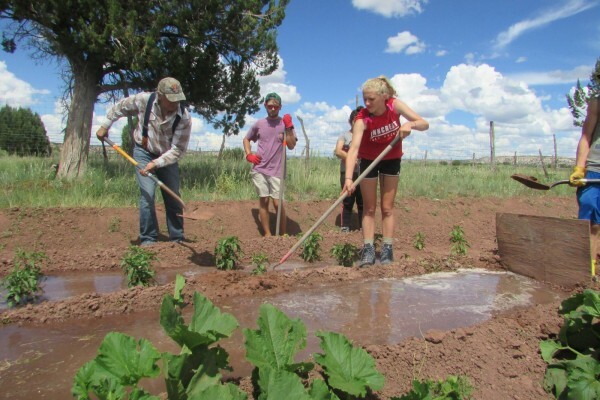 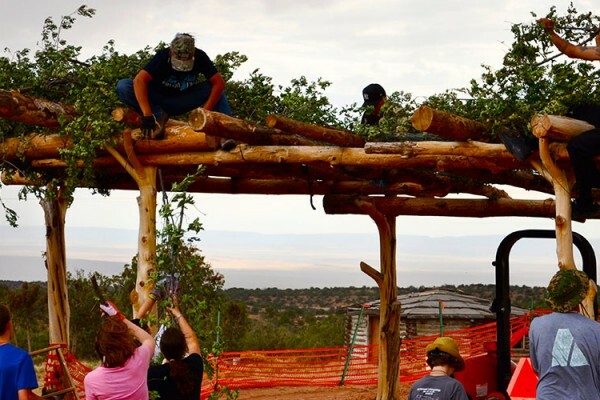 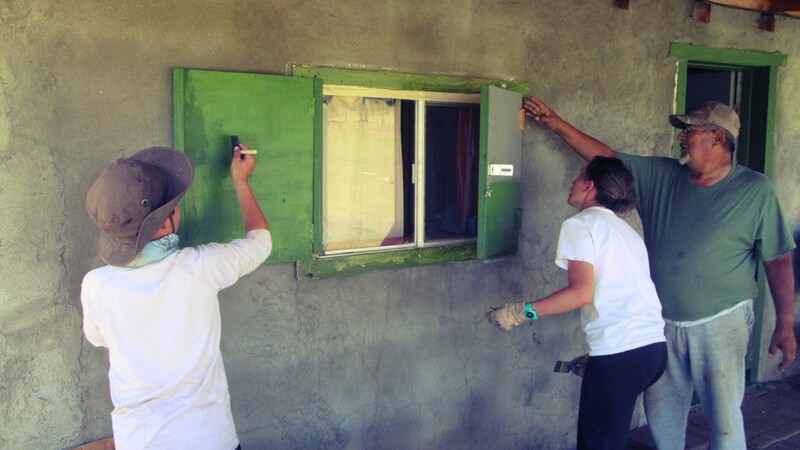 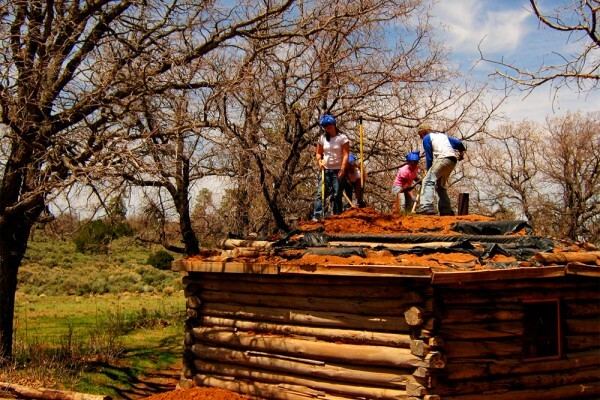 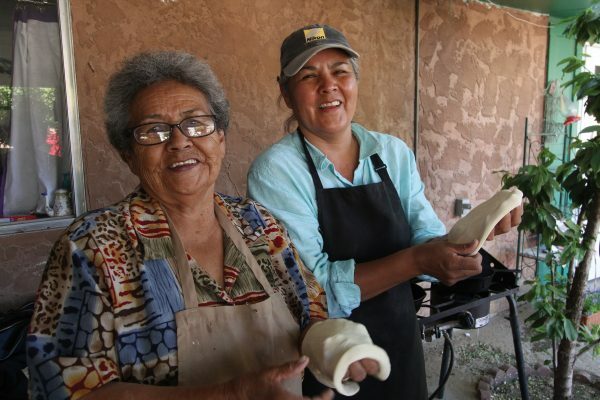 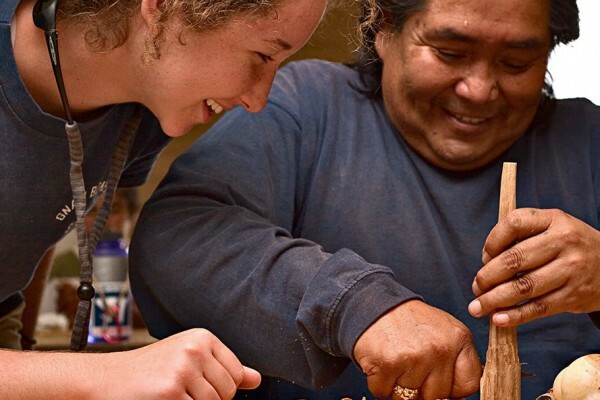 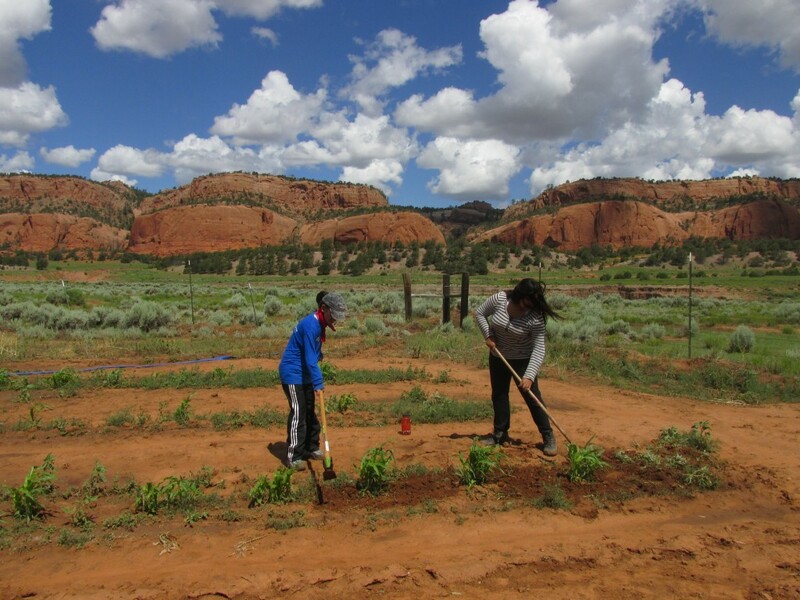 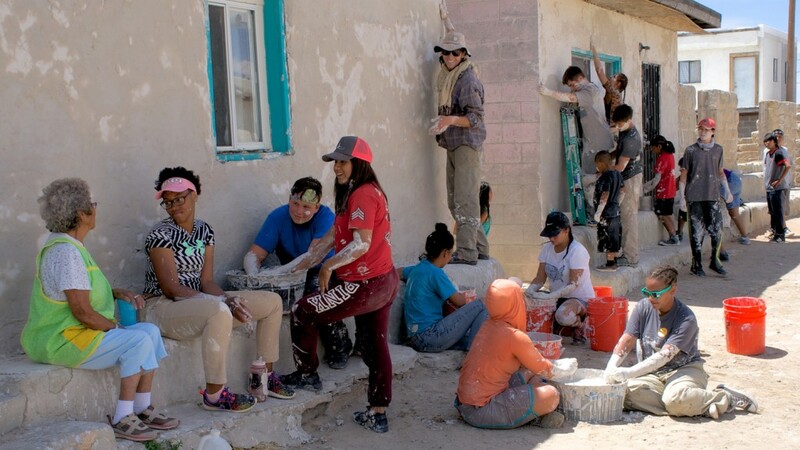 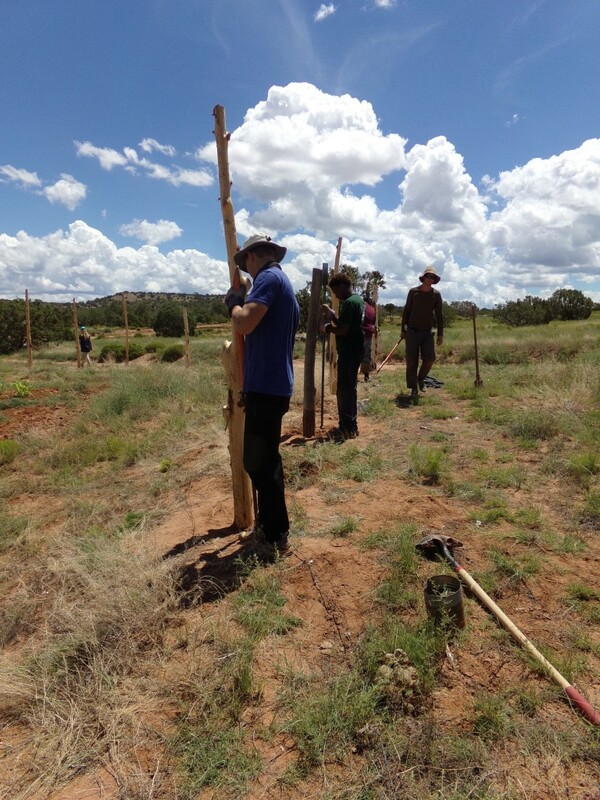 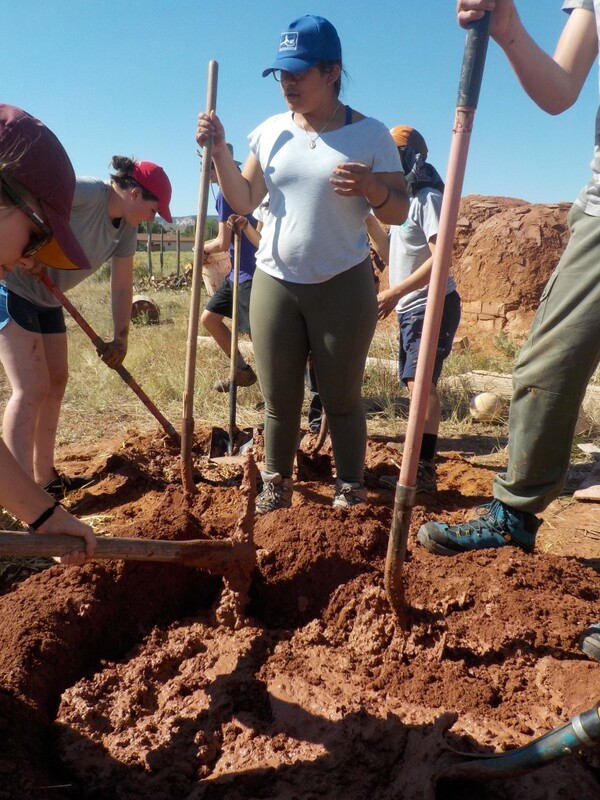 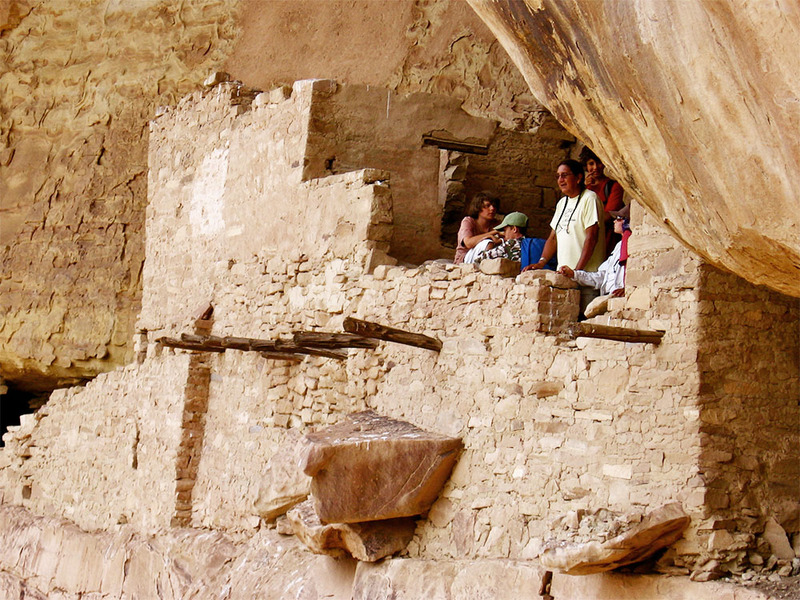 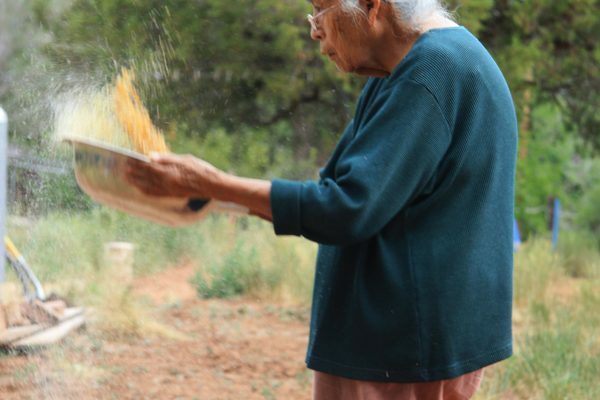 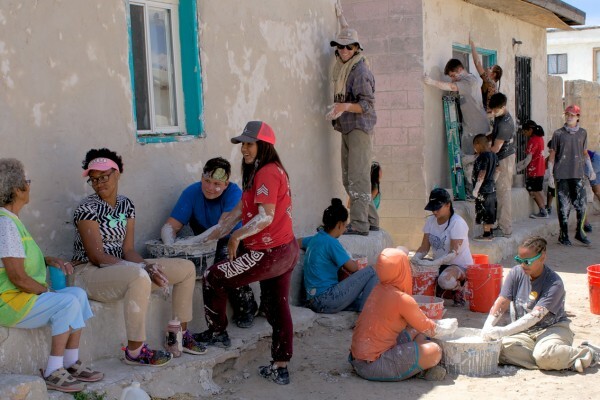 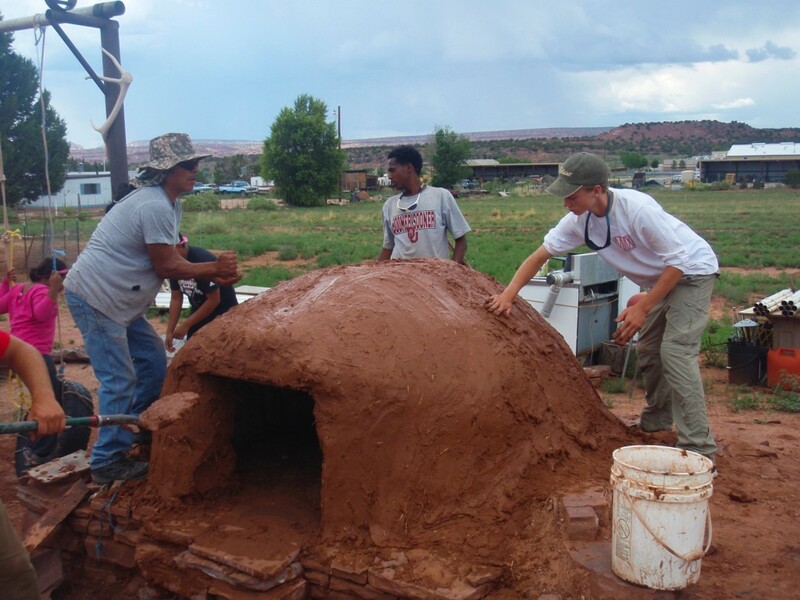 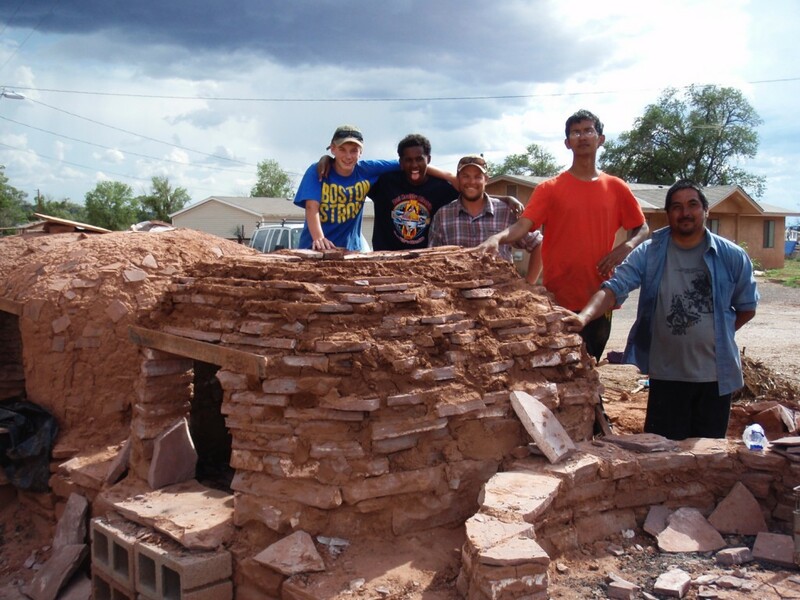 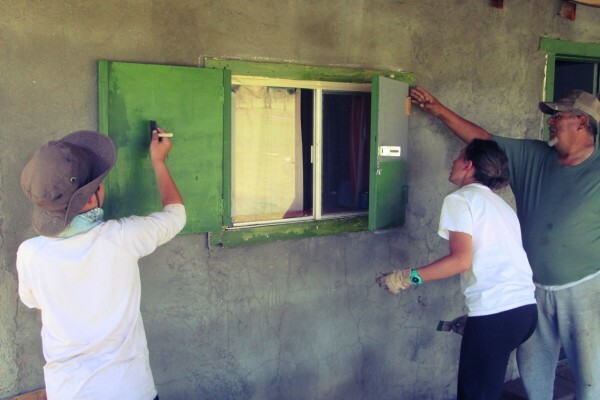 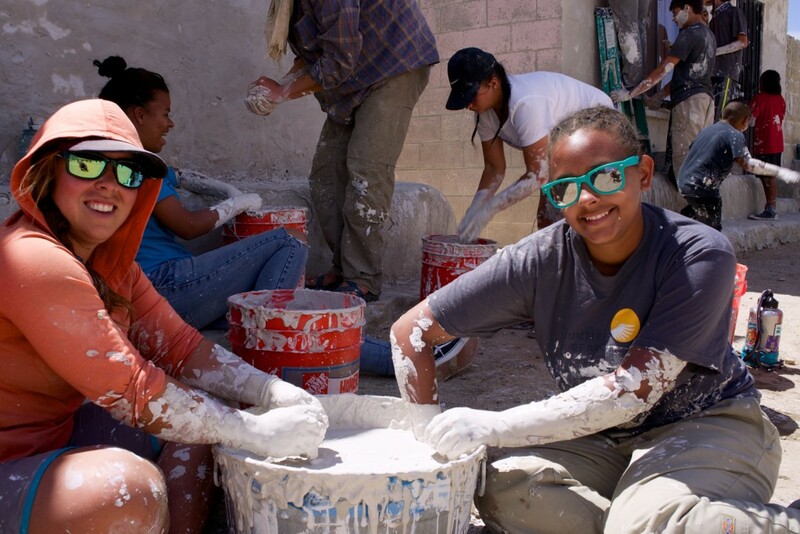 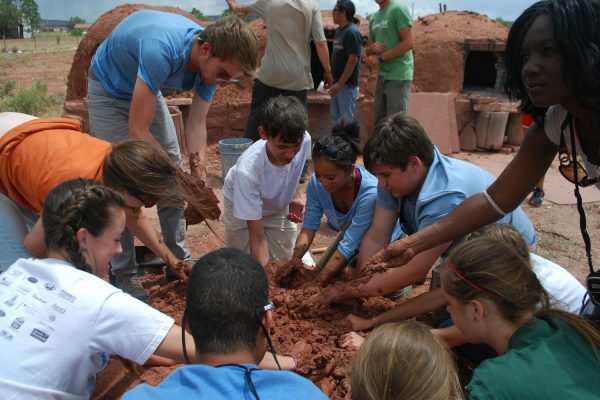 In Zuni Pueblo, groups often help out in the community garden, build and repair bread ovens, and have the opportunity to visit places of cultural and historic significance with Zuni guides to interpret the sites. 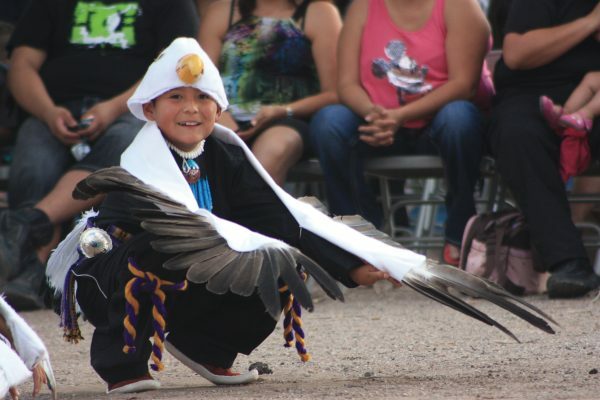 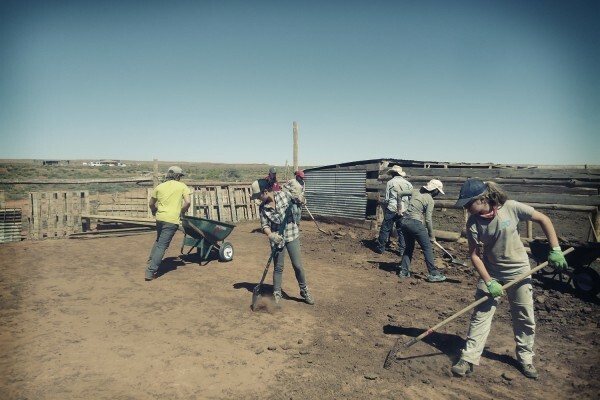 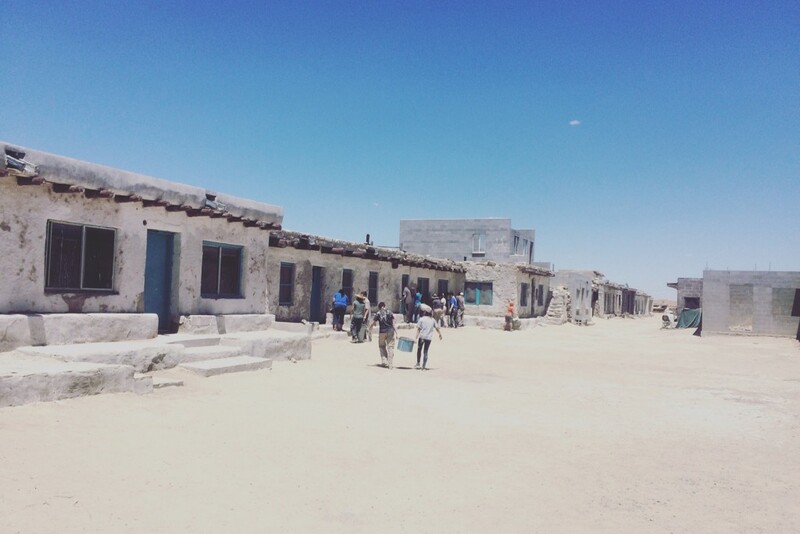 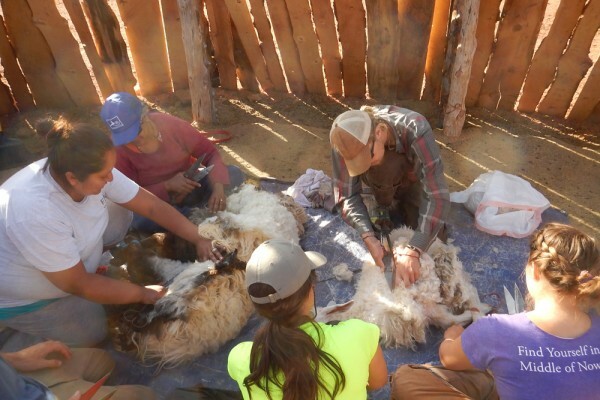 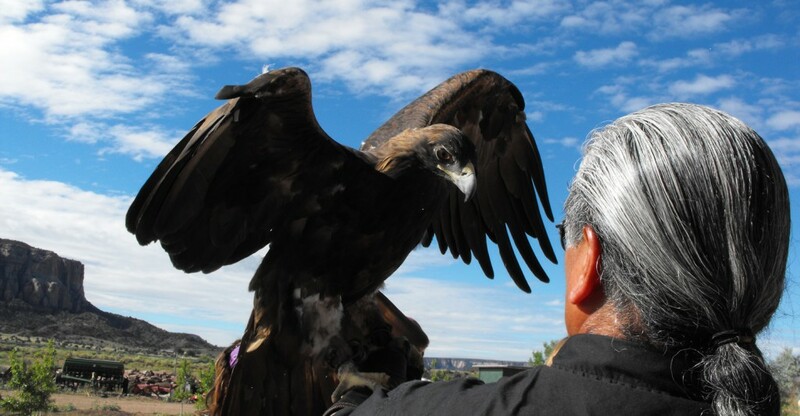 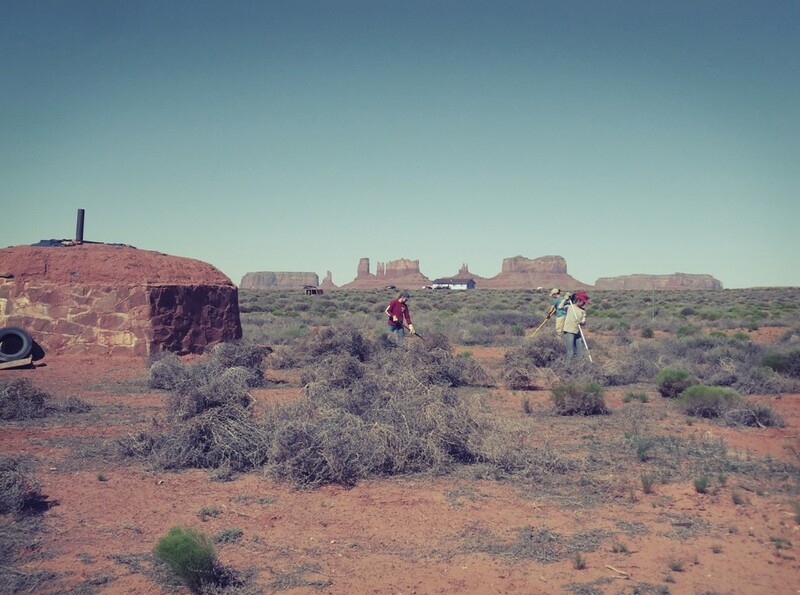 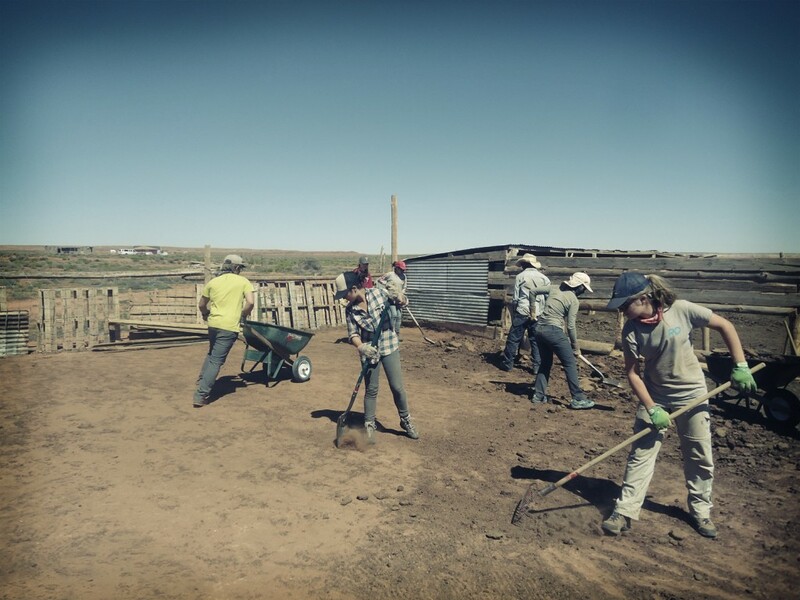 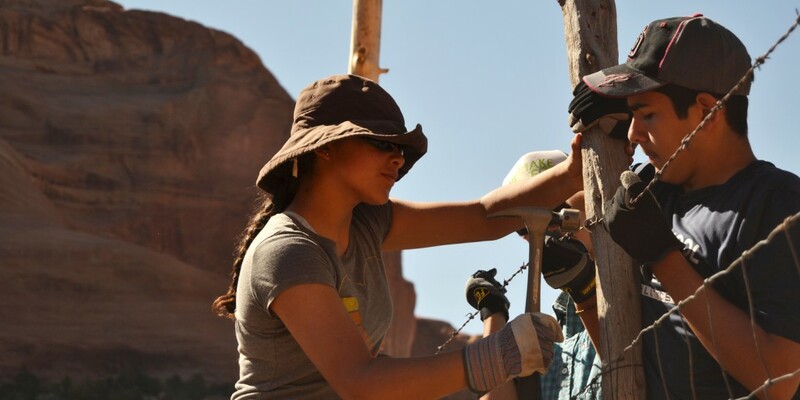 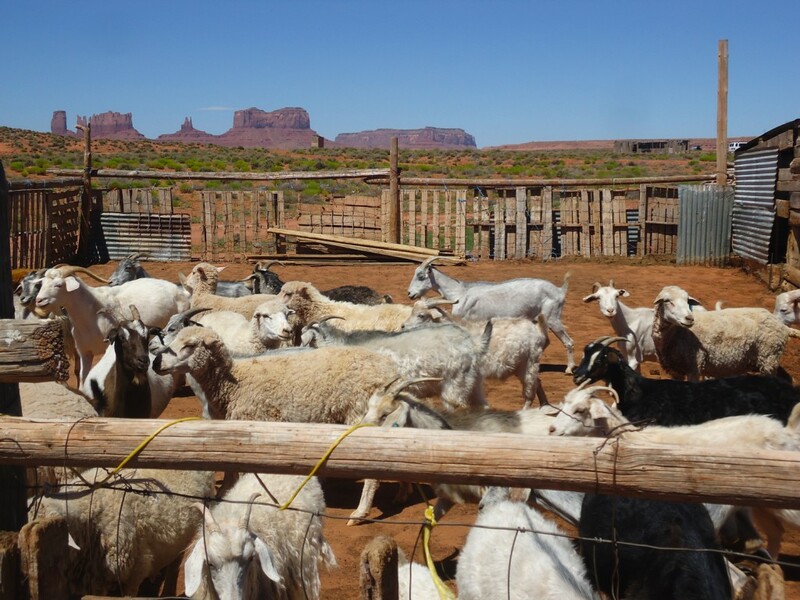 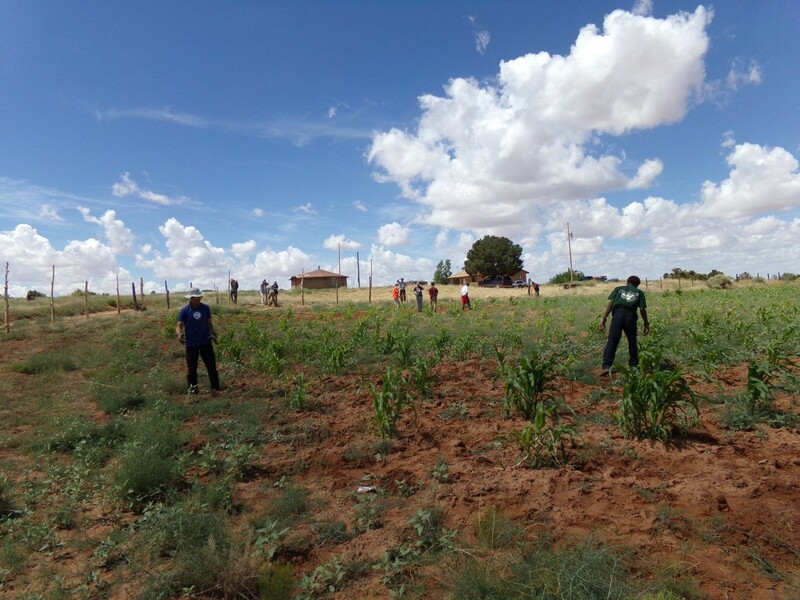 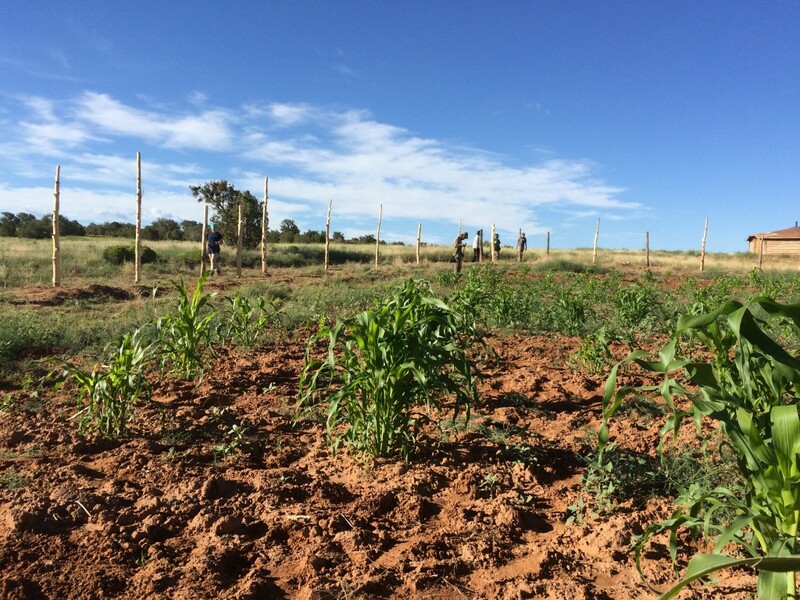 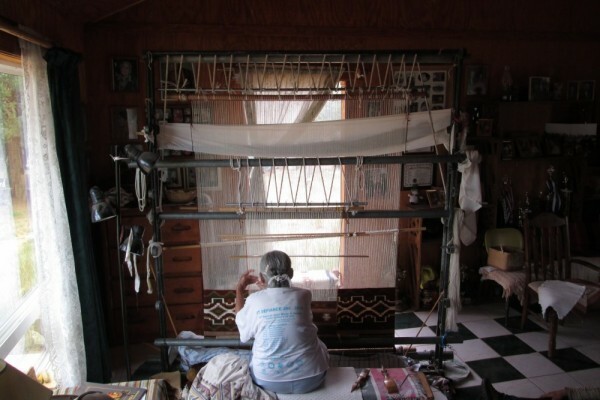 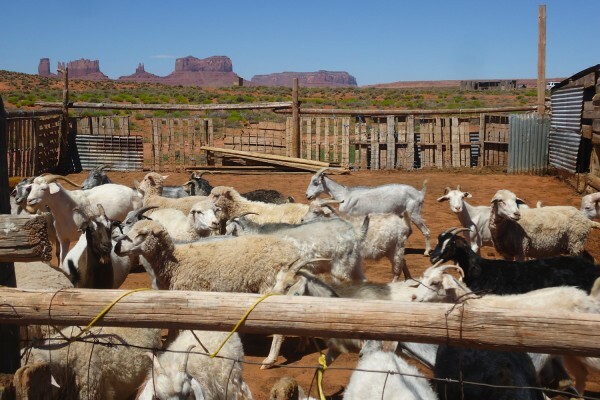 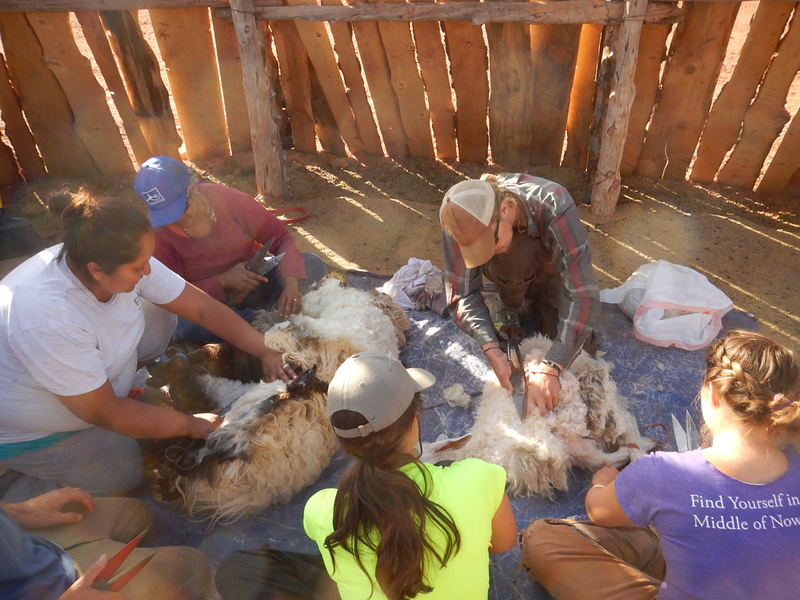 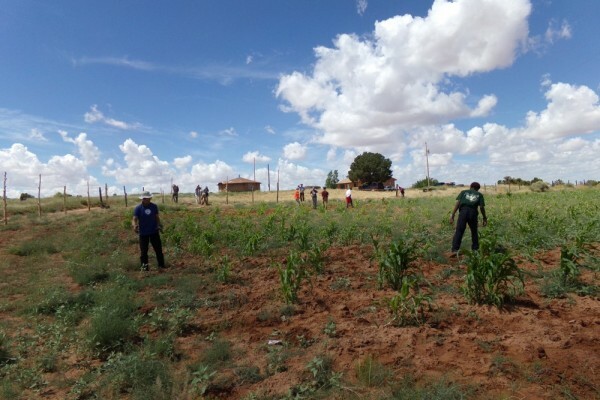 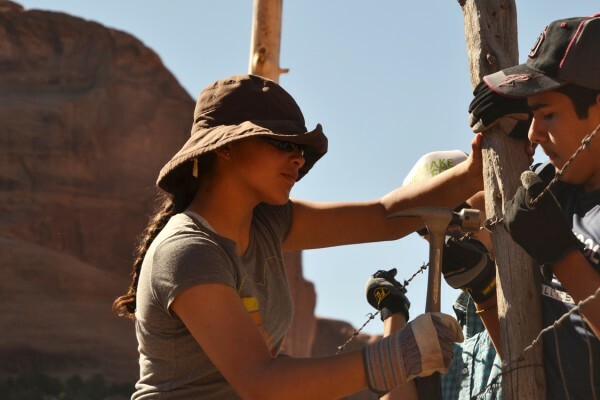 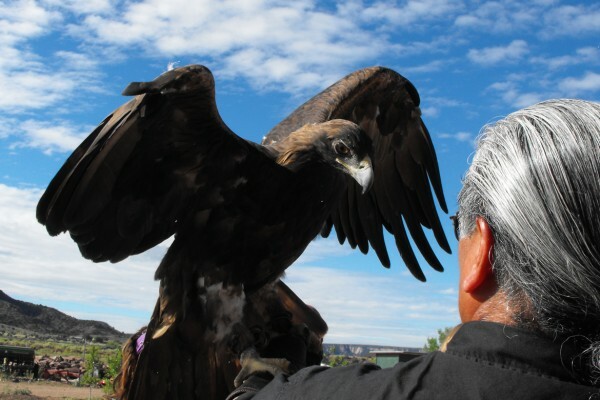 While the Hopi and Zuni communities are very close-knit, and projects reflect this, our Navajo hosts live in more remote locations, and projects support work on multi-generational family ranches and regional community groups called chapters. 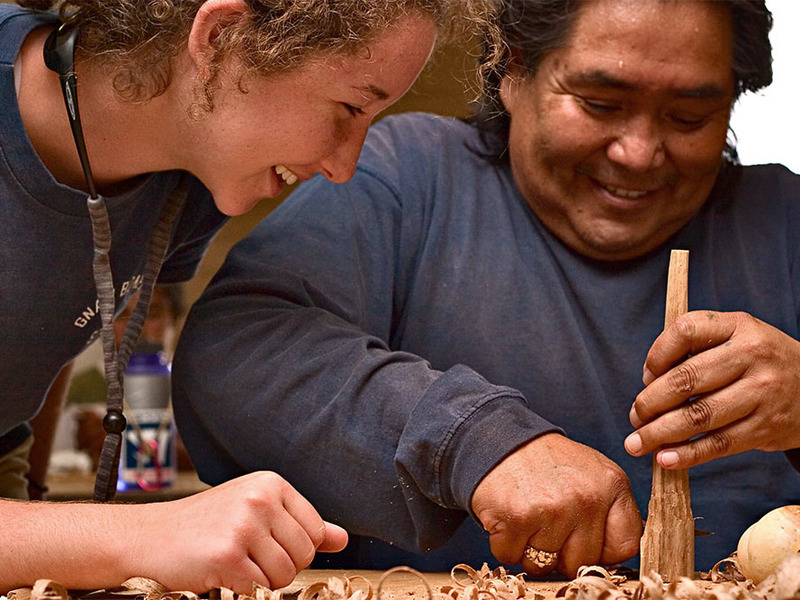 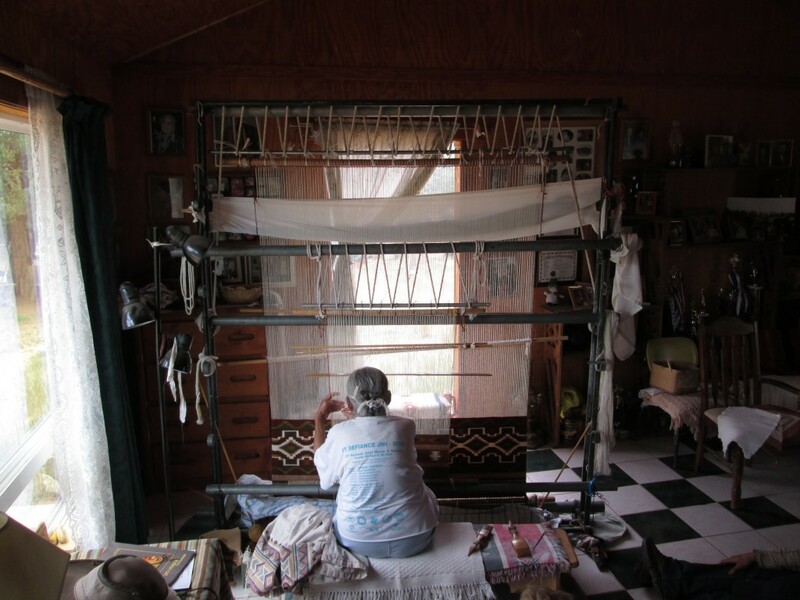 All of our service hosts provide opportunities for groups to learn about their history, art and culture. 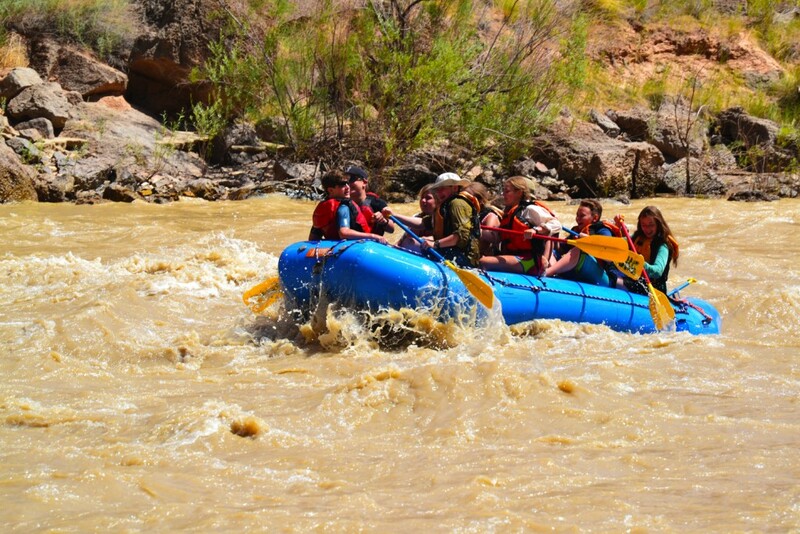 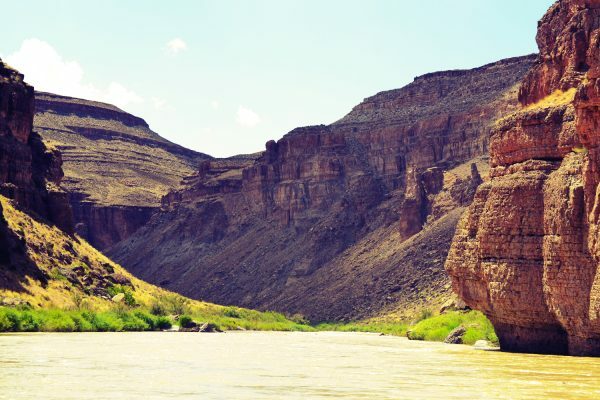 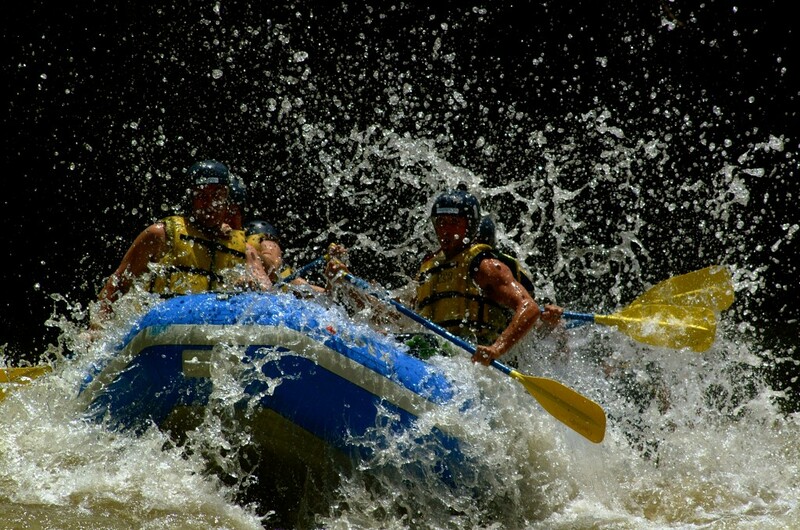 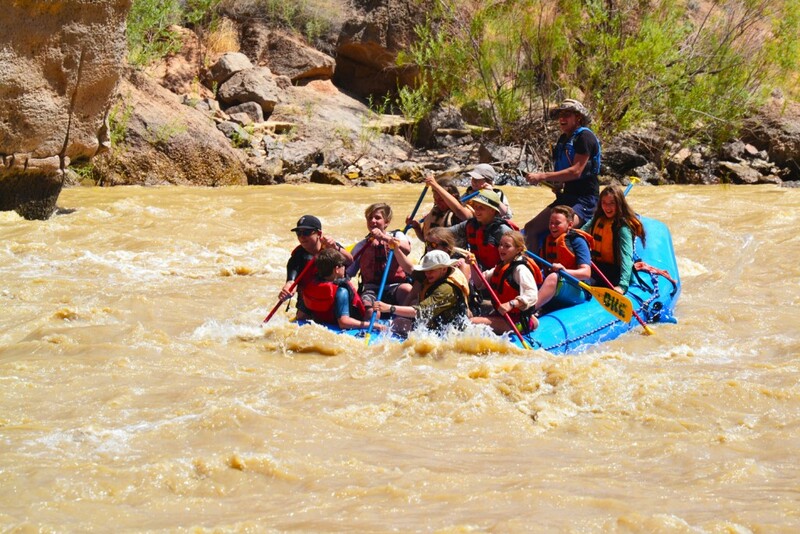 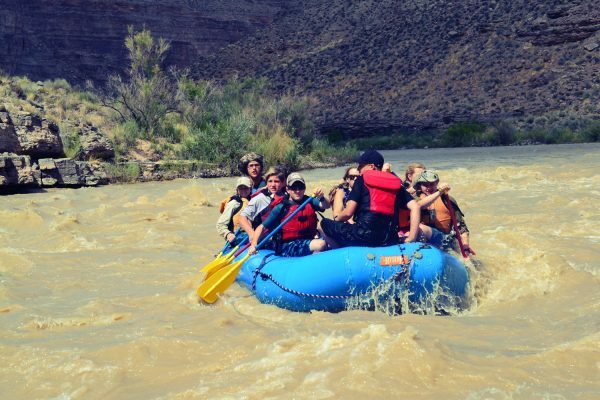 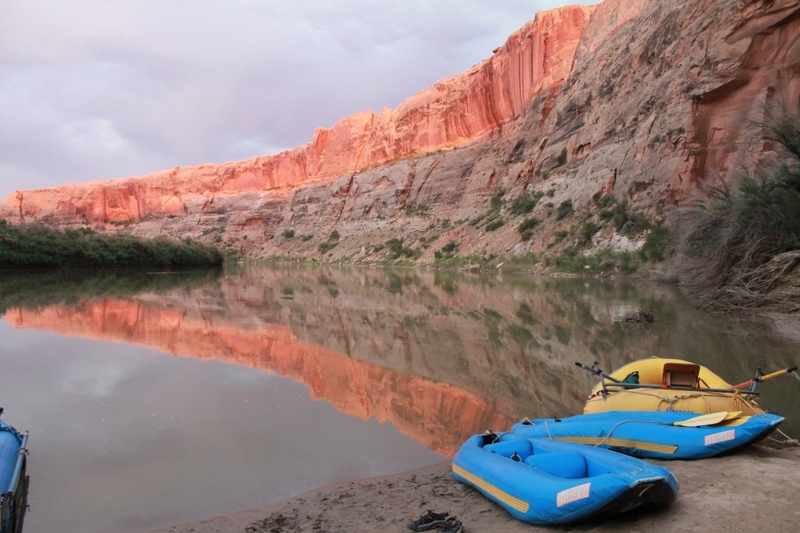 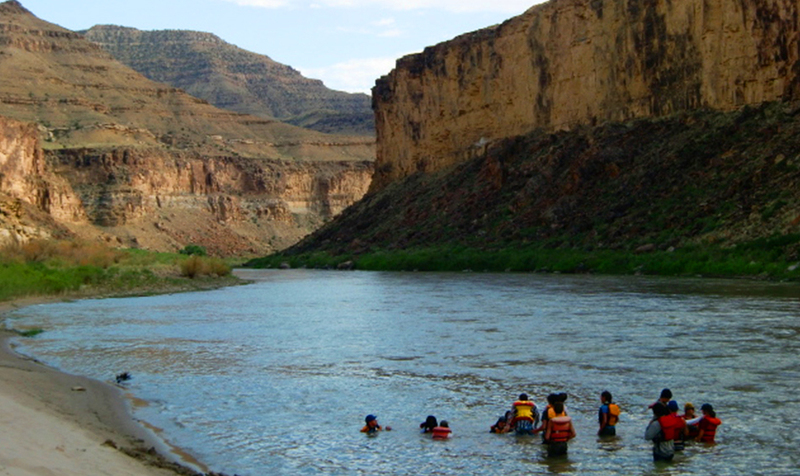 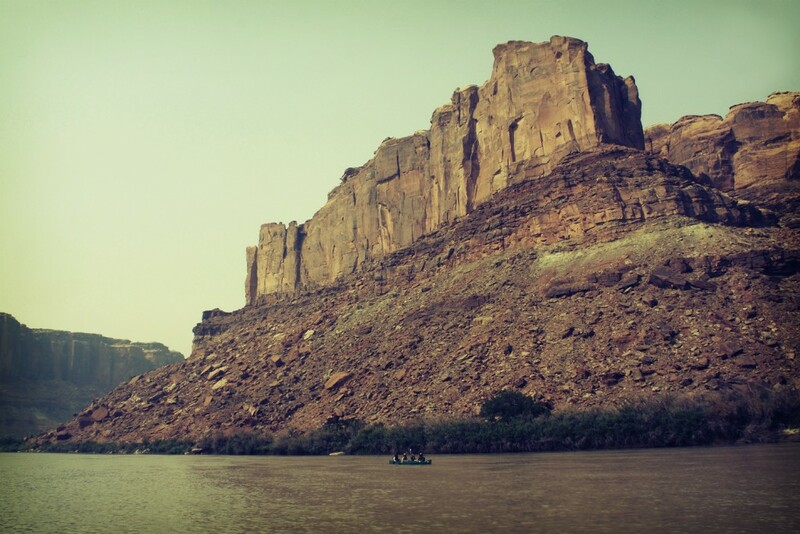 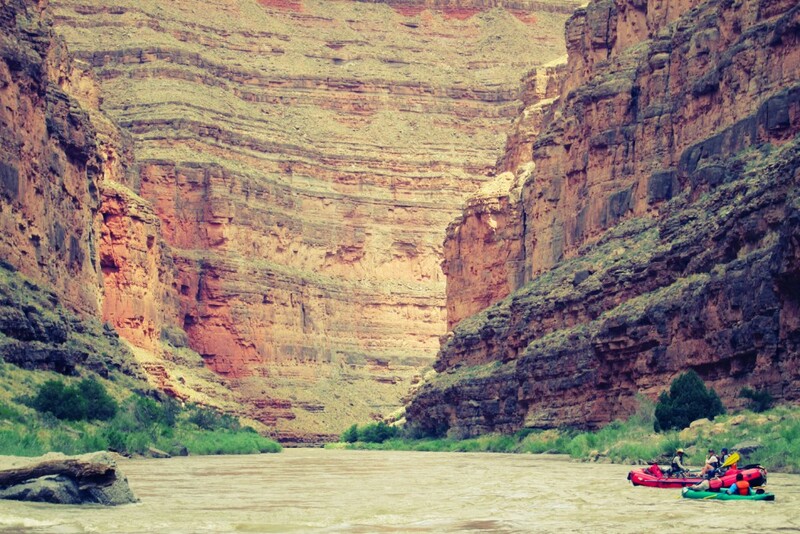 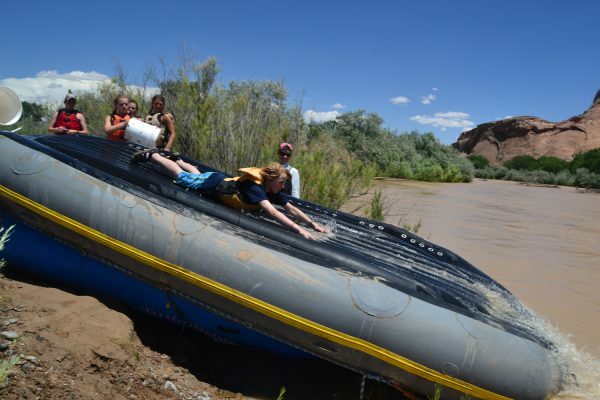 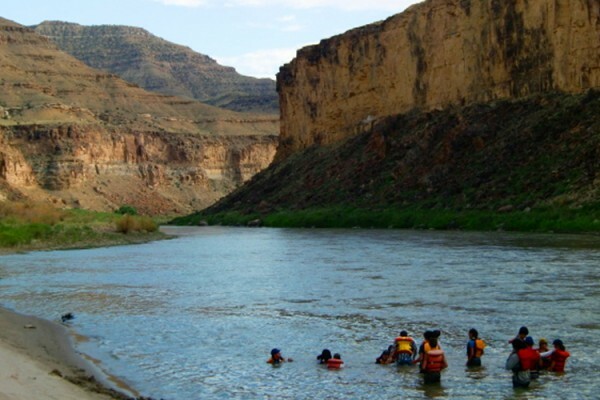 Rafting expeditions are a great way for groups of people with varying degrees of comfort in outdoor activities to explore the wilderness of the Southwest. 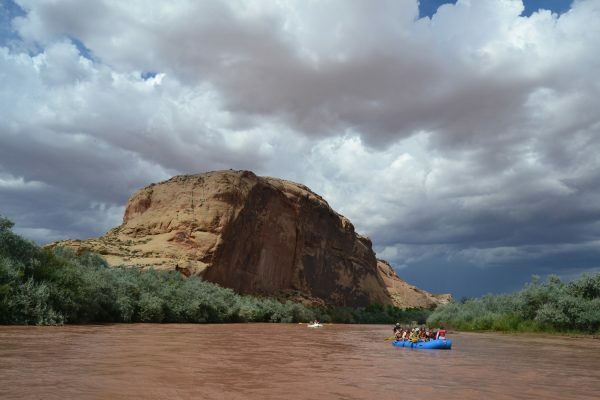 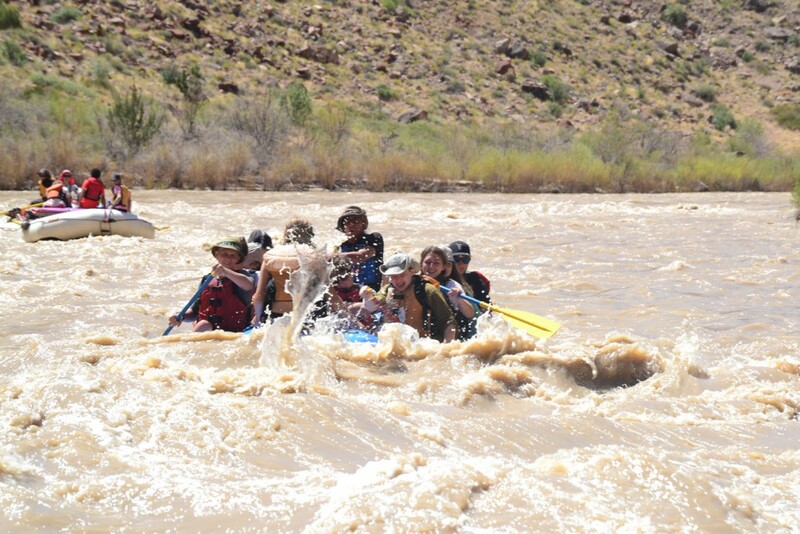 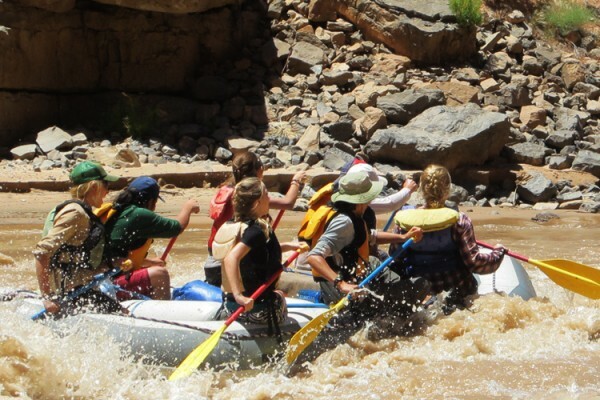 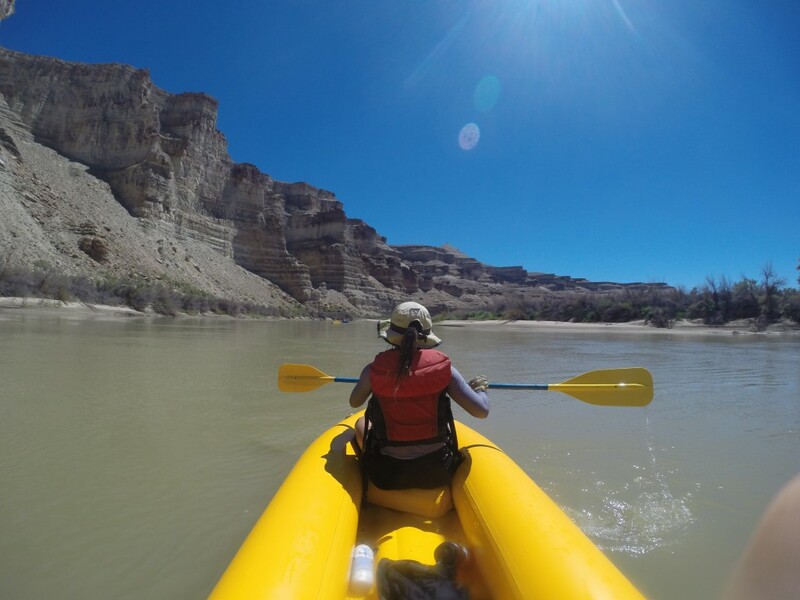 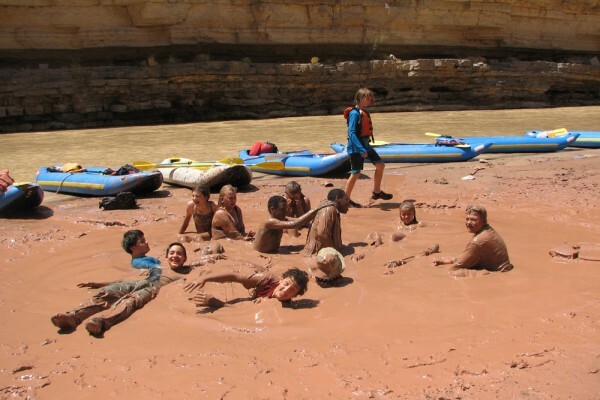 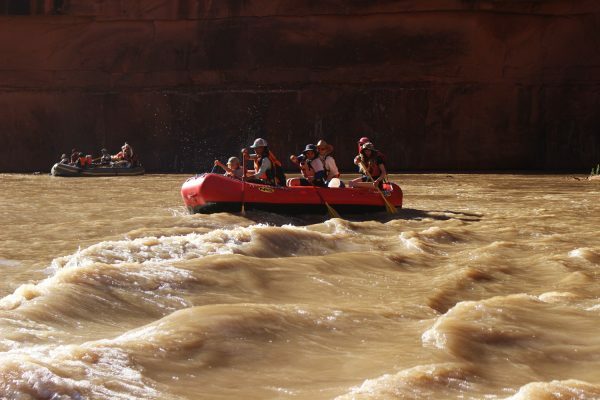 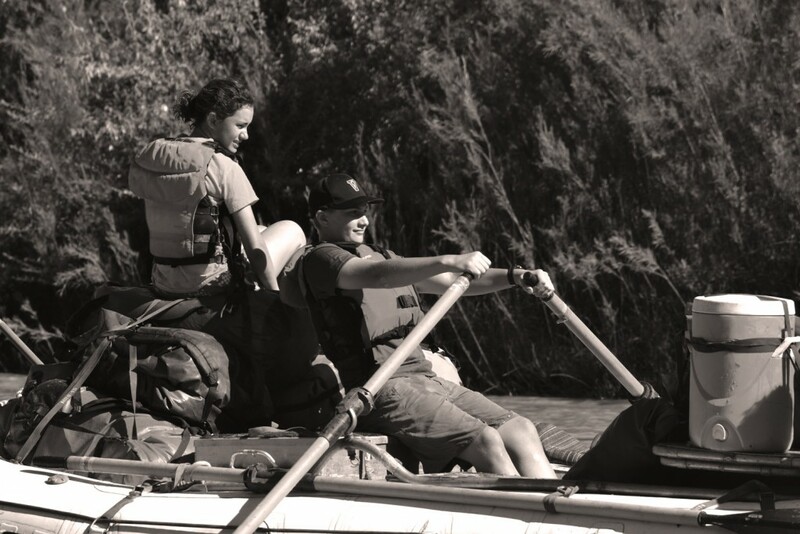 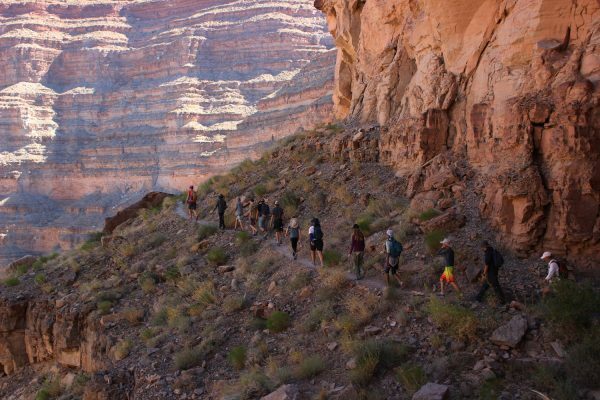 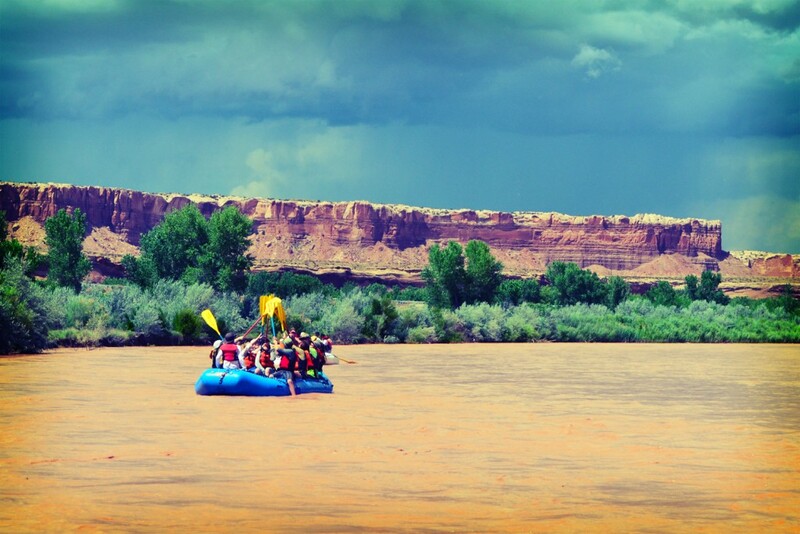 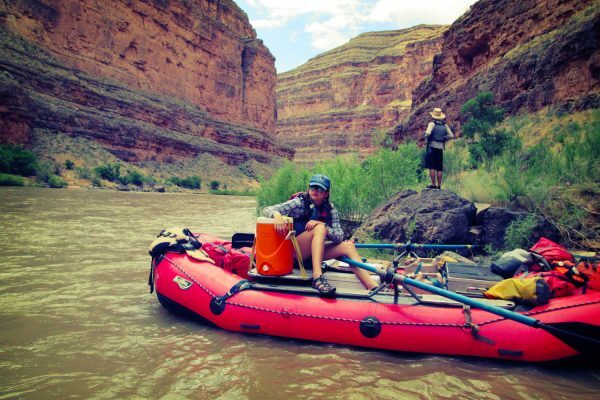 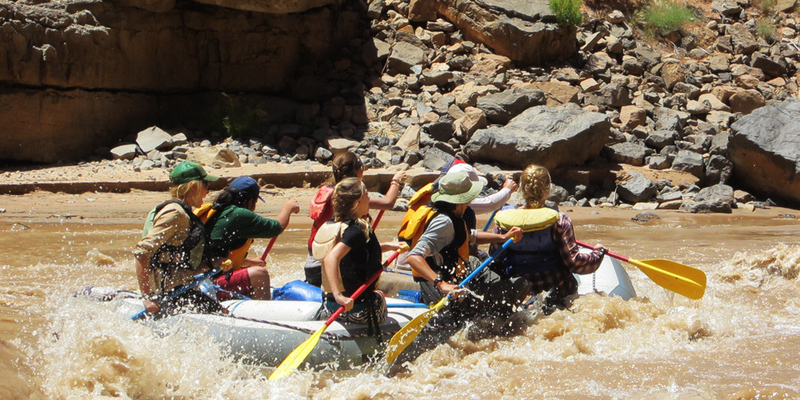 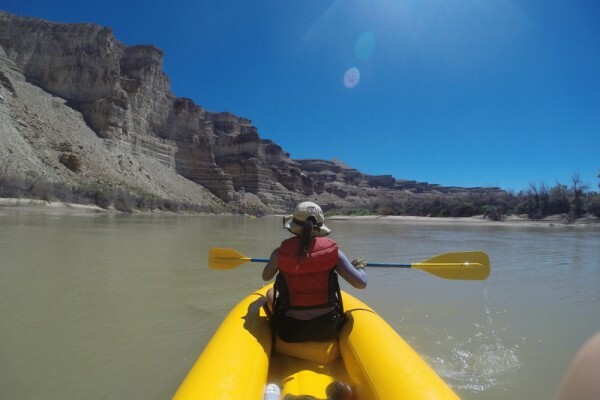 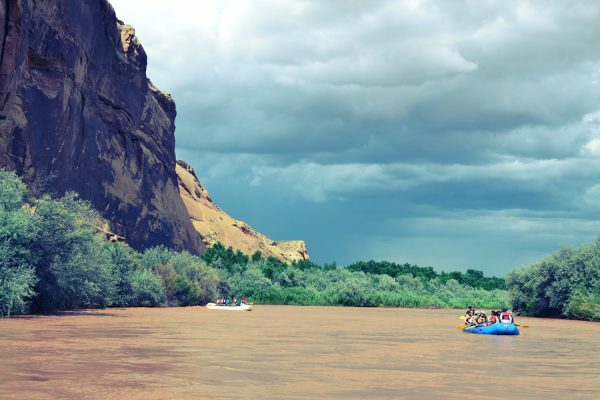 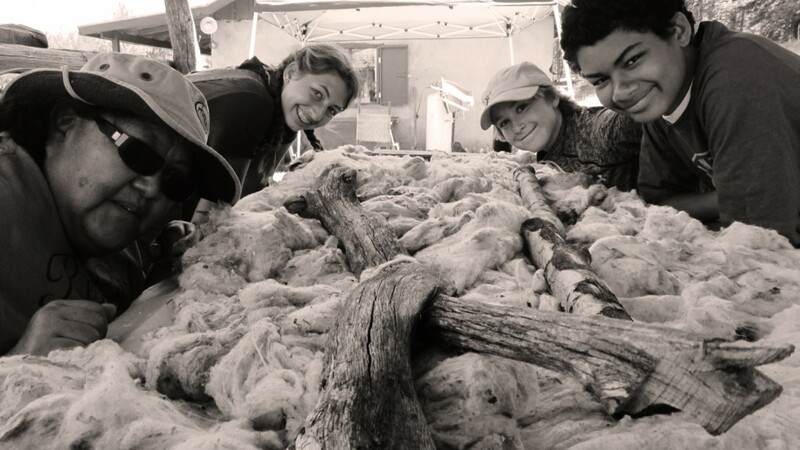 Groups will splash through Class I – II+ rapids, relax on stretches of flatwater, camp on sandy beaches, make meals together, explore ancient Ancestral Puebloan ruins, and practice Leave No Trace techniques. 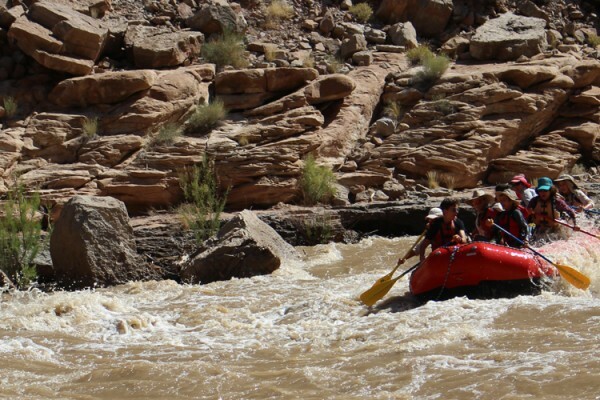 Participants will have the opportunity to learn how to navigate a river using inflatable kayaks, taking a seat on the paddle raft, or even taking the helm on the oar rig. 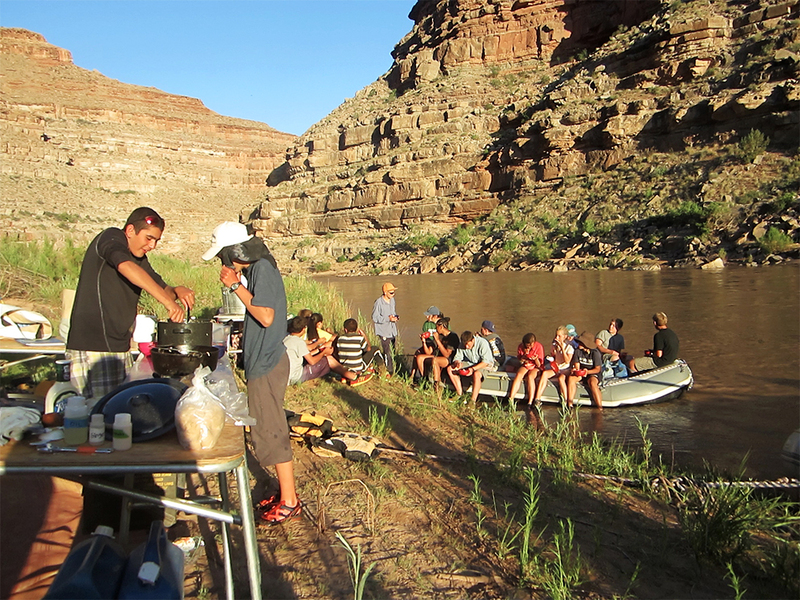 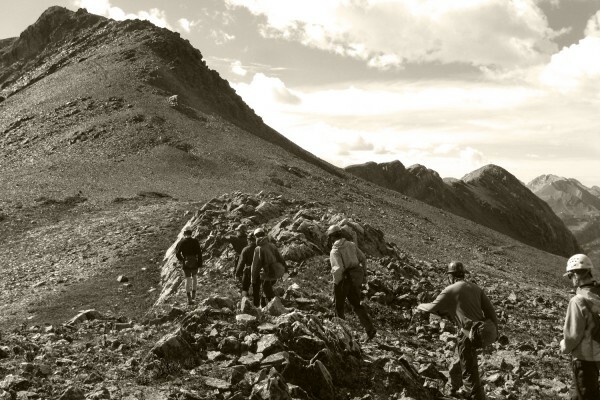 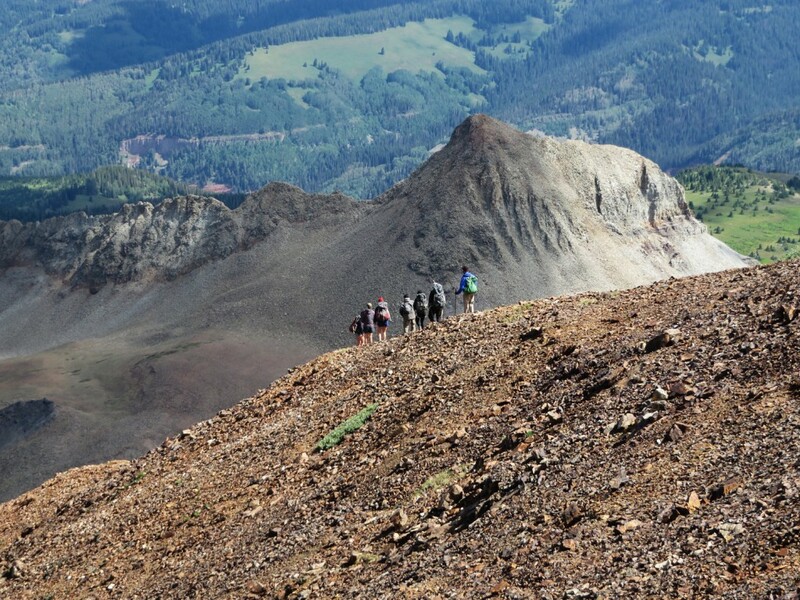 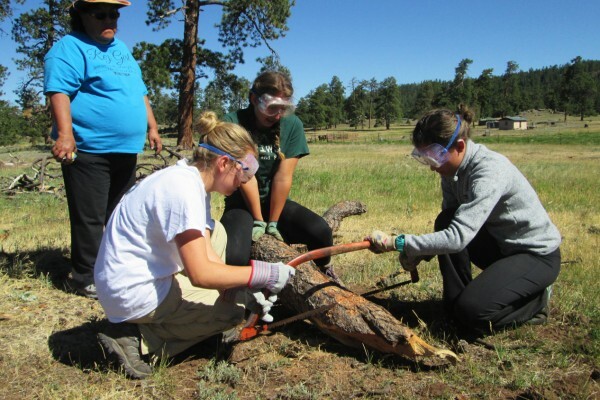 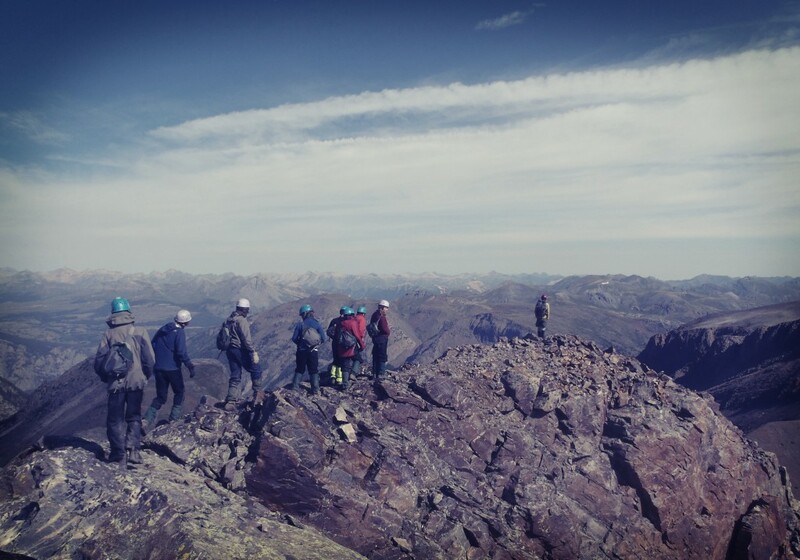 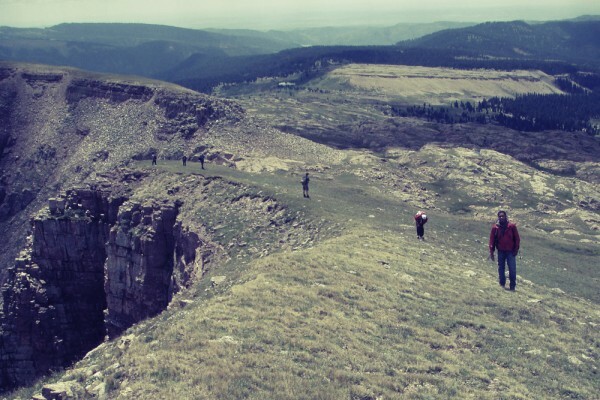 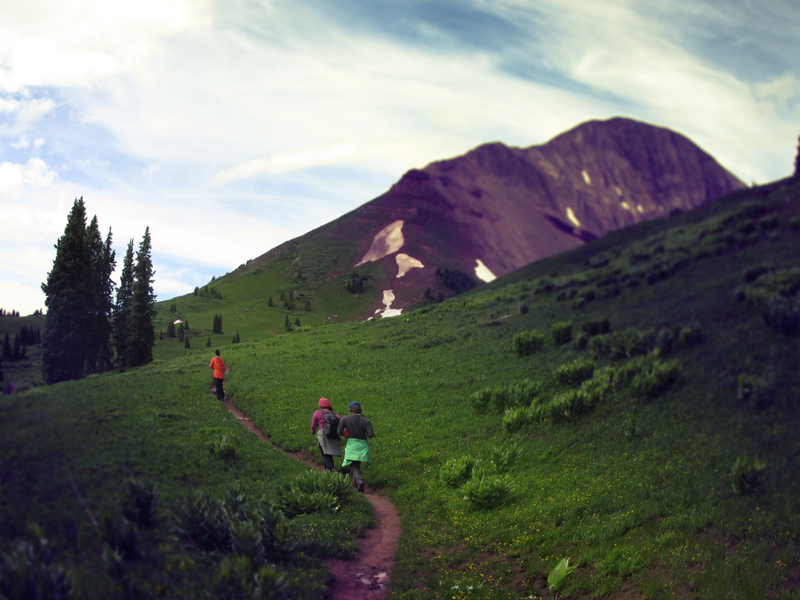 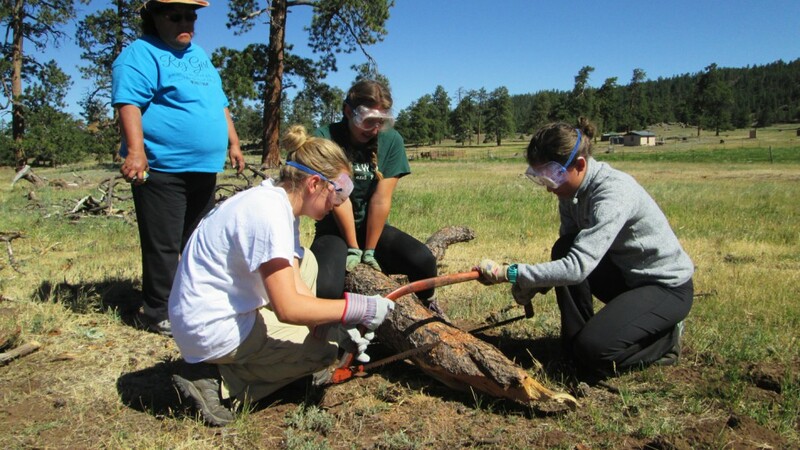 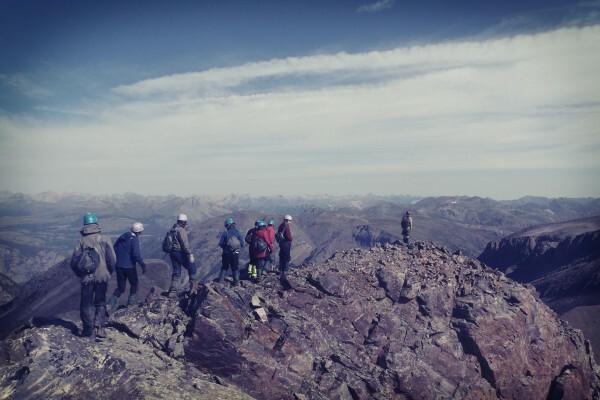 Deer Hill Expeditions guides groups on the San Juan, Colorado, and Green Rivers. 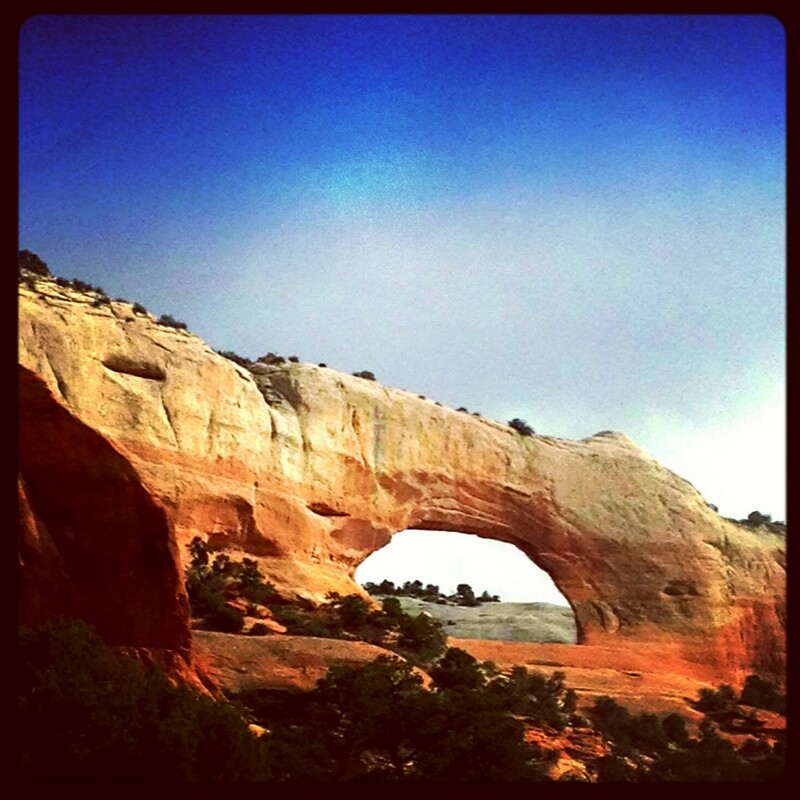 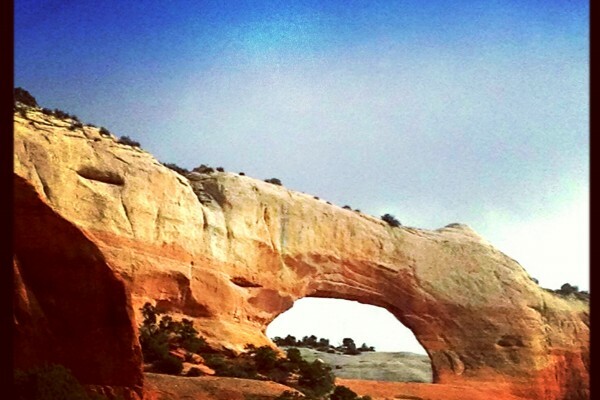 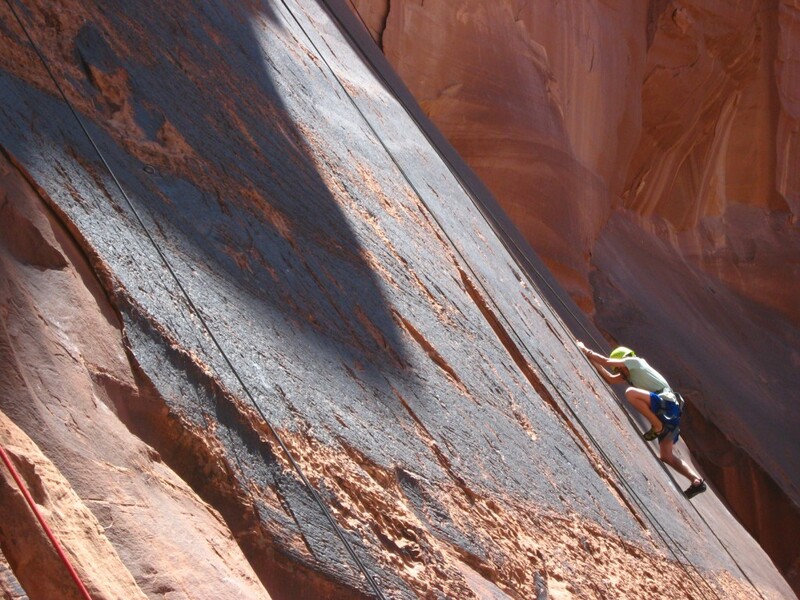 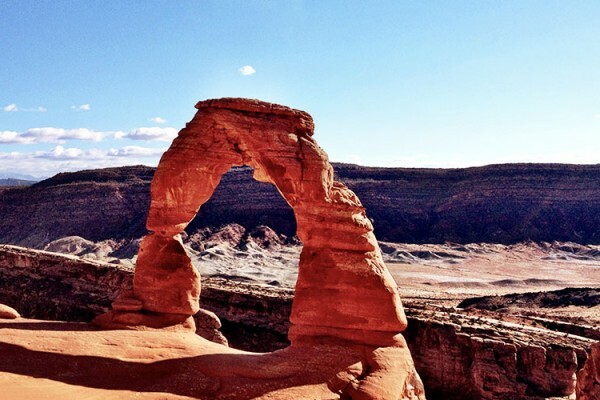 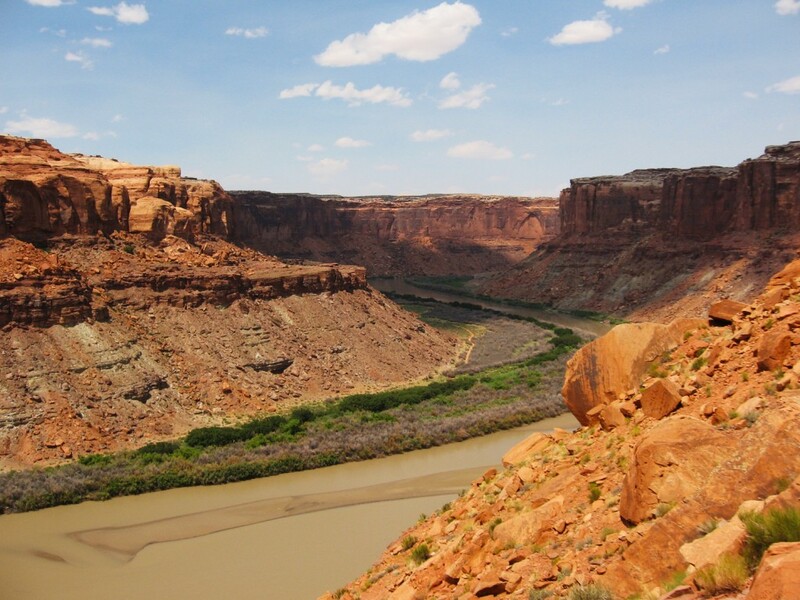 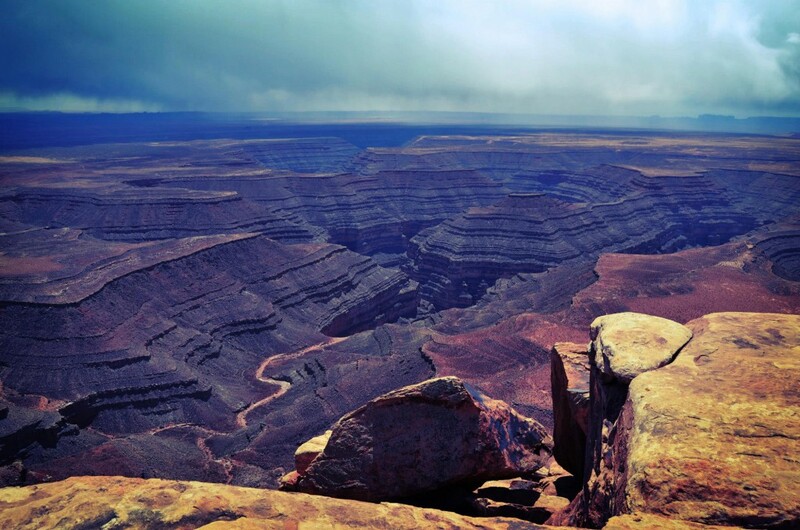 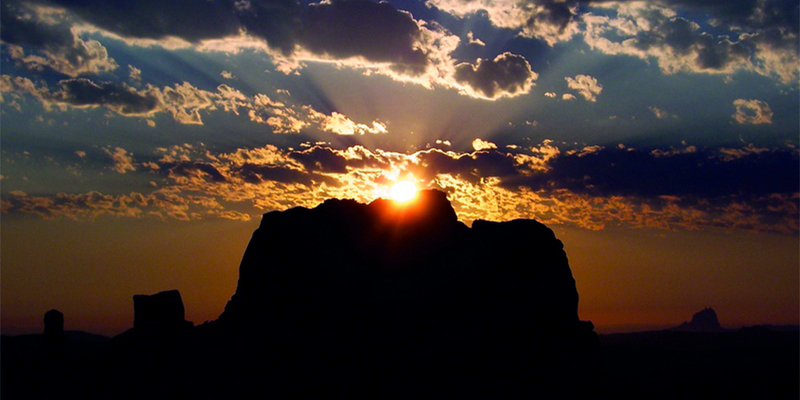 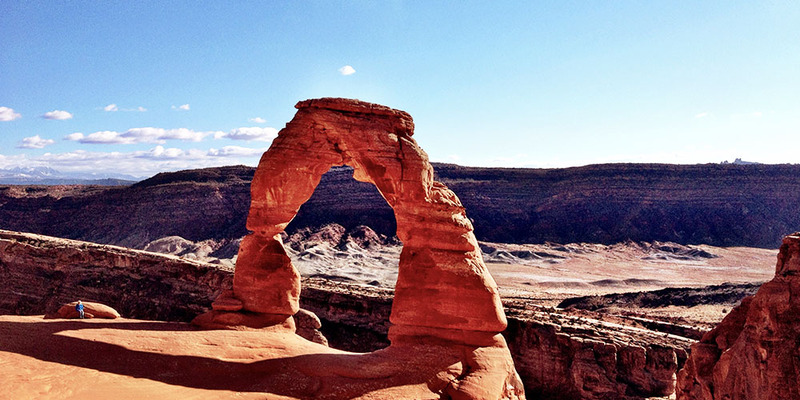 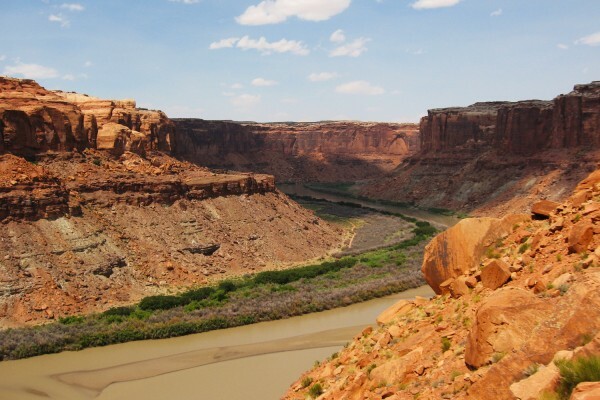 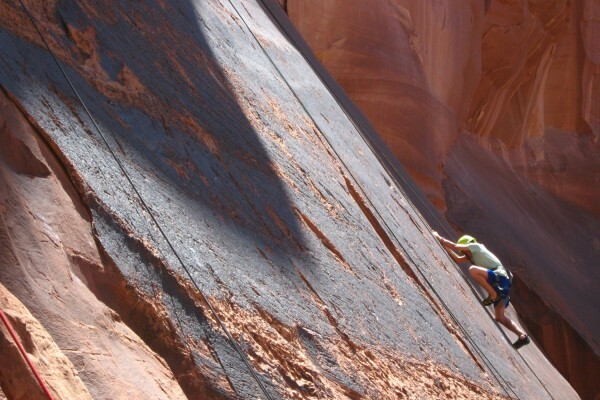 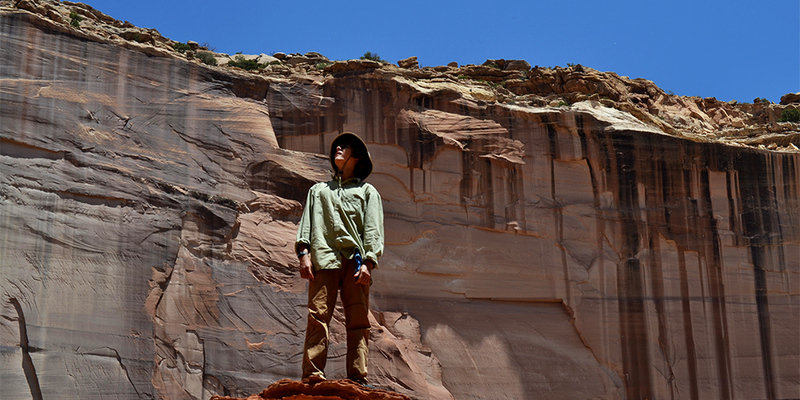 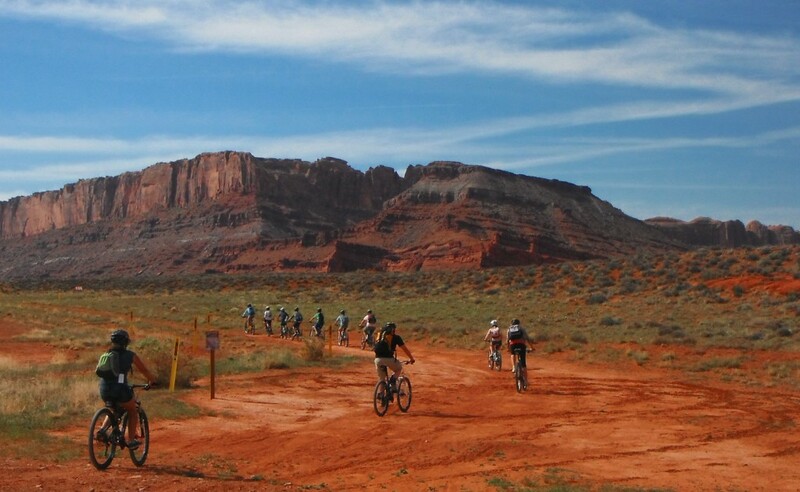 For many outdoor enthusiasts, Moab, Utah is the departure point for a variety of activities. 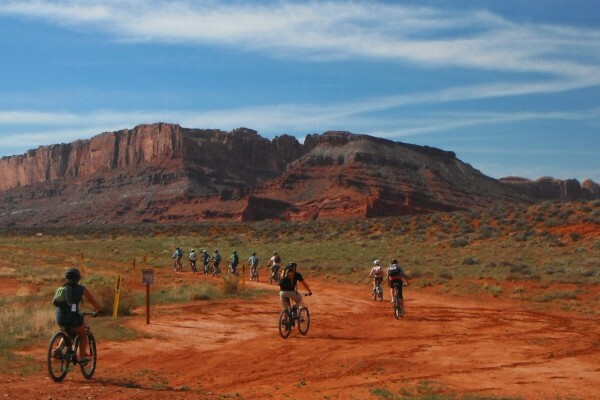 The red rock sandstone offers a stunning backdrop to hundreds of miles of single track mountain biking over legendary slick rock, countless rock climbing routes at all skill levels, and exploratory hiking to natural bridges and rock arches formed by thousands of years of wind and water erosion. 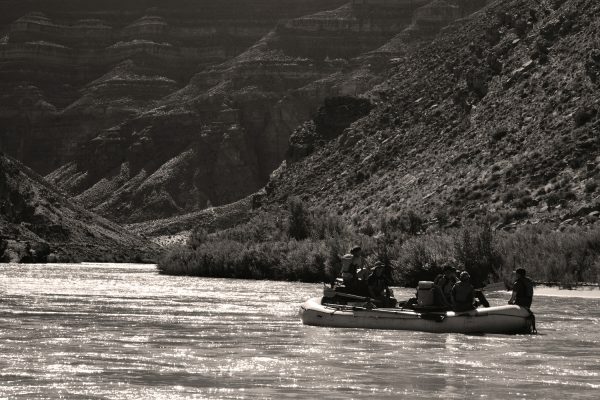 The Daily Run on the Colorado River offers an opportunity to cover some river miles in a single day, and all this outdoor recreation means plenty of opportunities for conservation service work to keep our collective impact under control. 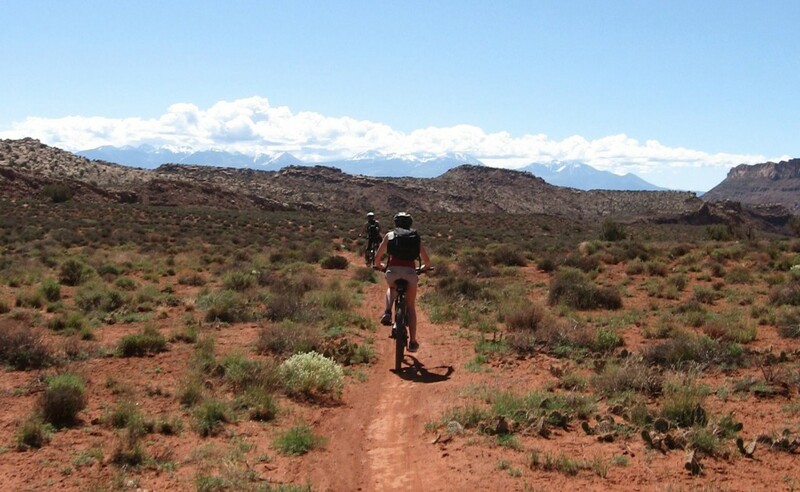 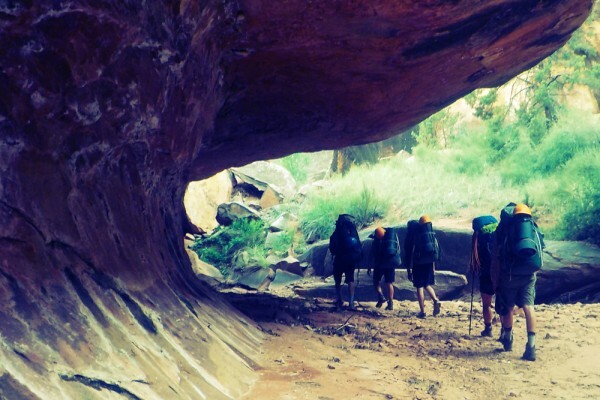 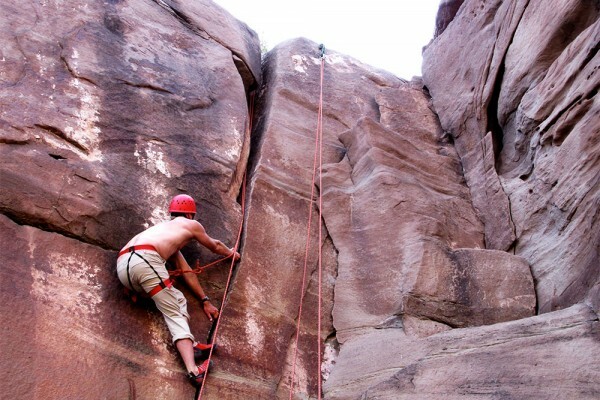 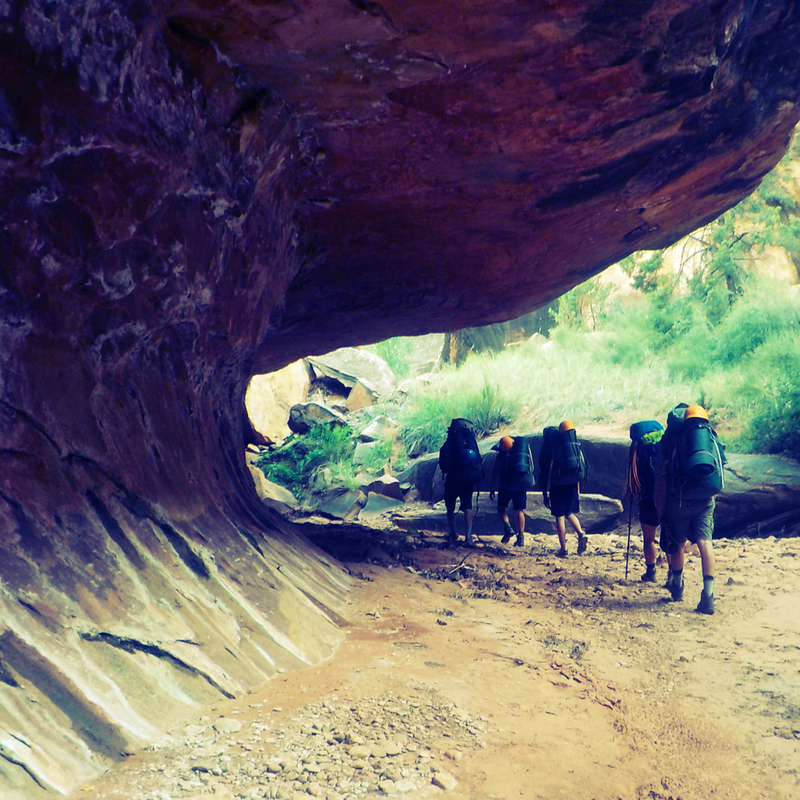 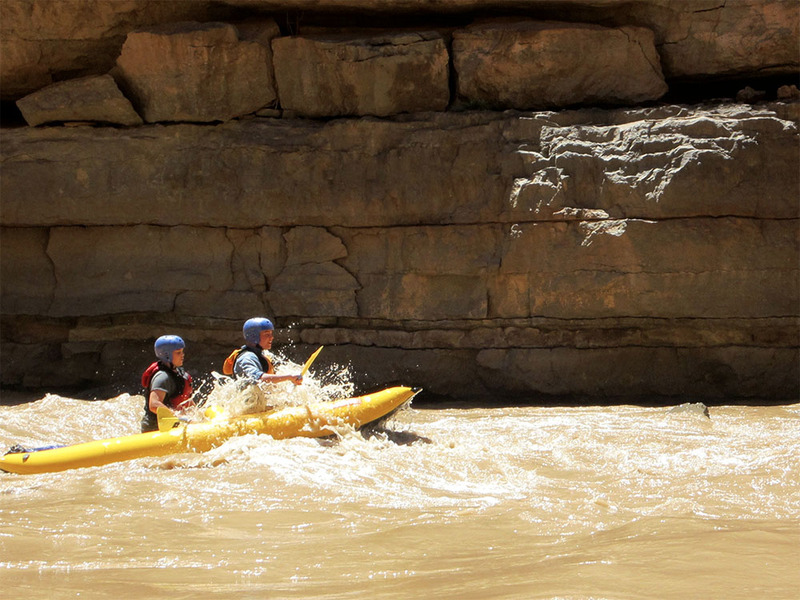 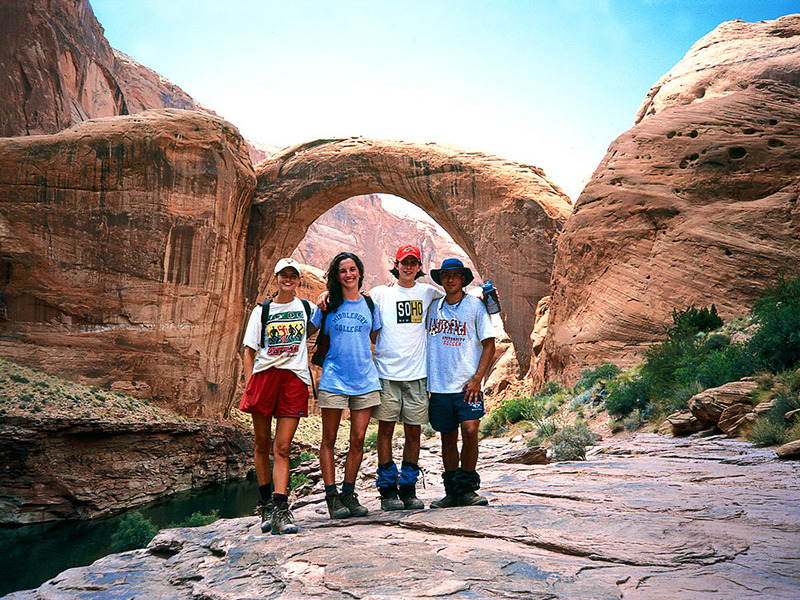 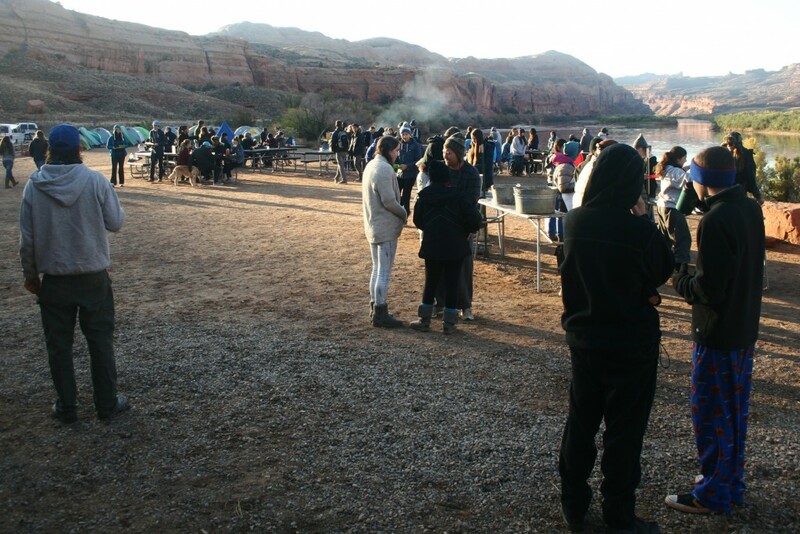 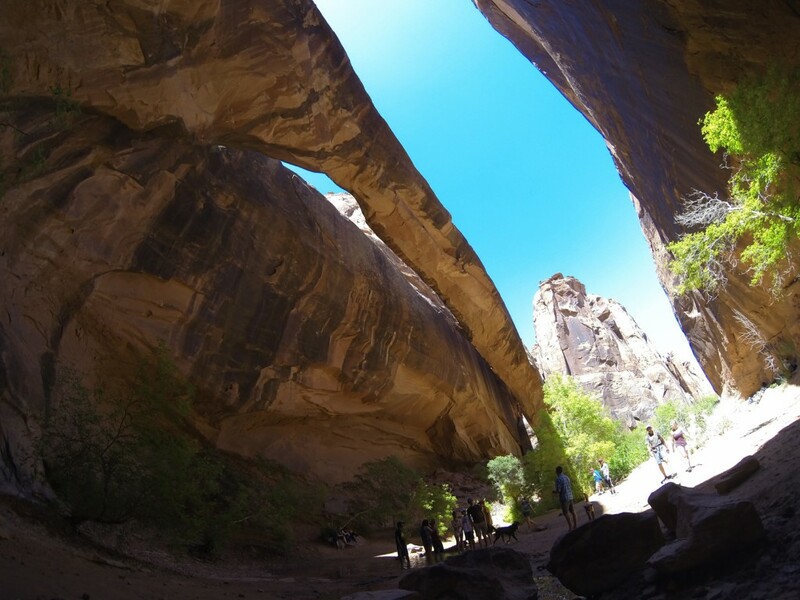 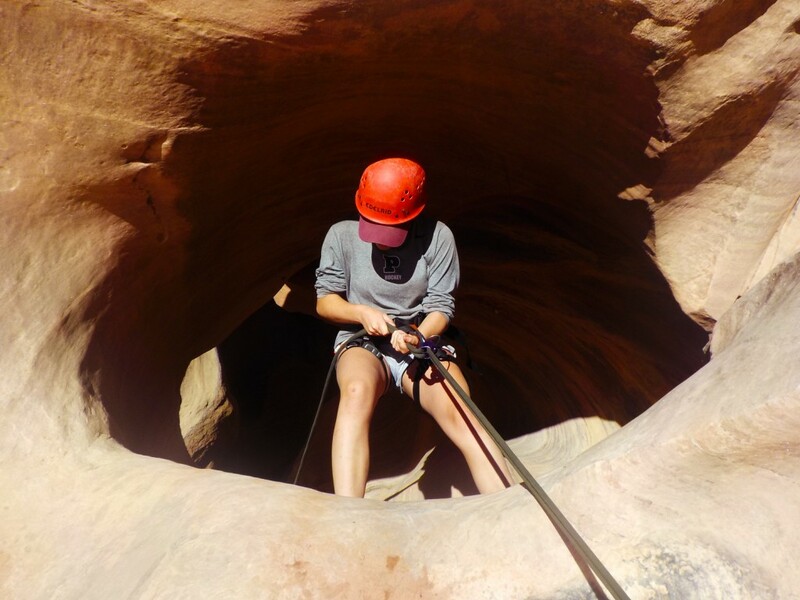 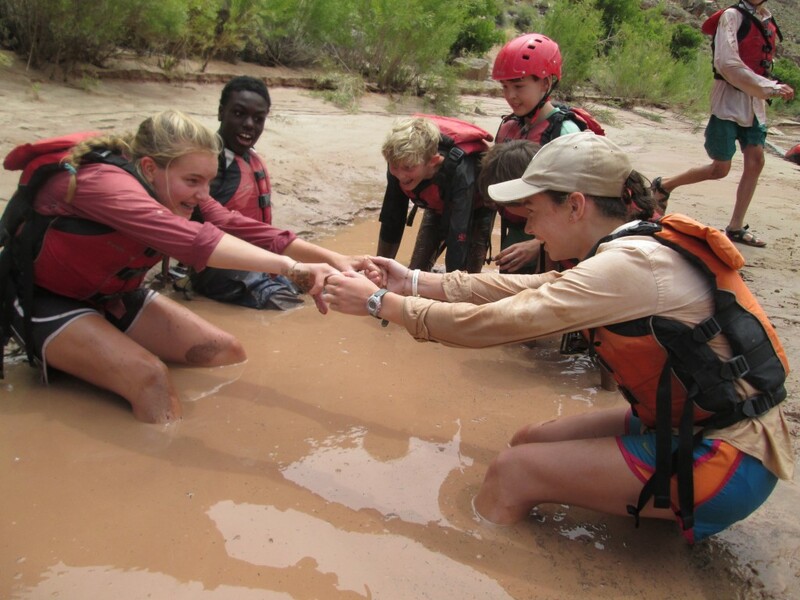 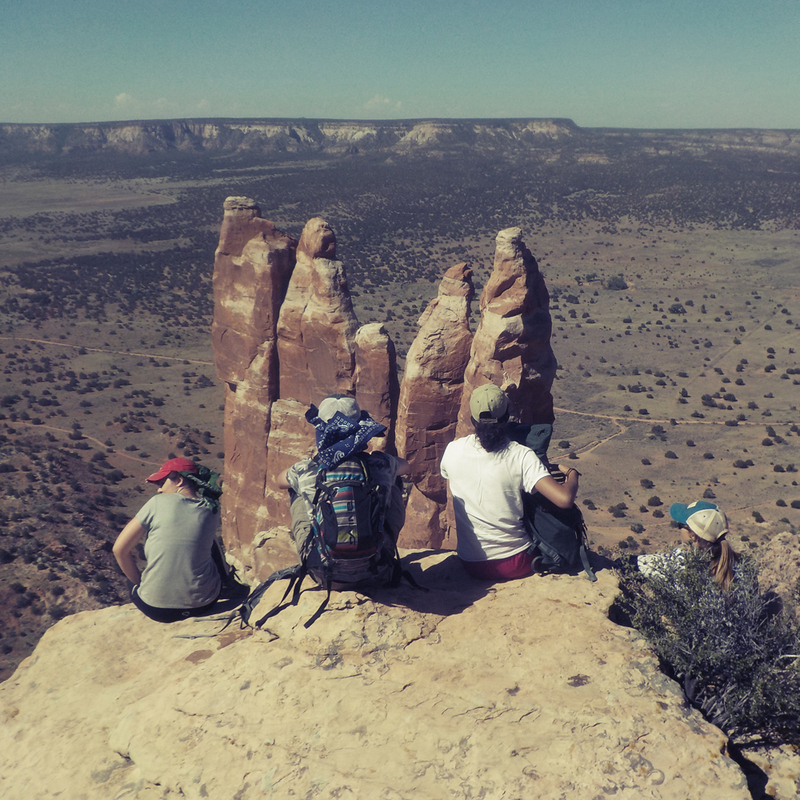 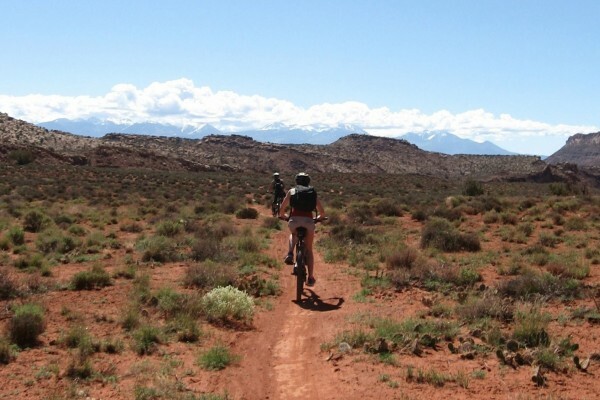 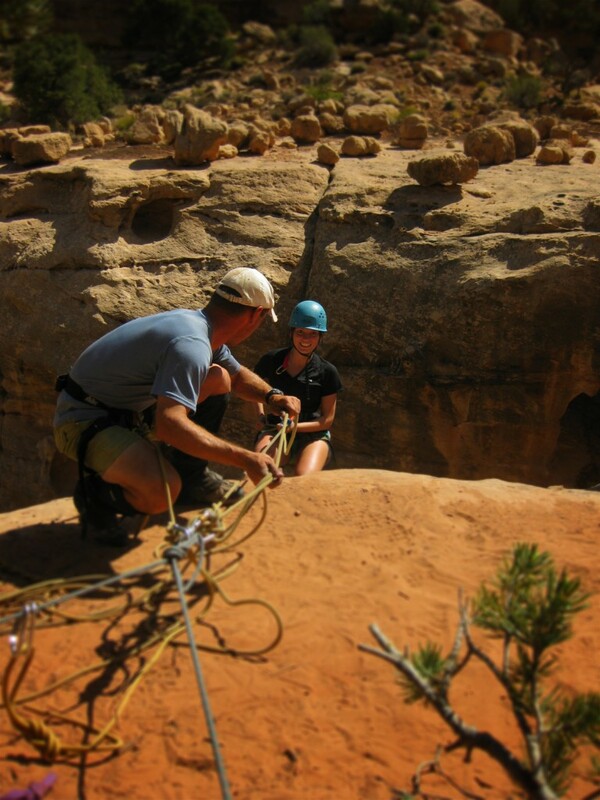 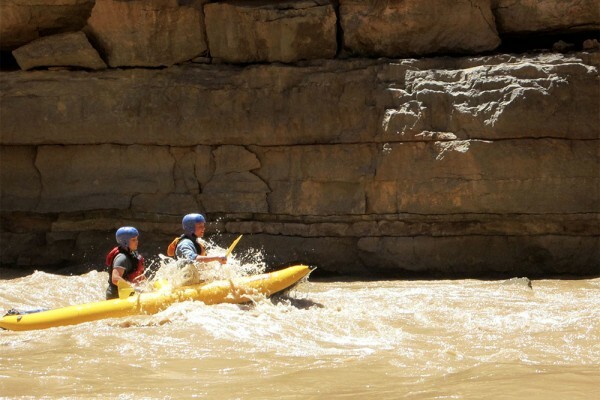 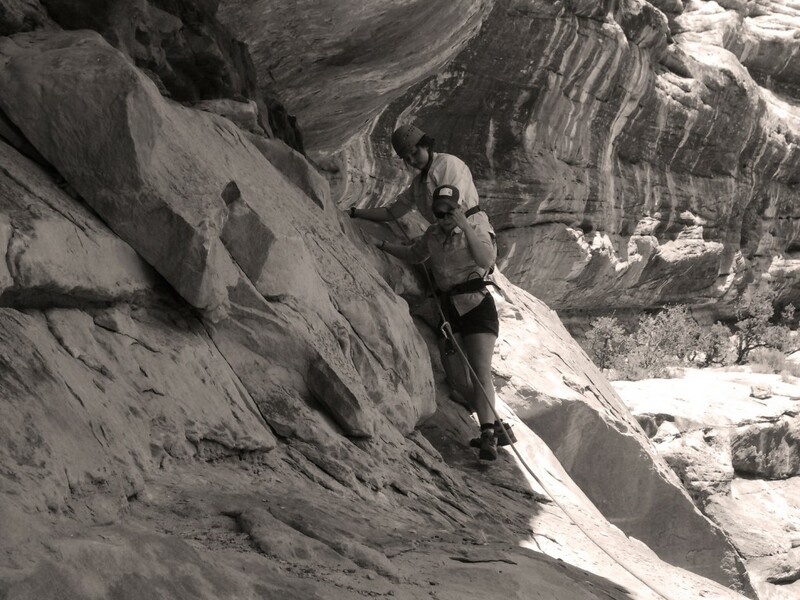 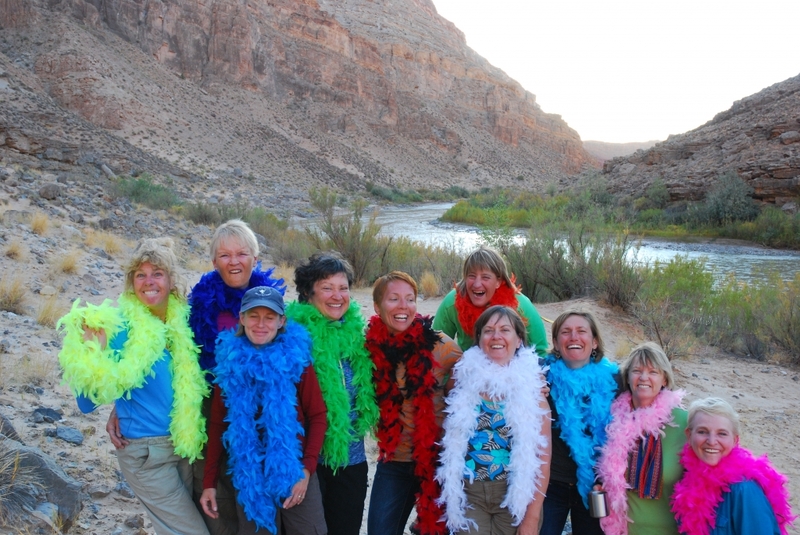 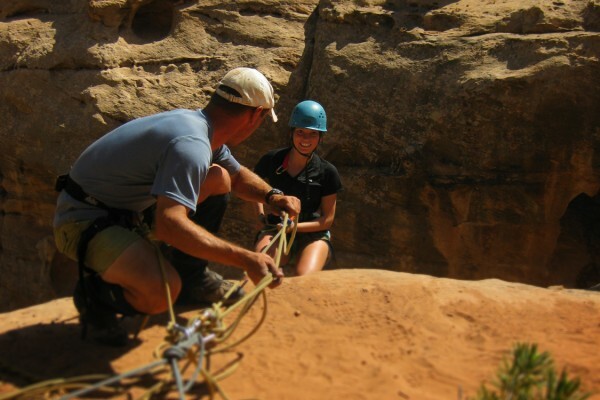 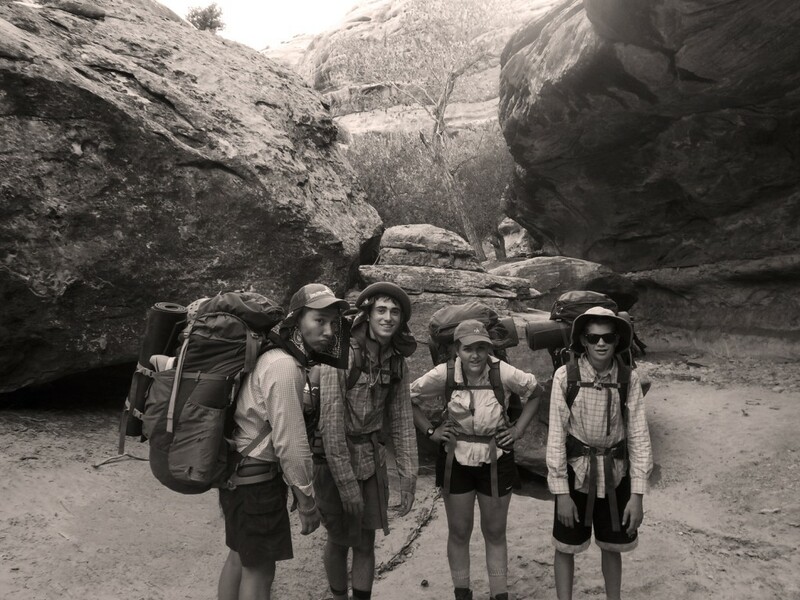 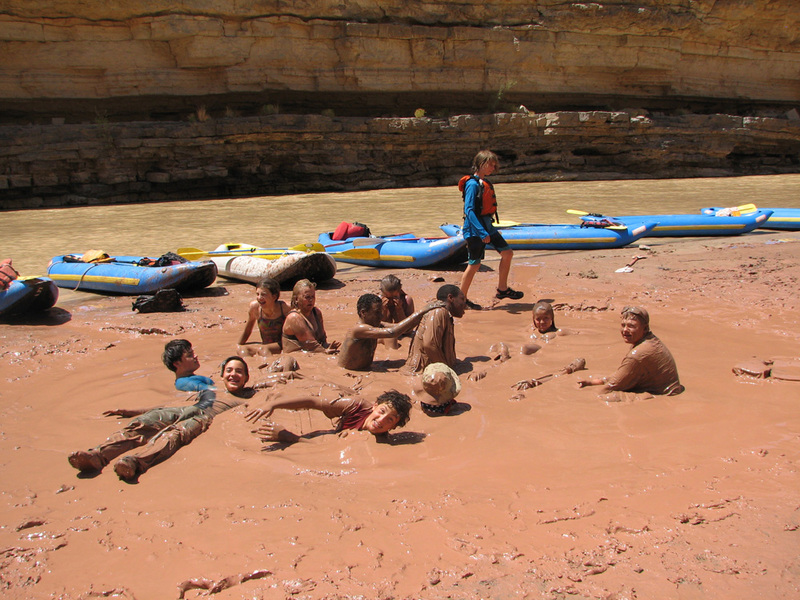 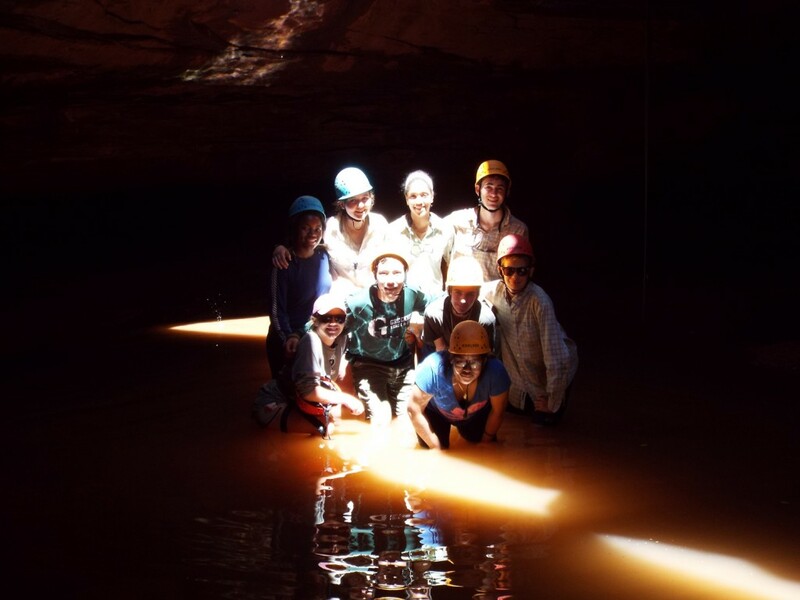 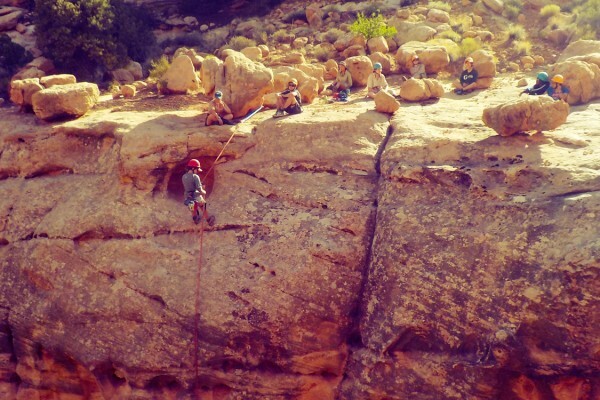 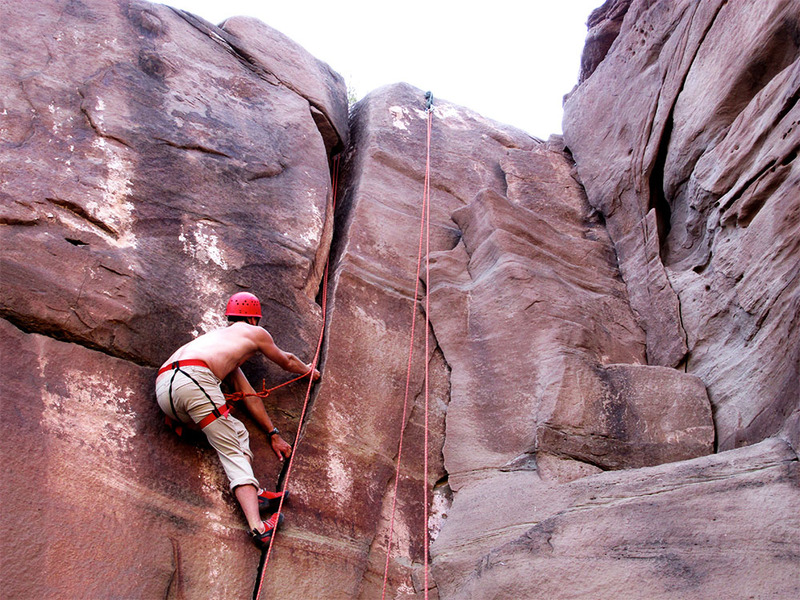 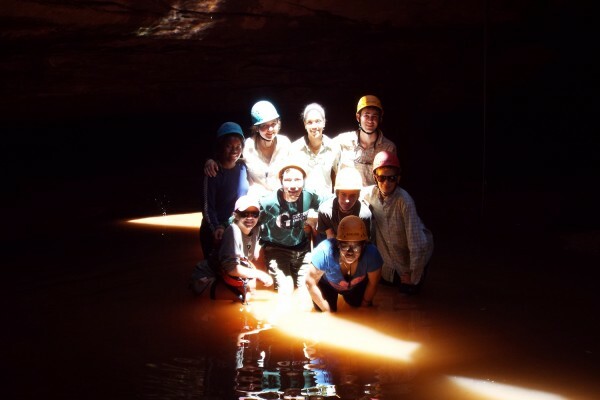 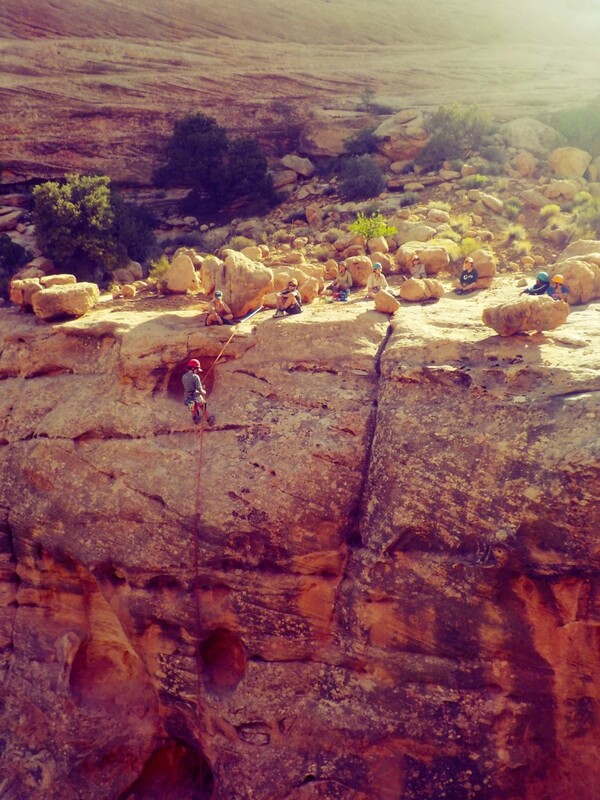 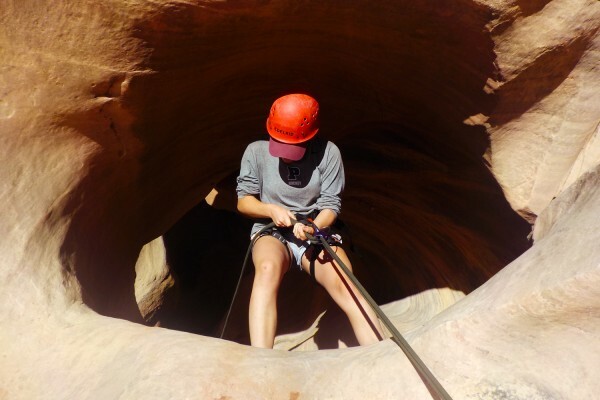 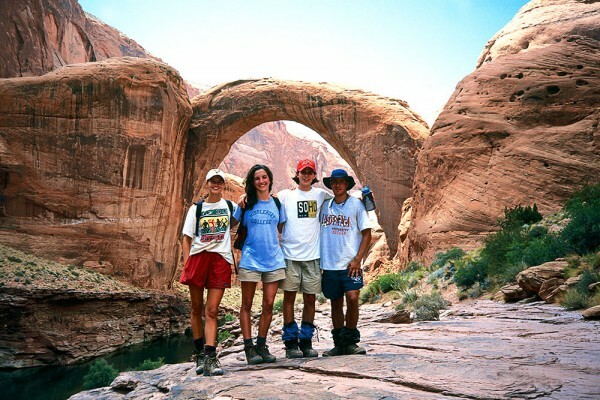 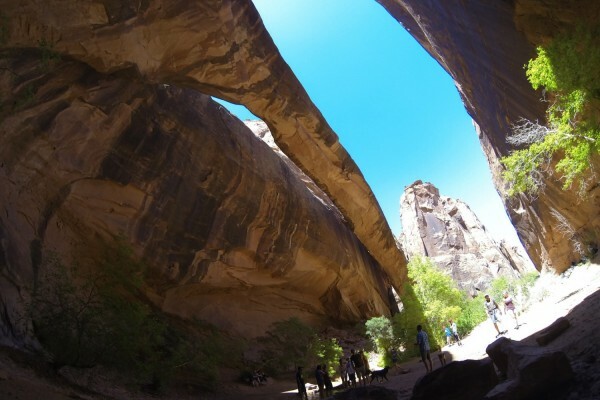 Custom Group Programs that include outdoor adventure in Moab, typically combine a number of these activities. 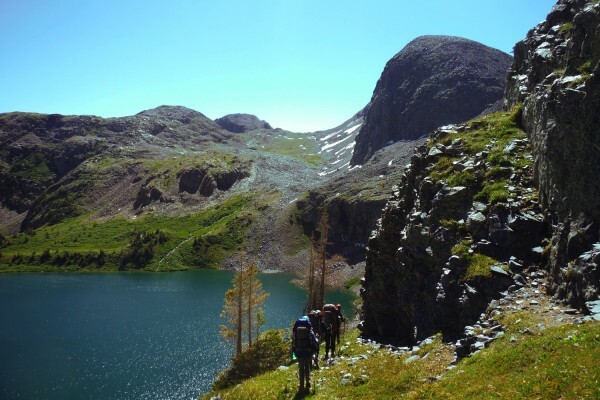 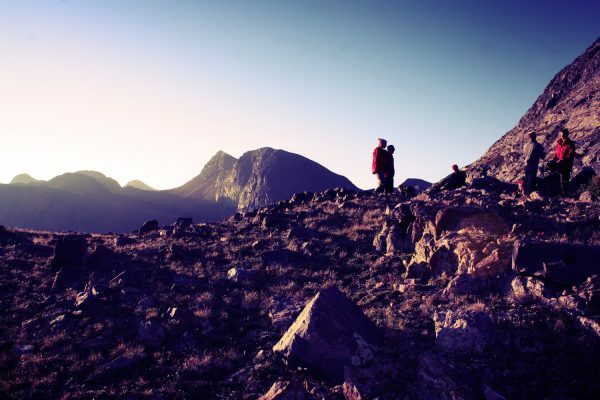 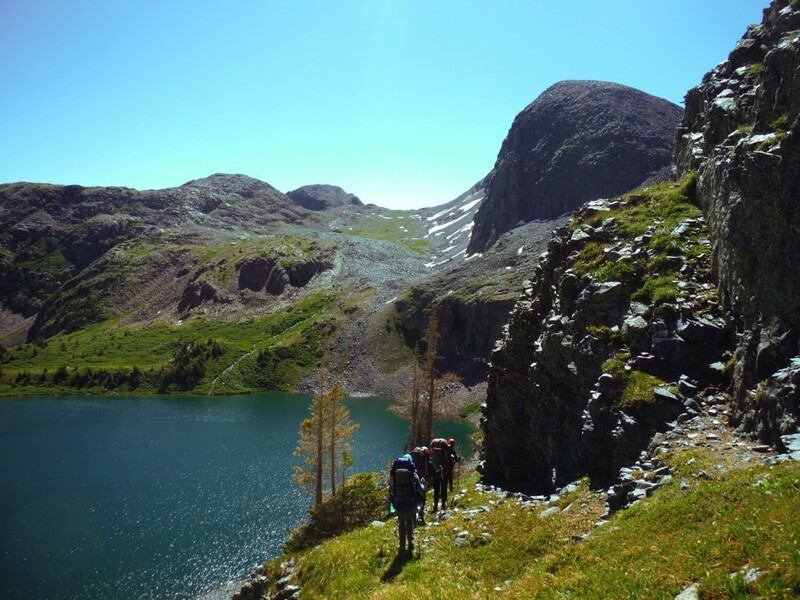 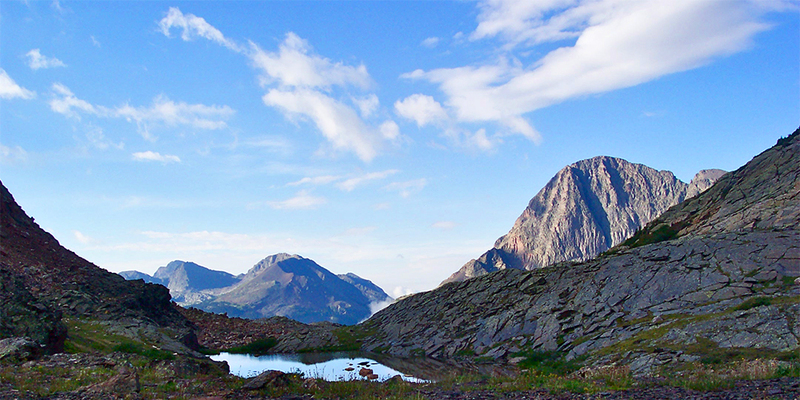 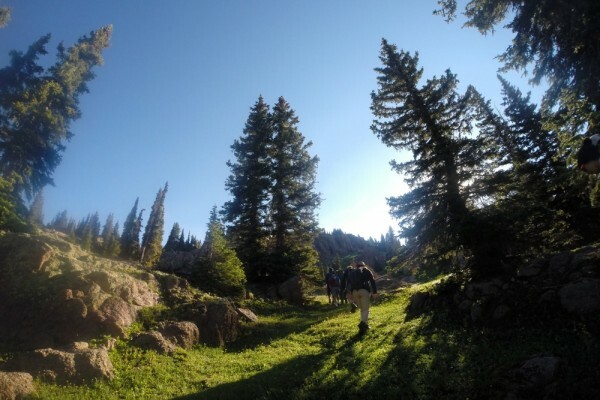 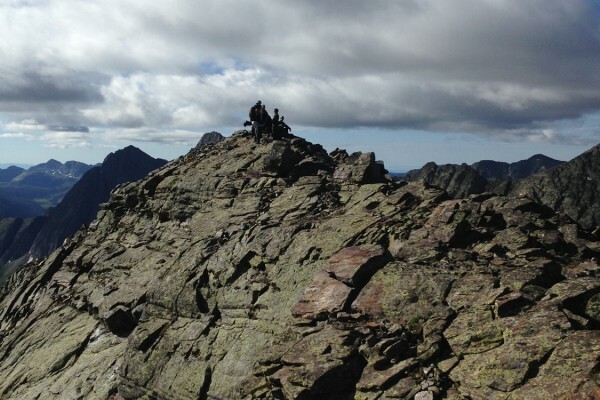 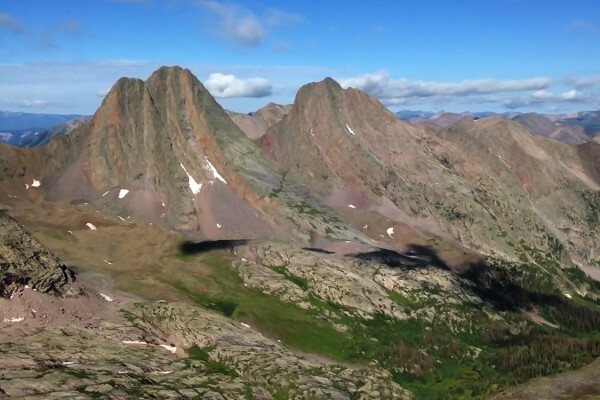 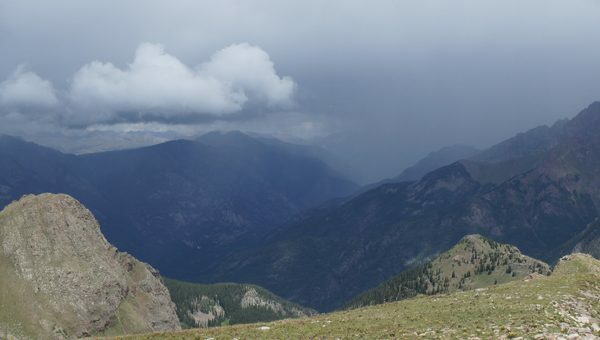 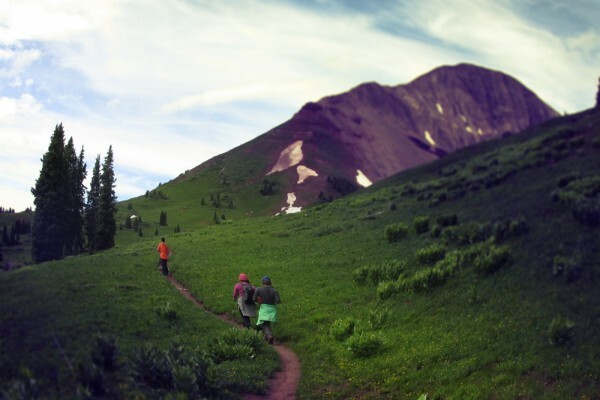 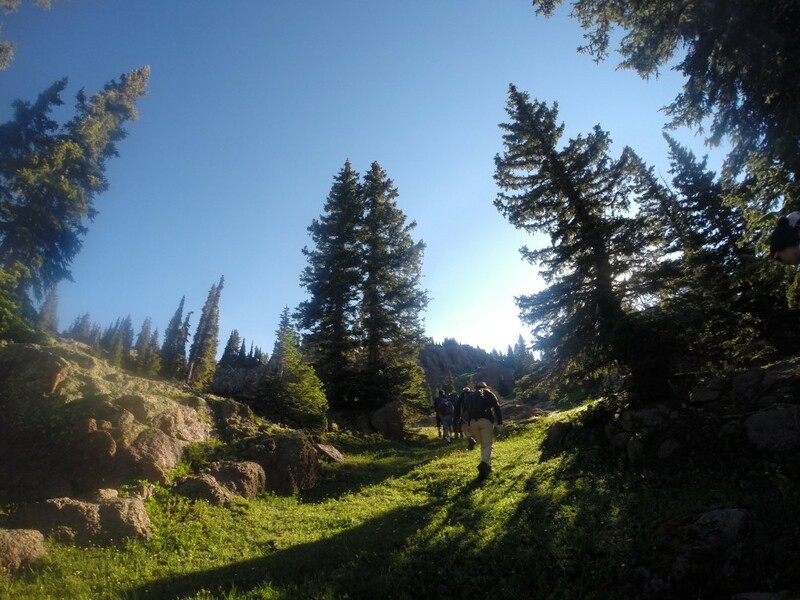 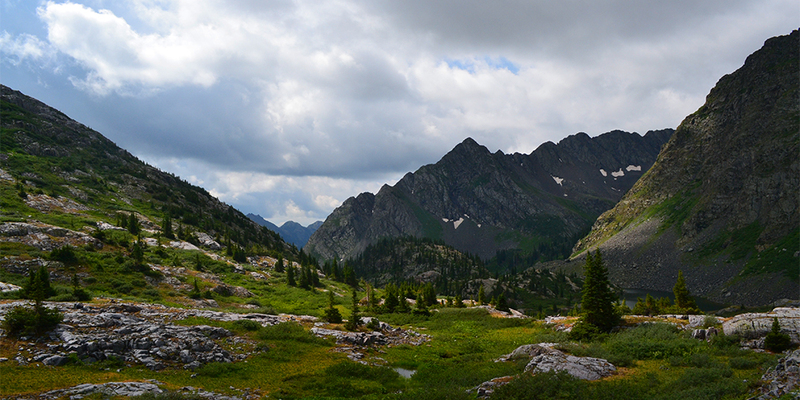 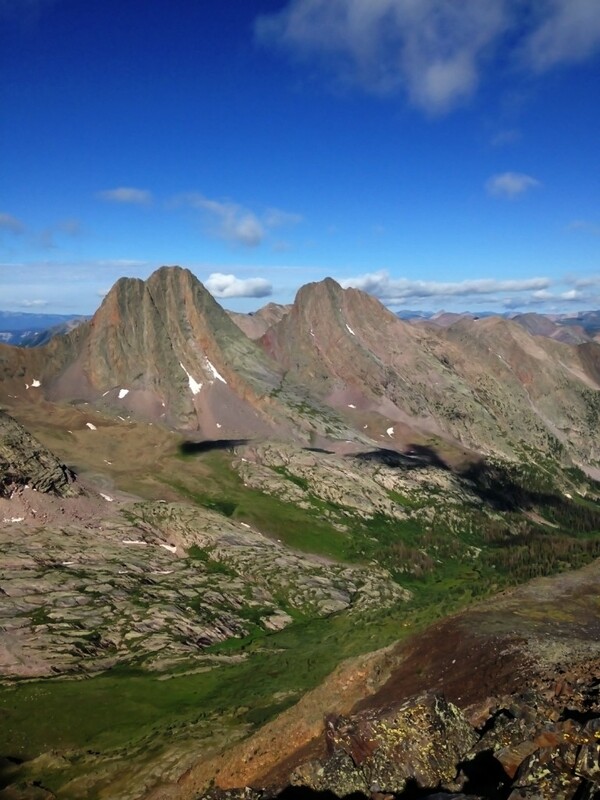 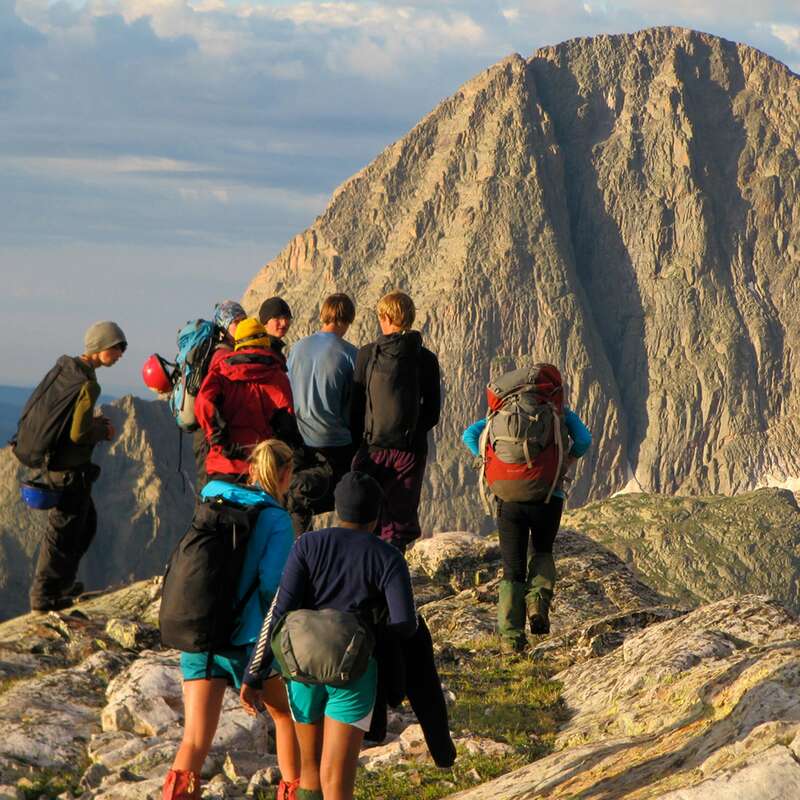 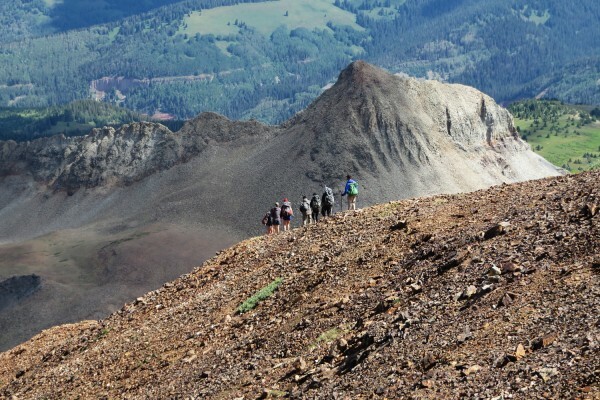 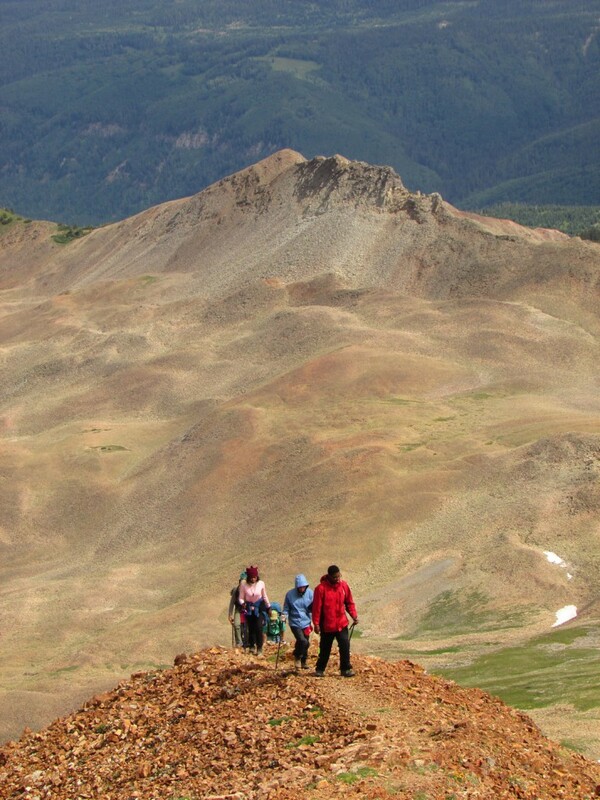 Deer Hill Expeditions leads backpacking trips in Colorado’s Weminuche Wilderness as well as the canyons of southeastern Utah. 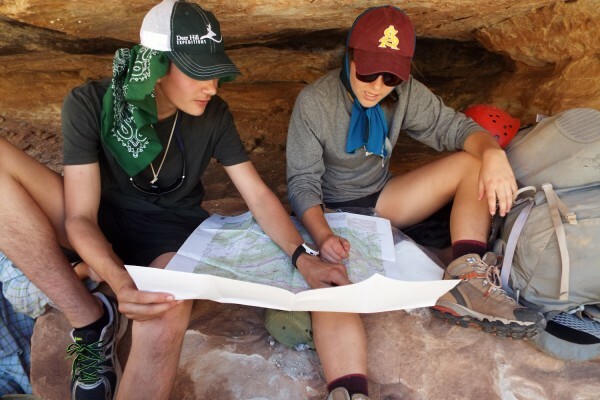 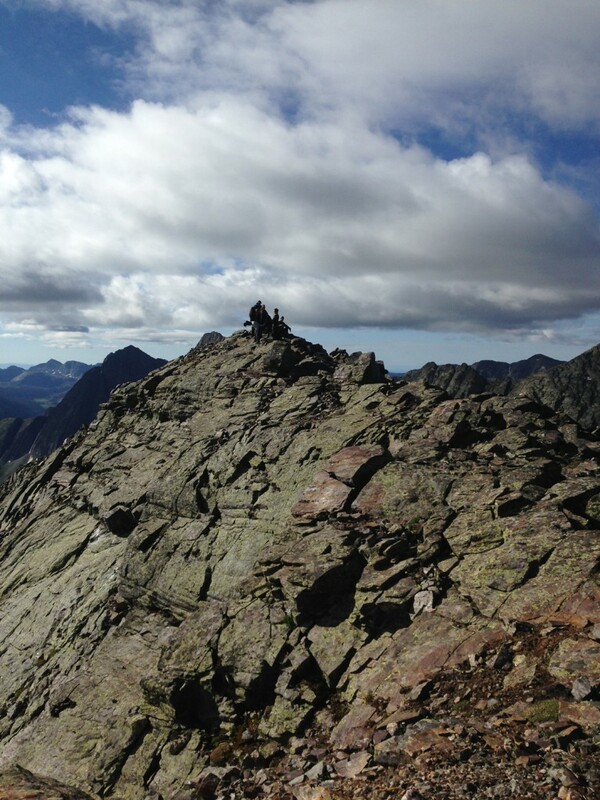 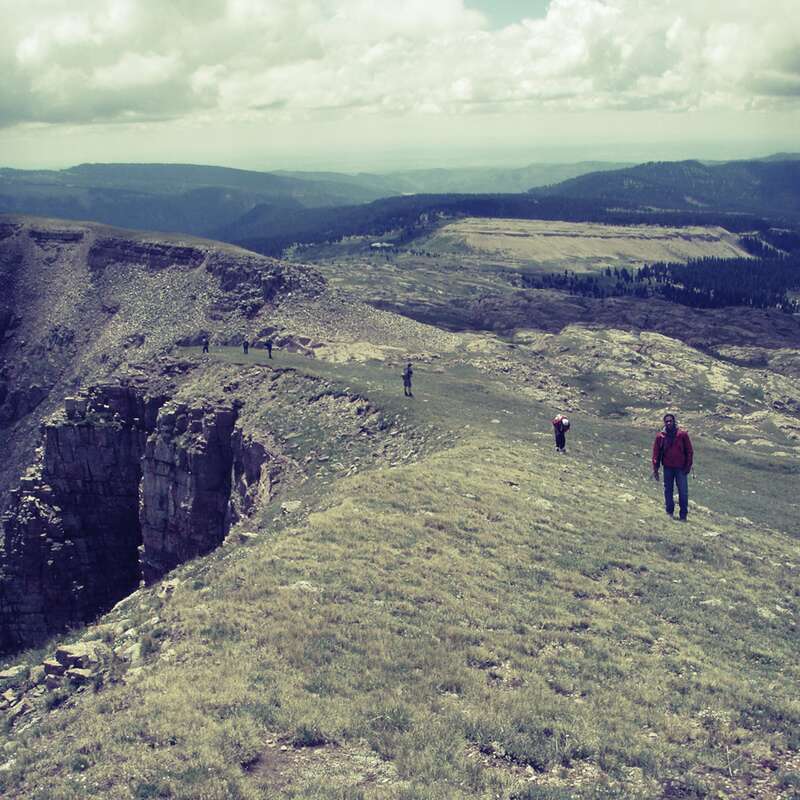 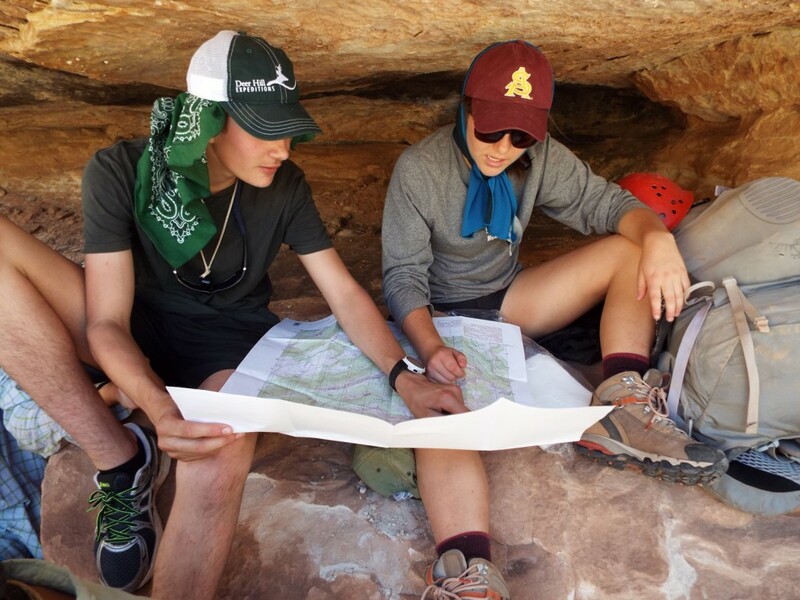 Field staff teach participants essential and/or technical wilderness skills and Leave No Trace practices while exploring these remote and beautiful landscapes. 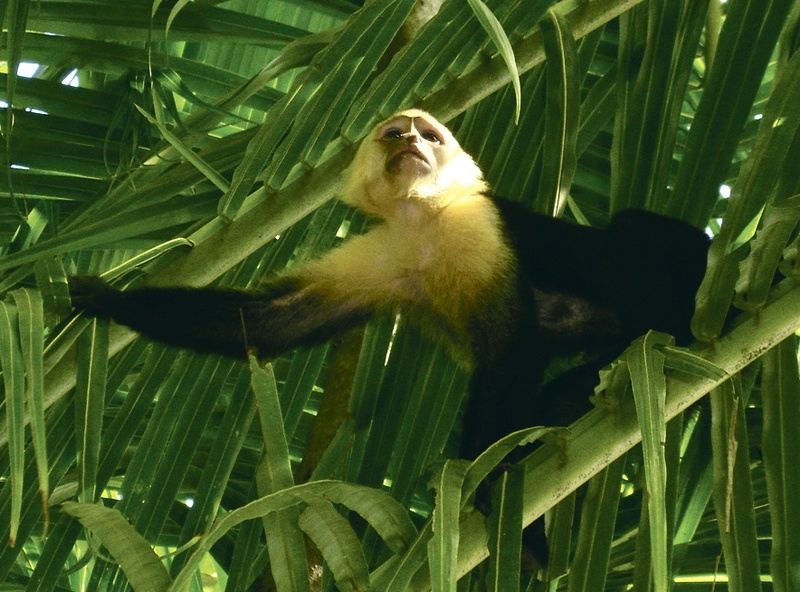 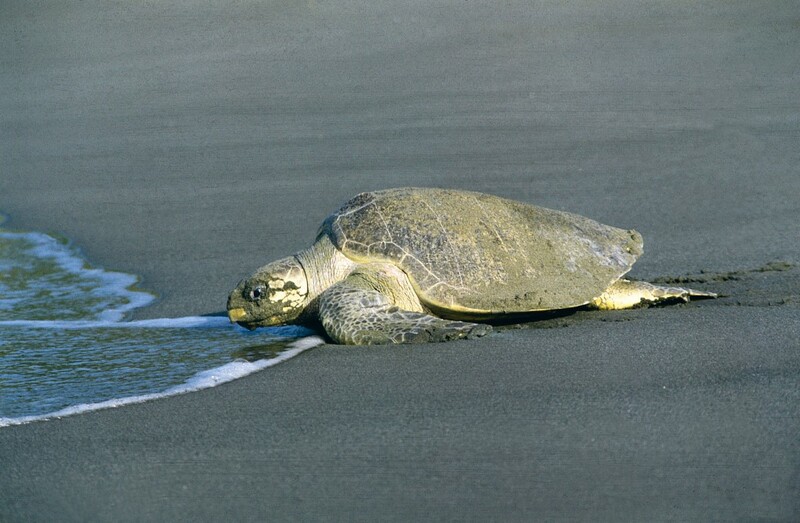 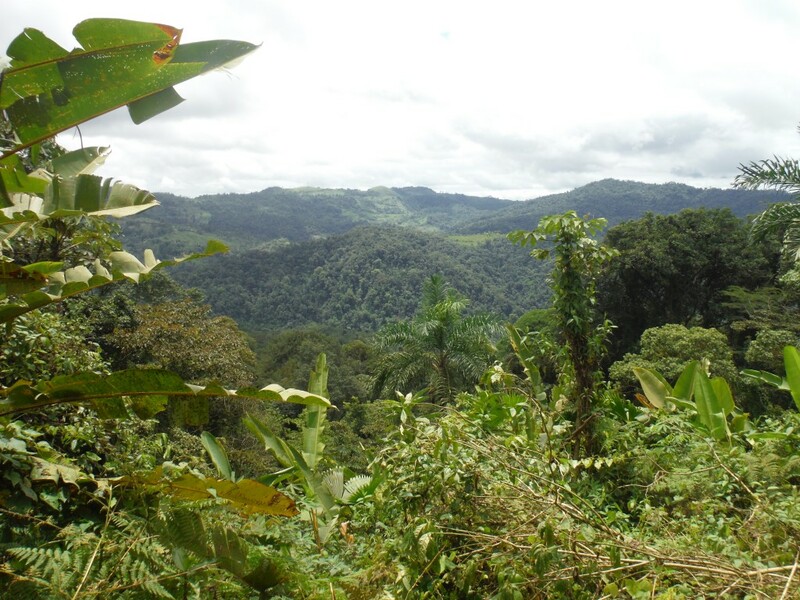 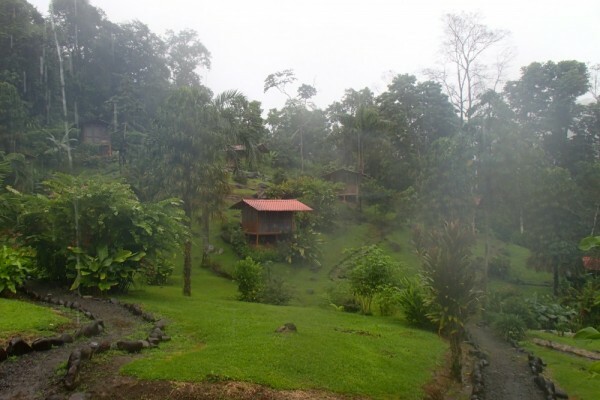 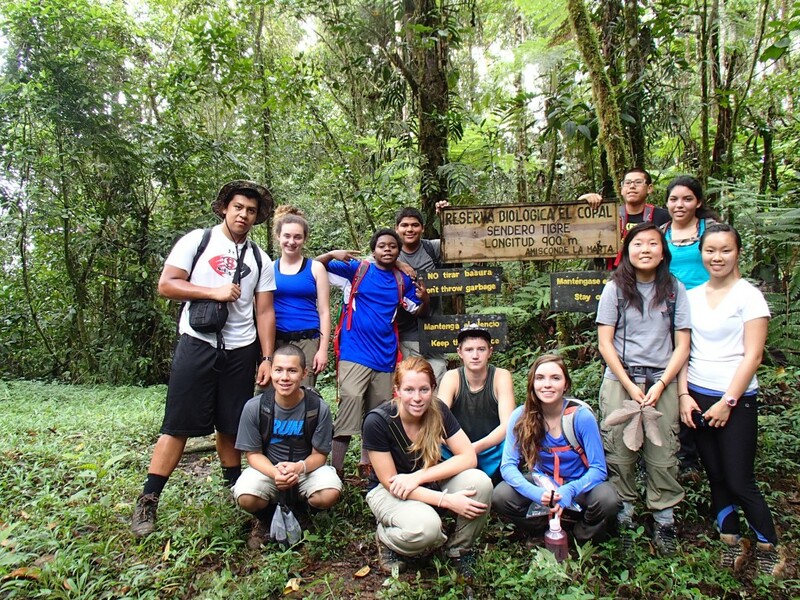 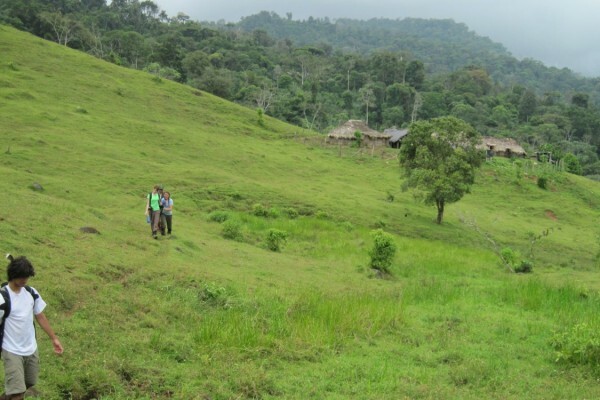 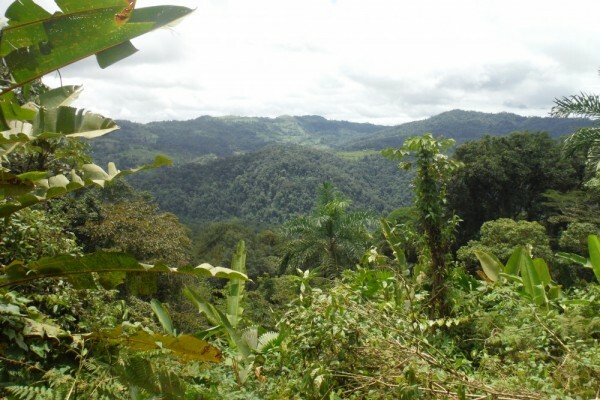 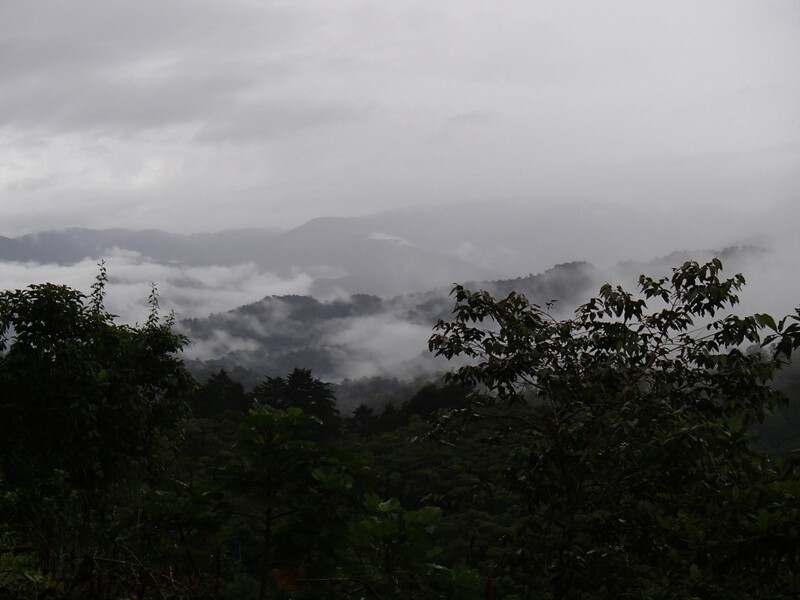 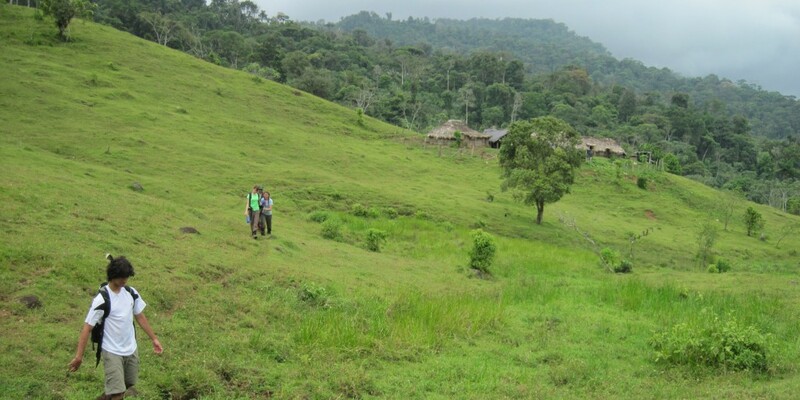 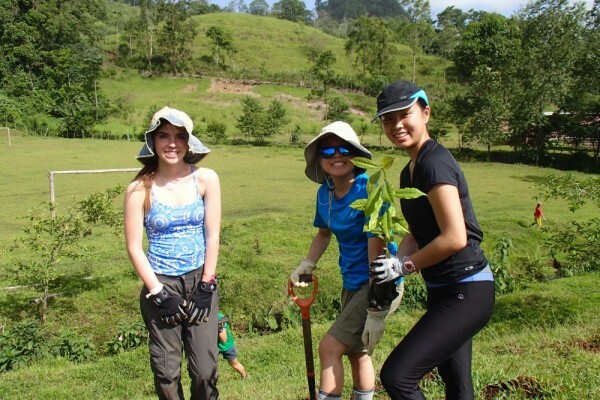 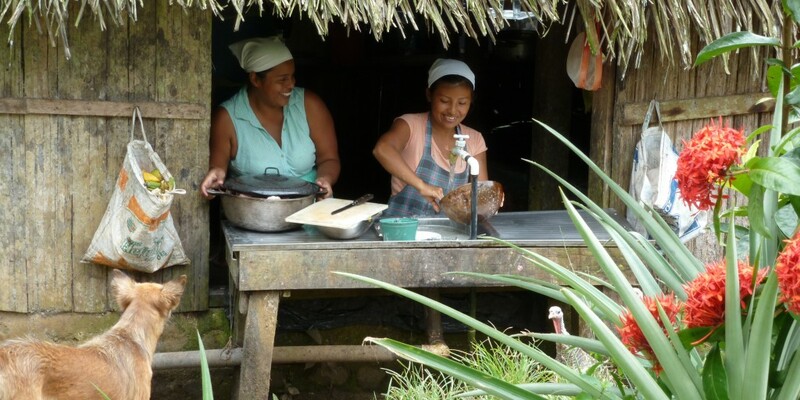 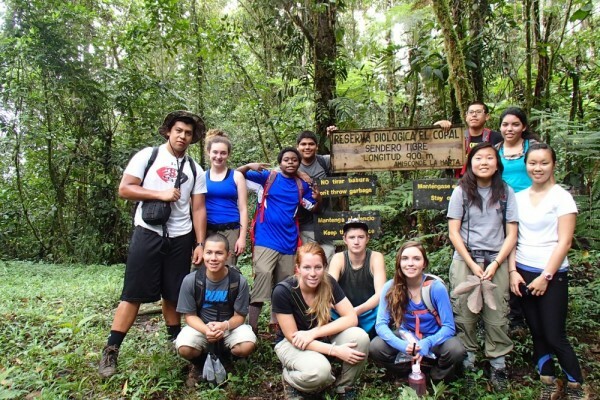 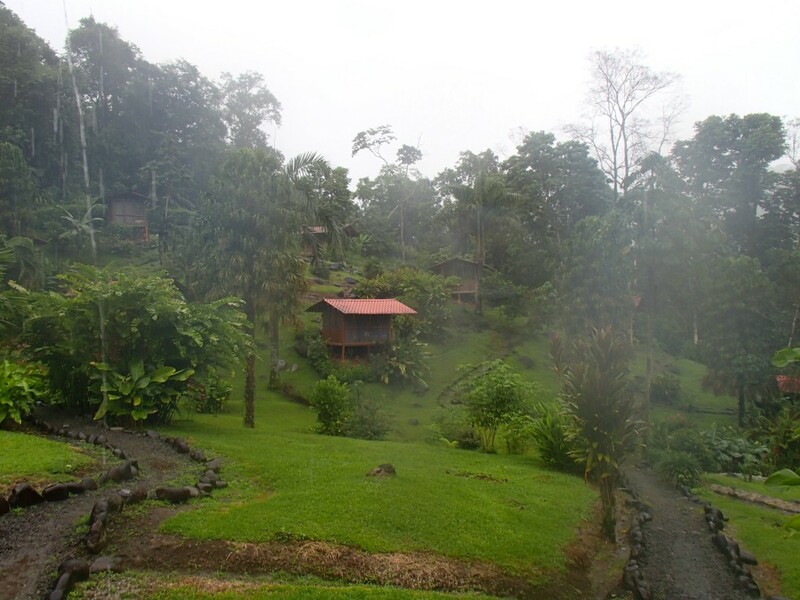 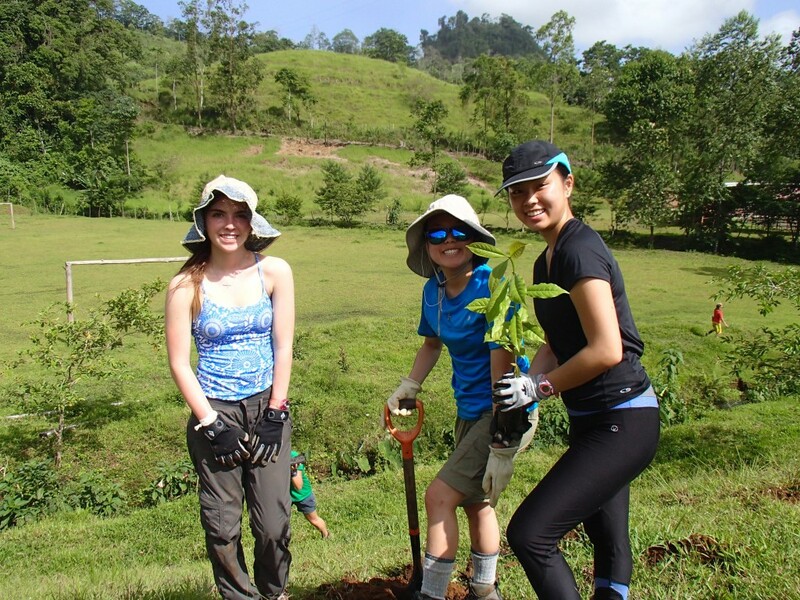 Deer Hill Expeditions runs programs every year in Costa Rica in partnership with a local guiding organization to support the classic Deer Hill experience with local knowledge and expertise. 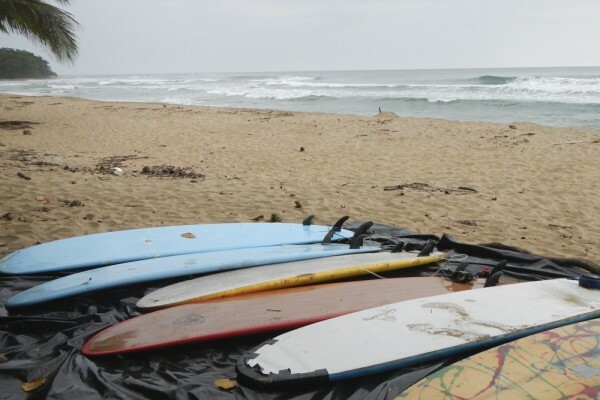 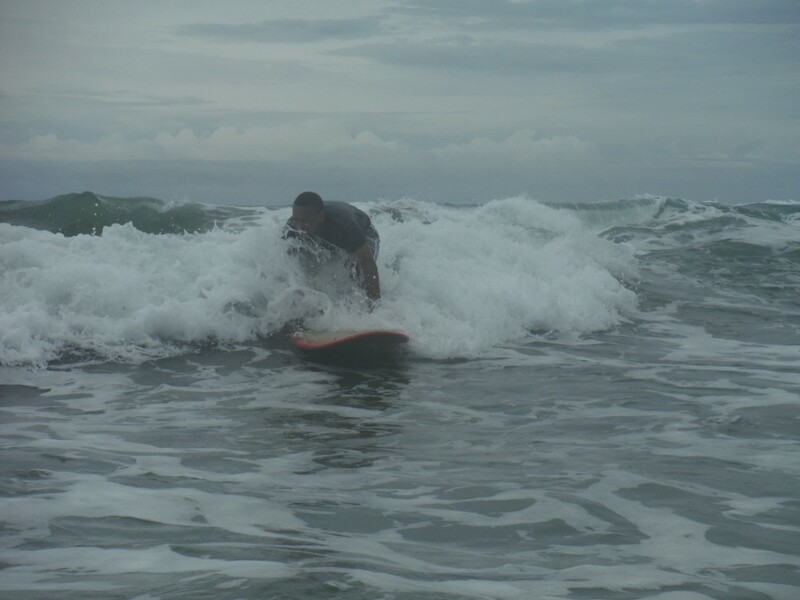 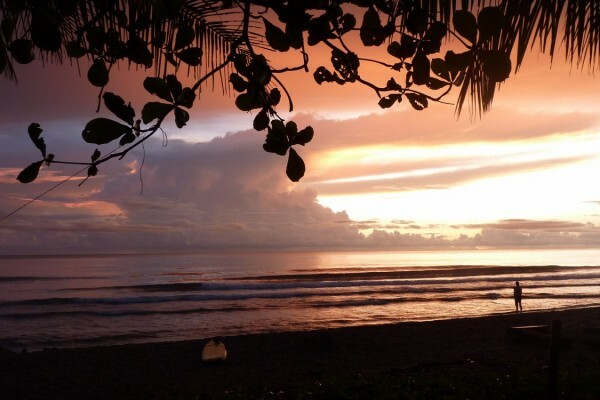 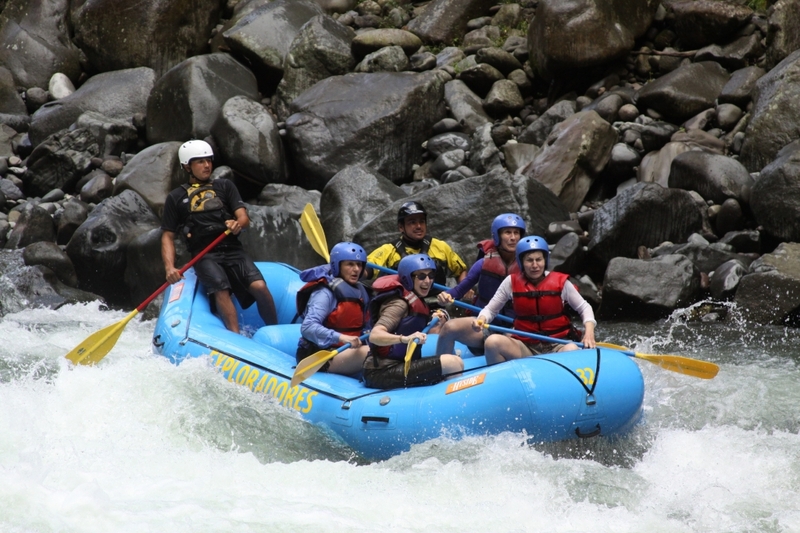 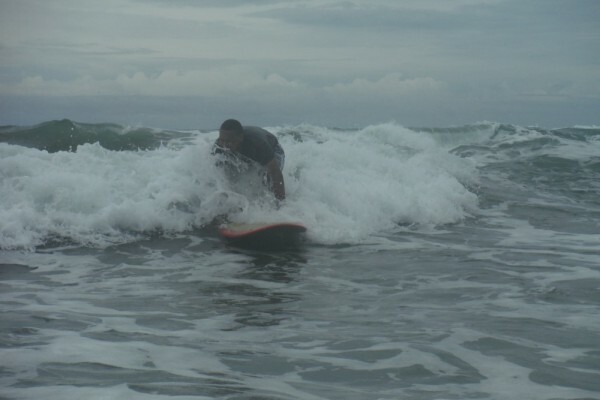 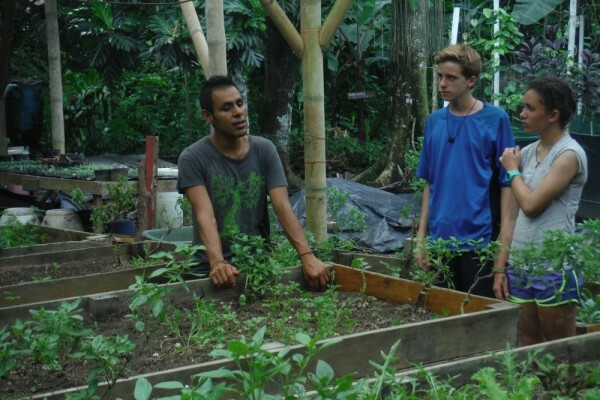 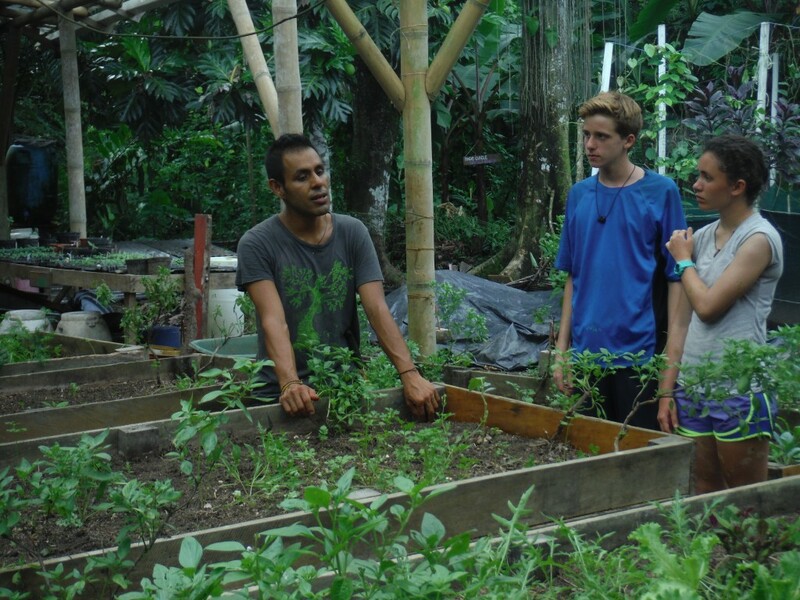 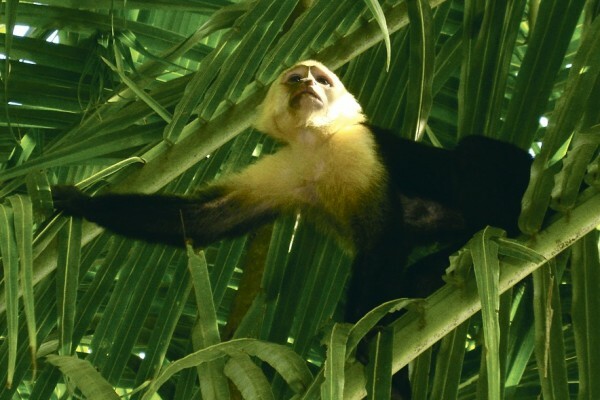 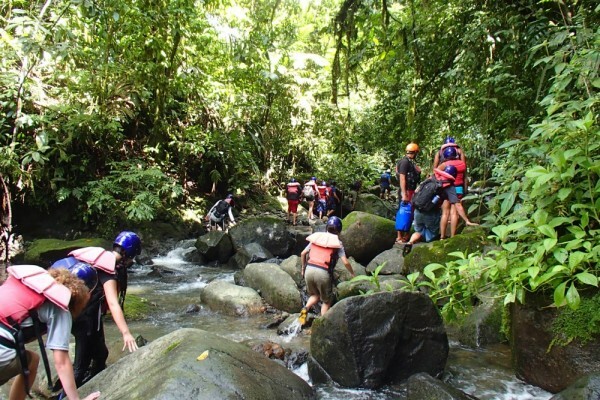 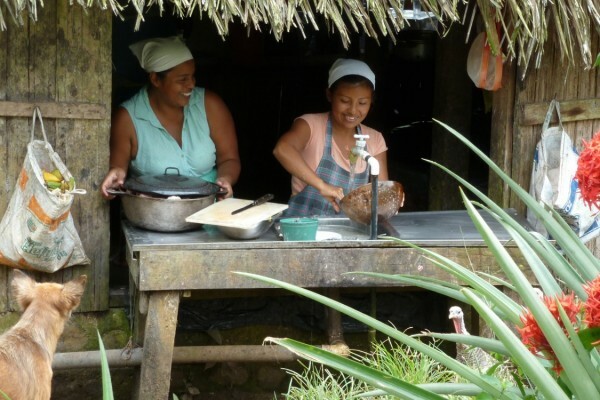 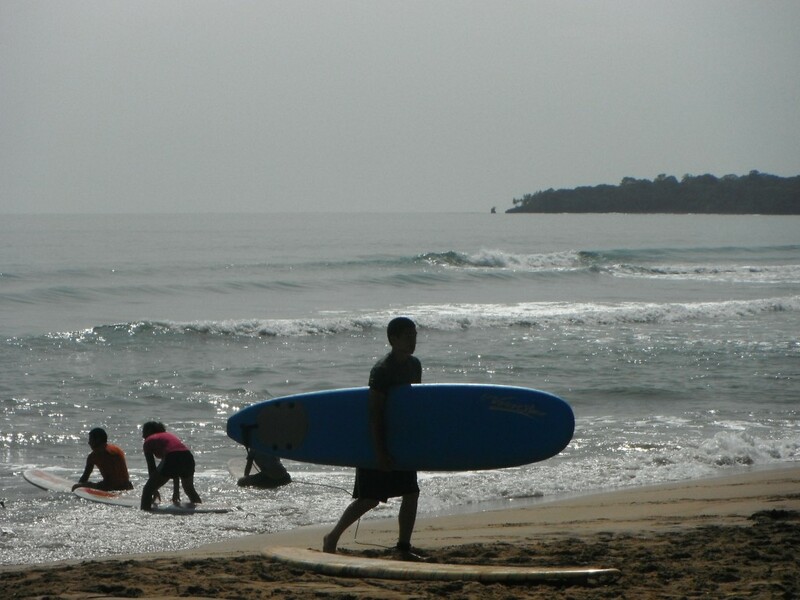 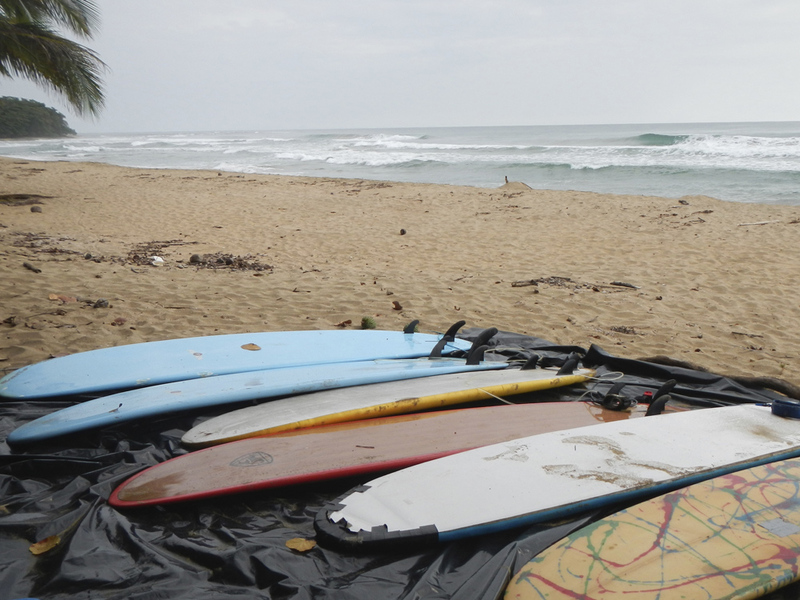 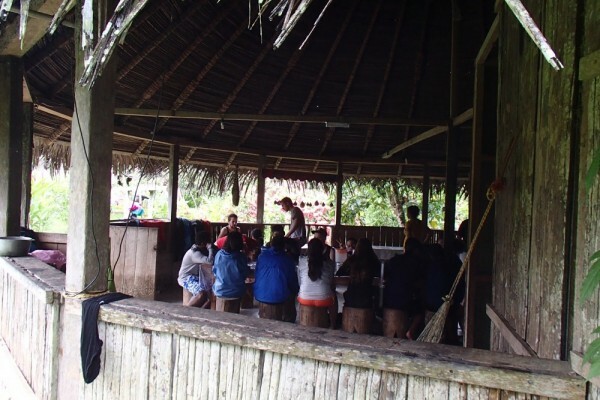 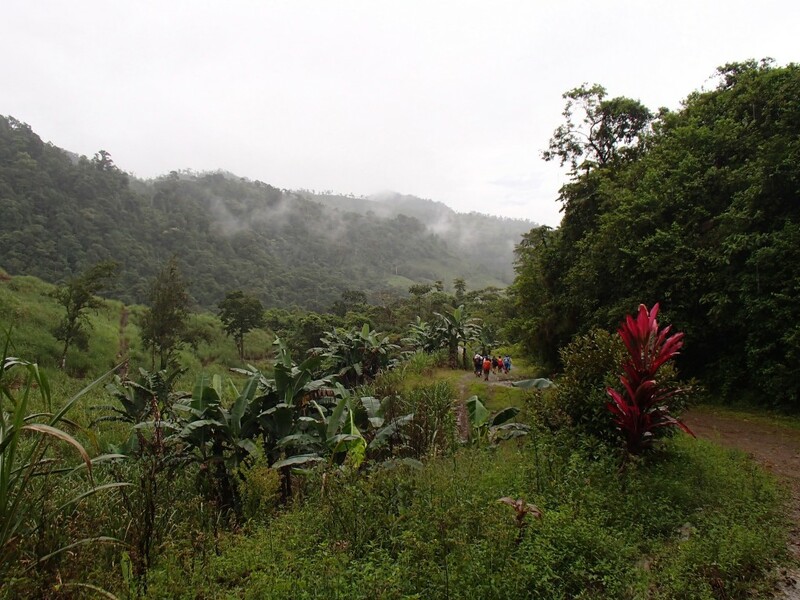 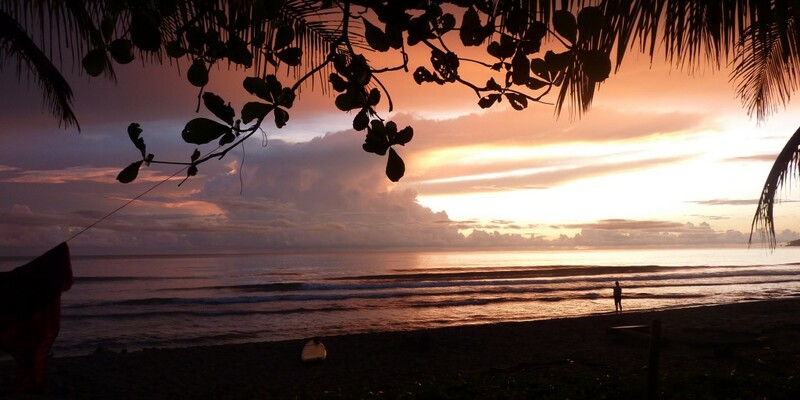 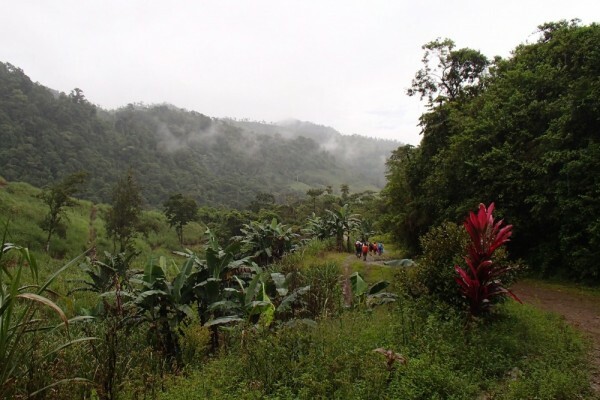 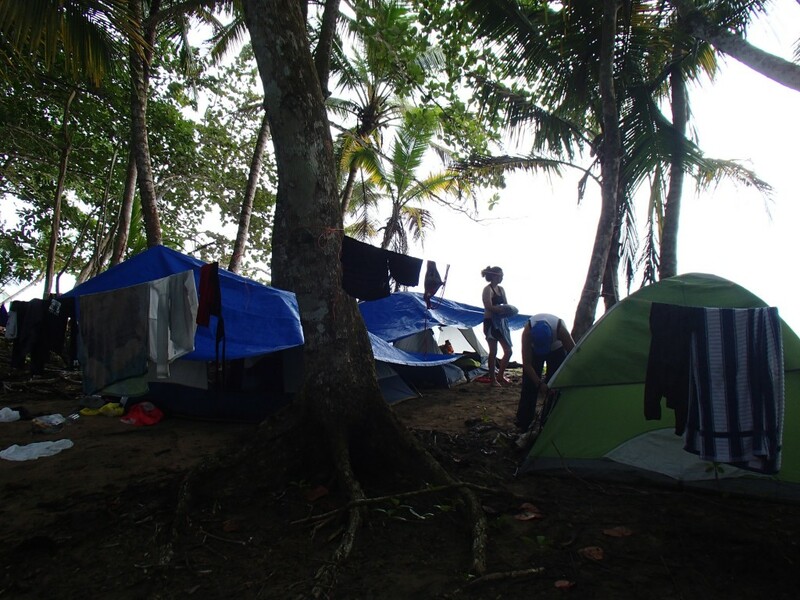 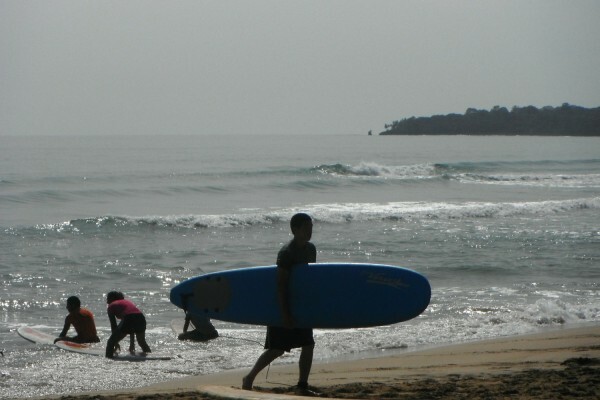 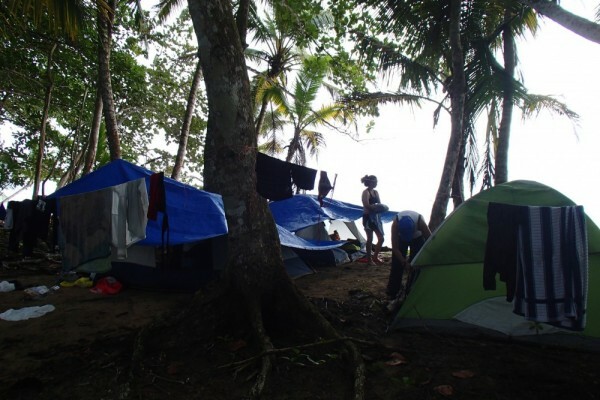 A program in Costa Rica could include rafting the world class Pacuare River, surf lessons on the beach, a service project and home stays in a Tico village, or more. 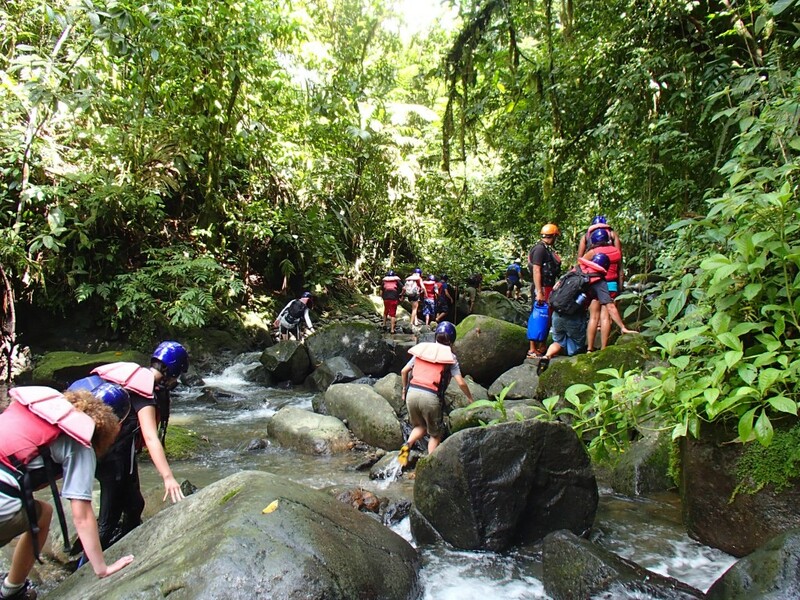 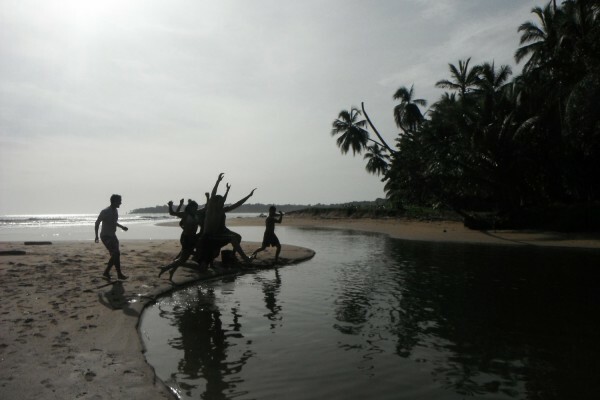 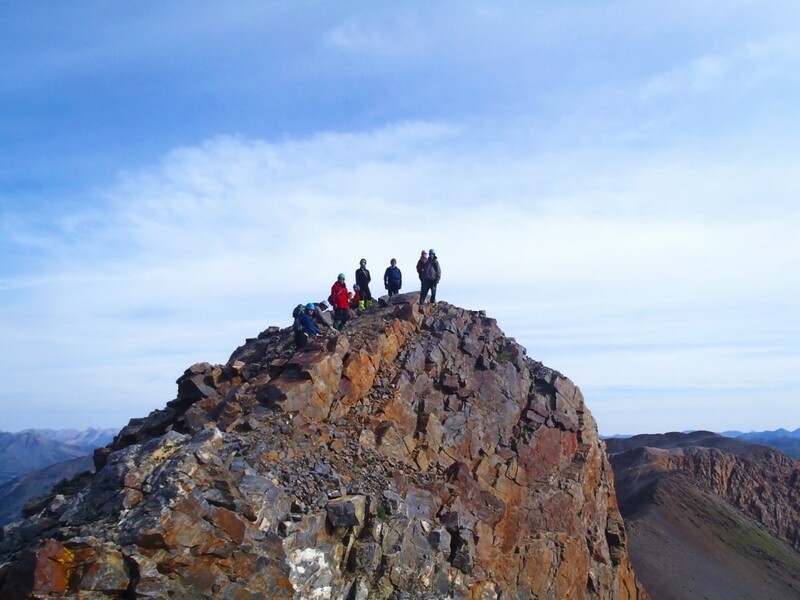 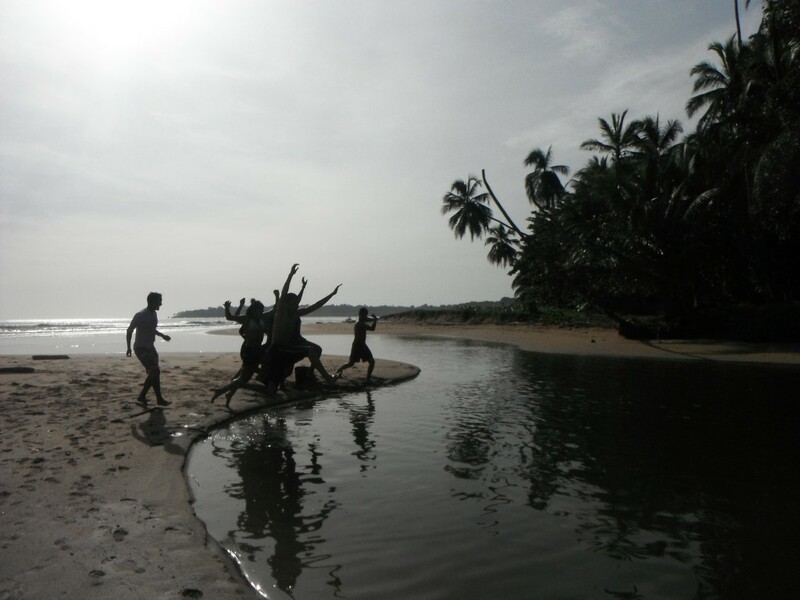 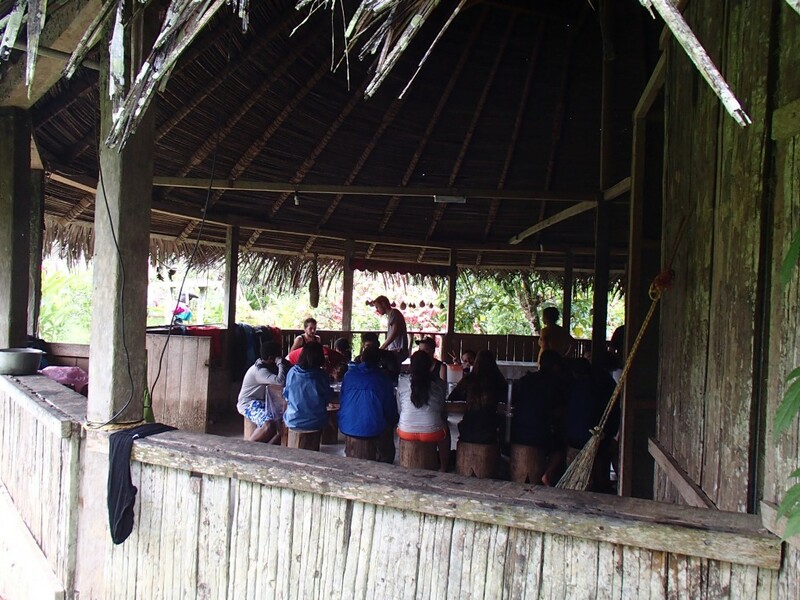 You provide the group, we guide the experience. 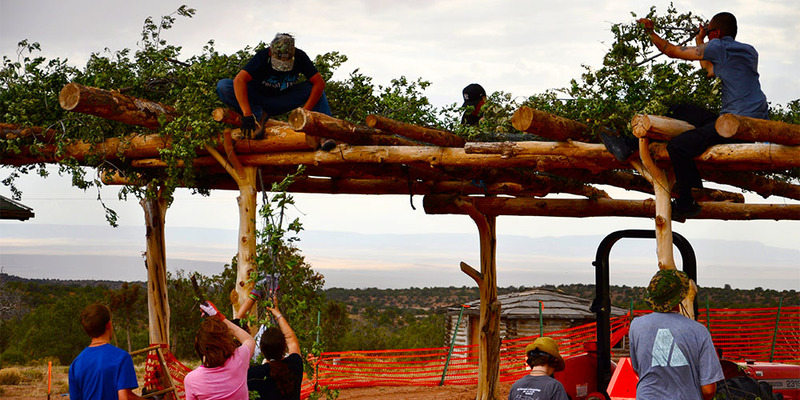 Certain activities are dependent on the season, but Deer Hill operates year-round. 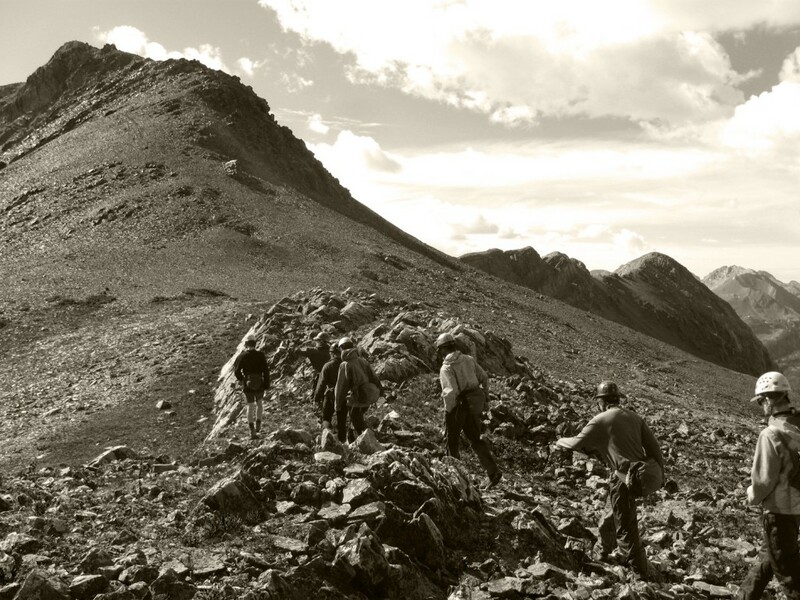 Inquire online to find out if Deer Hill is the right outfitter for your group. 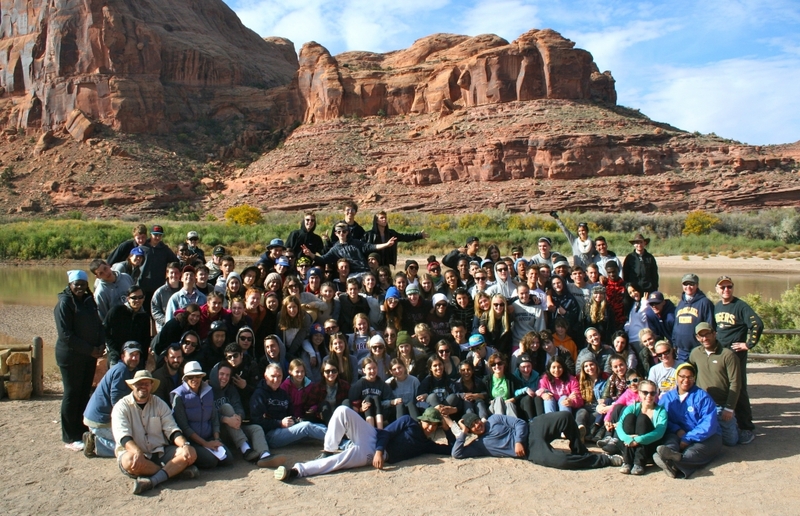 The program you run at Deer Hill is just amazing and top-notch. 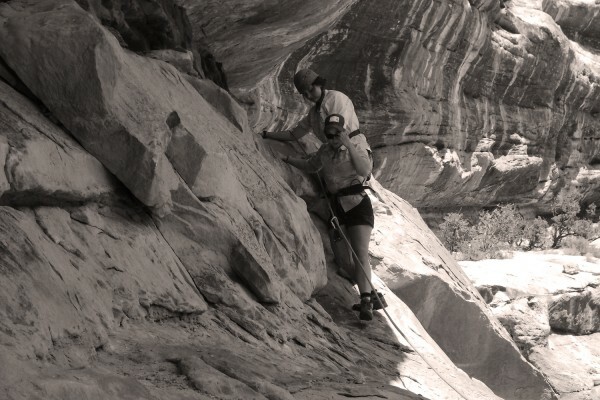 Your obvious love and devotion to outdoor life is evident in every little thing that you do. 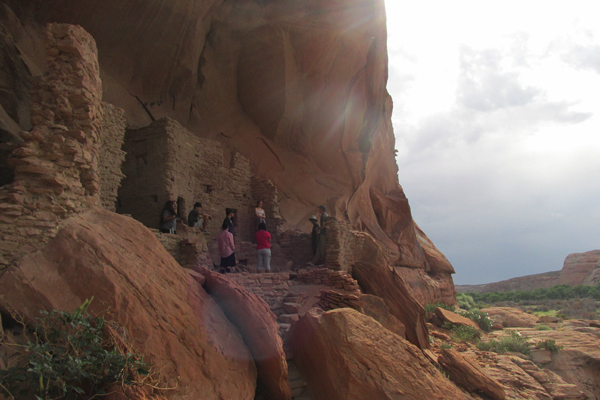 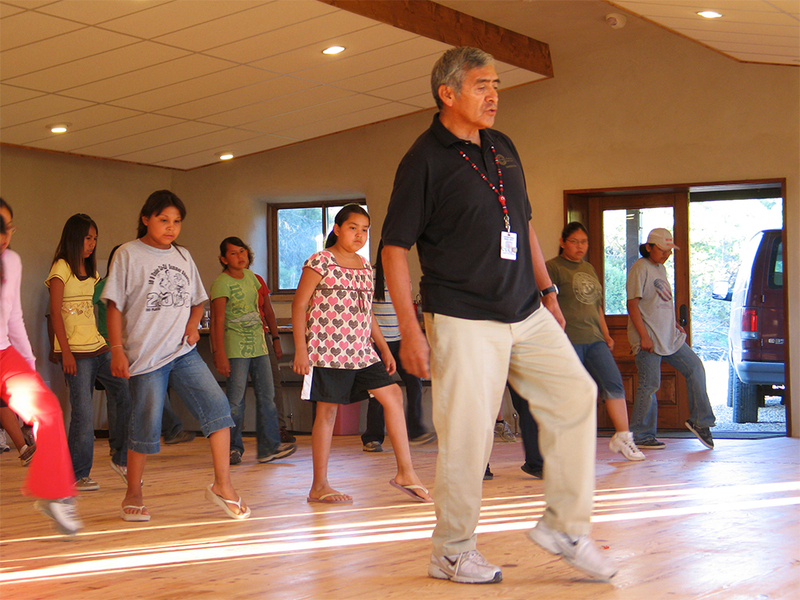 Our guides were exceptional and Mr. Smith, our Navajo host, impacted my group in a profound way. 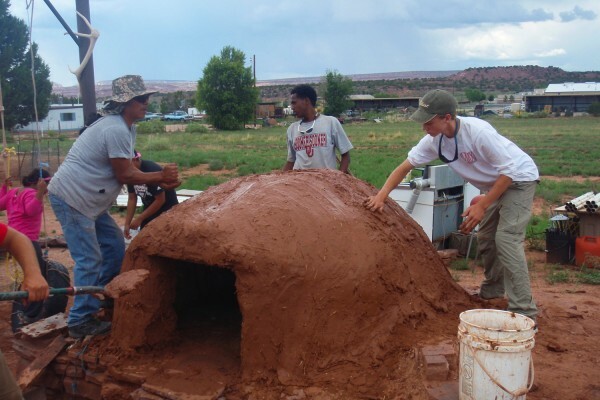 Our sweat lodge was life-altering. 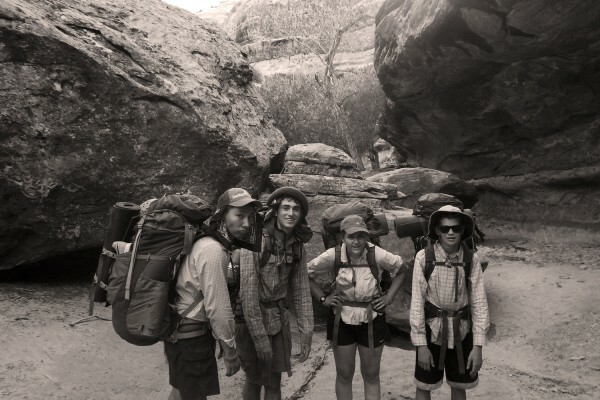 On behalf of all my children and all their parents, thank you. 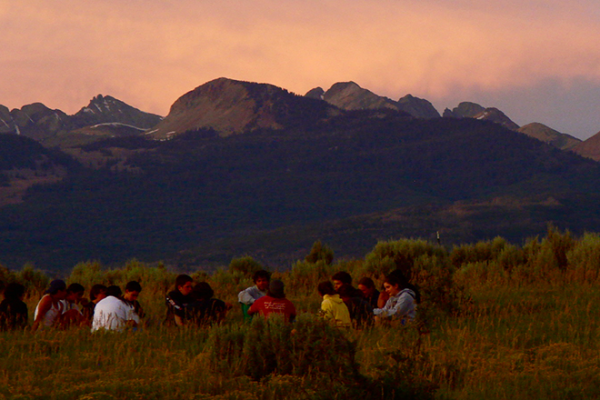 Through Deer Hill and its Staff’s commitment and capacity to fulfill its mission for our Waldorf 8th grade group, the words the students spoke at our closing Circle made clear the experience met my wildest hopes for them. 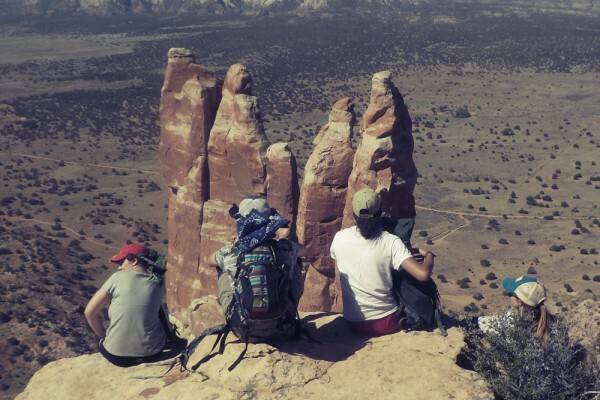 Their world views changed dramatically. 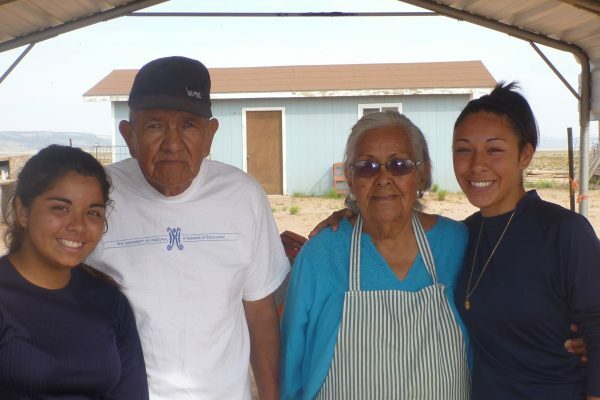 They expressed whole new levels of gratitude for their privileged lives. 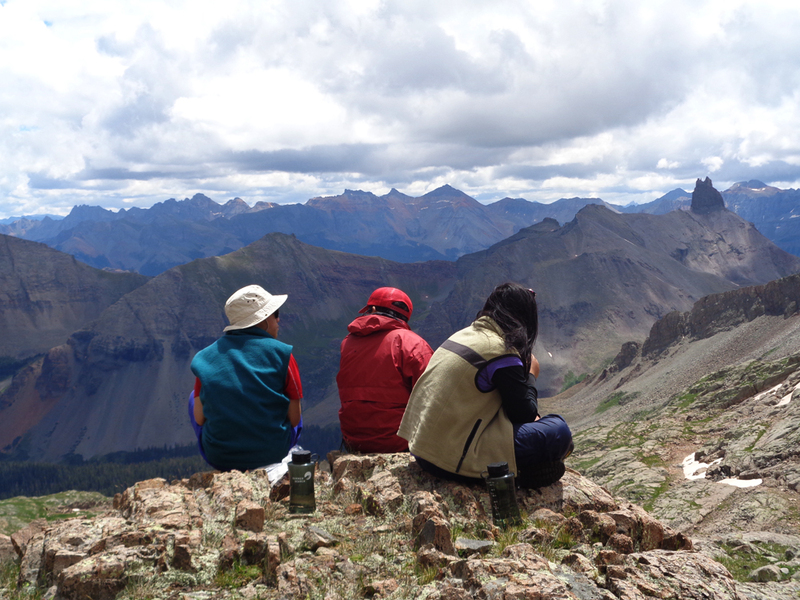 Our trip with Deer Hill, so tactfully facilitated by our guides, brought us to a meaningful conversation with the forces of nature and, as importantly, a profound encounter with ourselves. 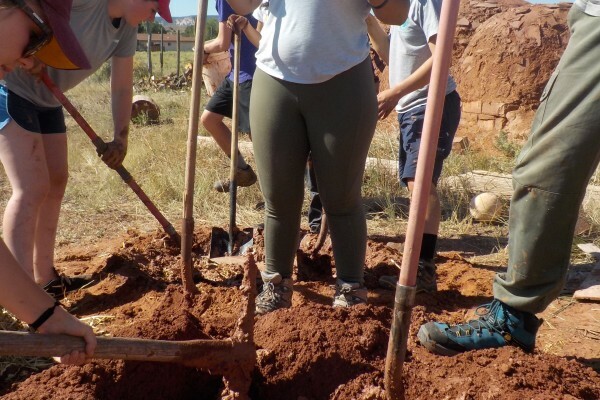 Deer Hill’s programs offer young people a chance to connect with nature in some of the world’s most remarkable landscapes. 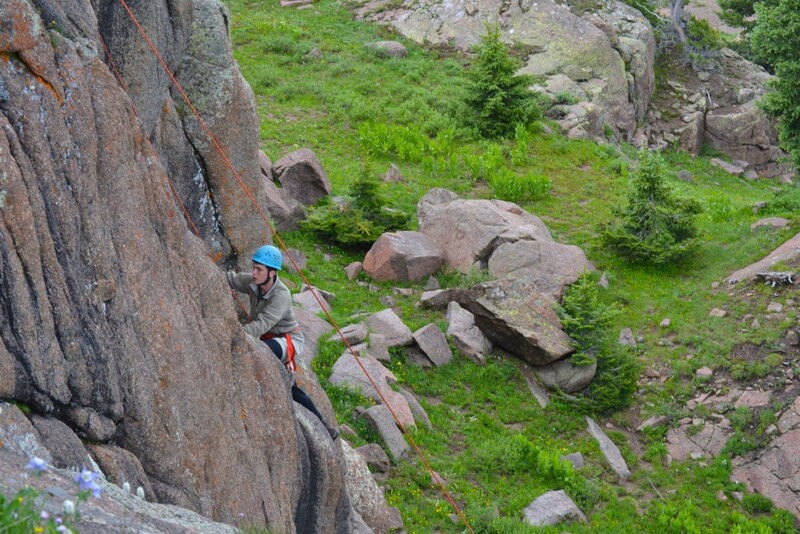 They also push individuals to overcome challenges and learn new skills to stay safe when enjoying the backcountry. 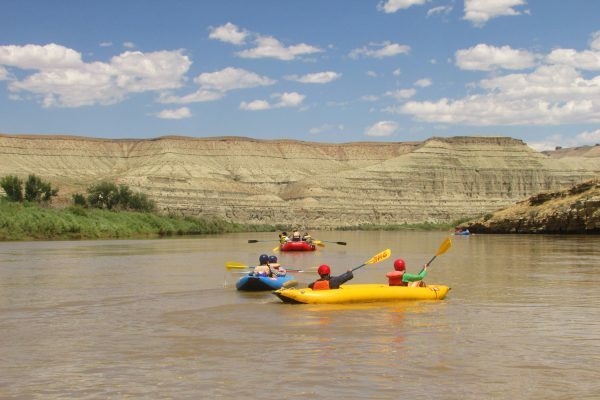 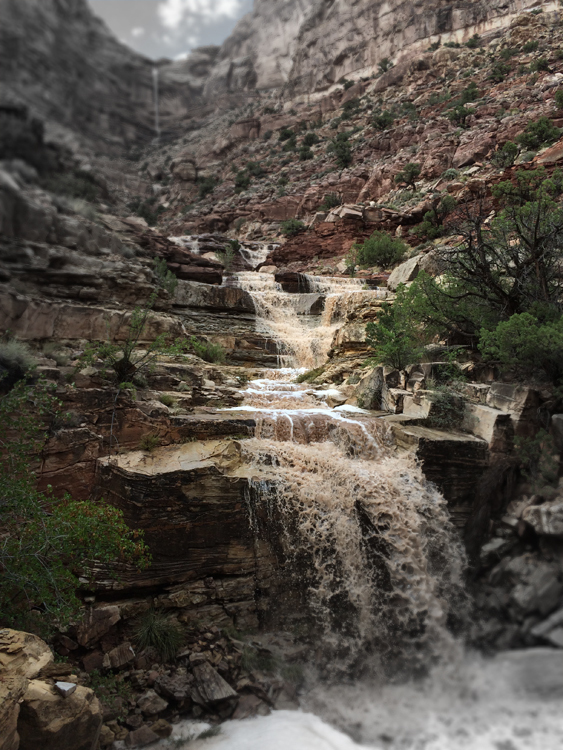 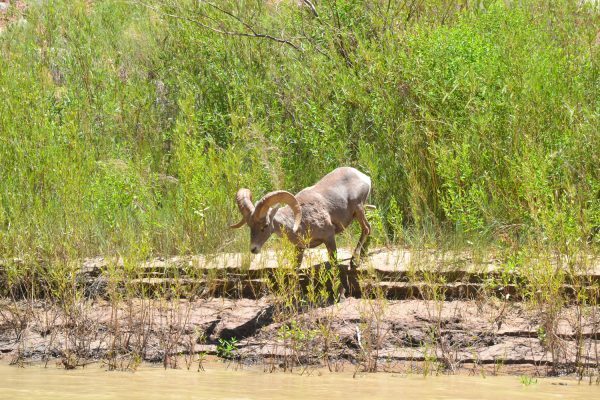 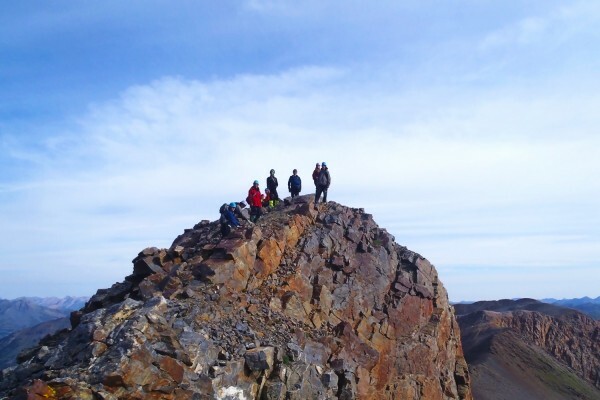 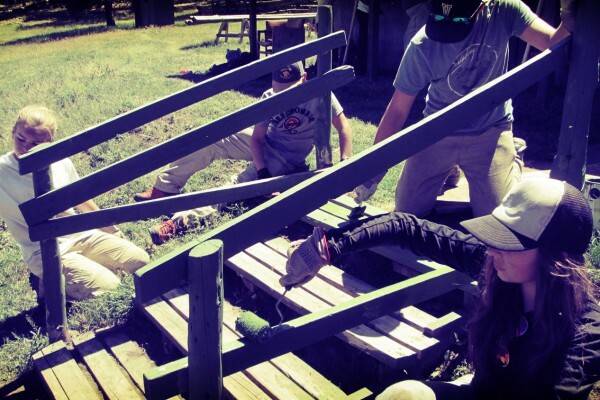 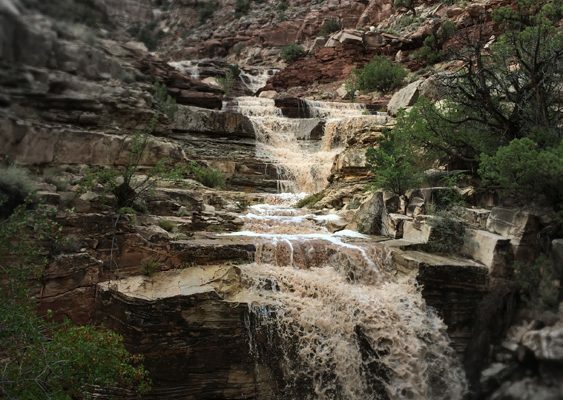 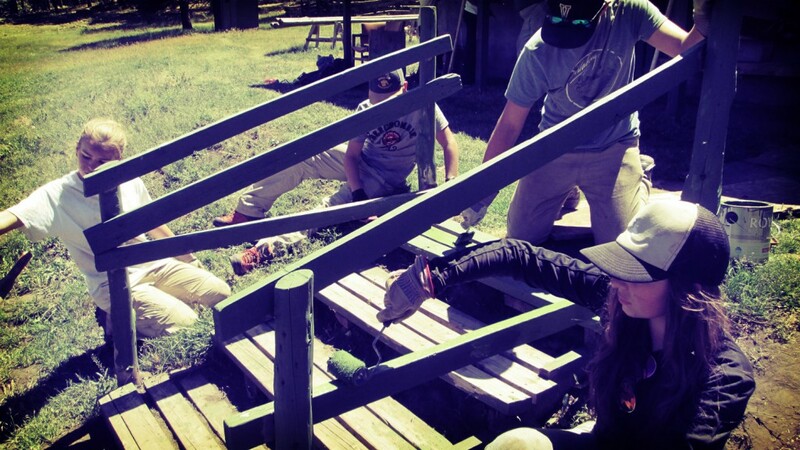 Deer Hill’s wilderness adventures typically include a combination of white water rafting and canoeing, canyoneering, rock climbing, mountain biking, hiking and backpacking.